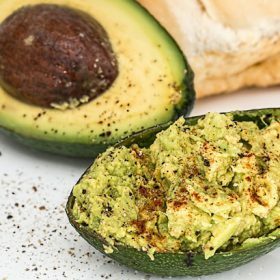 The survey, which was carried out to mark national guacamole day (16 September) in the US, asked 2,000 Americans what luxury items they would be prepared to give up for a year in order to maintain their cravings for the avocado-based dip. Bacardi is relaunching Grey Goose La Vanille in the U.S. for the first time in 15 years. 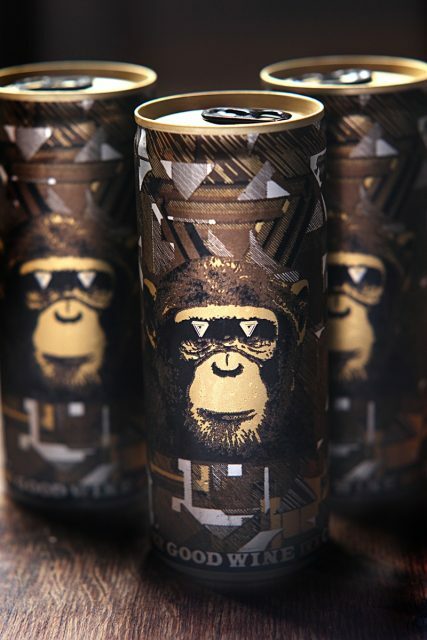 The 40%-abv spirit is made with flavor derived from vanilla from Madagascar and has no added sugar. Grey Goose La Vanille will begin rolling out this month and will be available through the holiday season across the U.S., retailing for $30 a 750-ml. 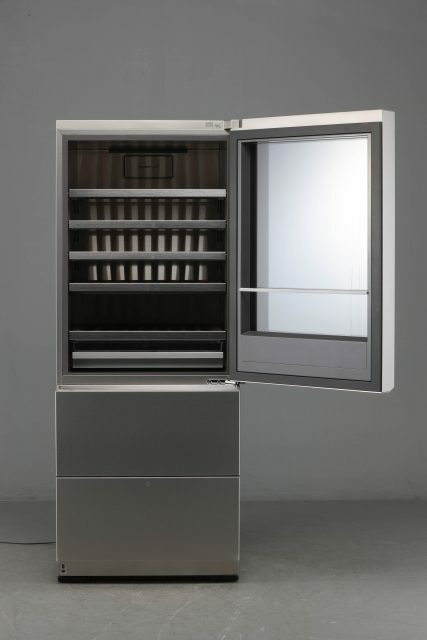 Last year, Grey Goose depleted 2.2 million cases in the U.S., according to Impact Databank. 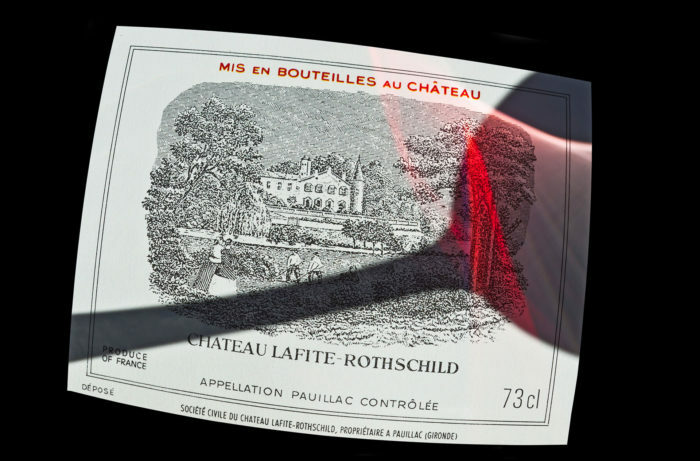 The tale of two men, one wine brand, and the economic revolution of an entire industry. 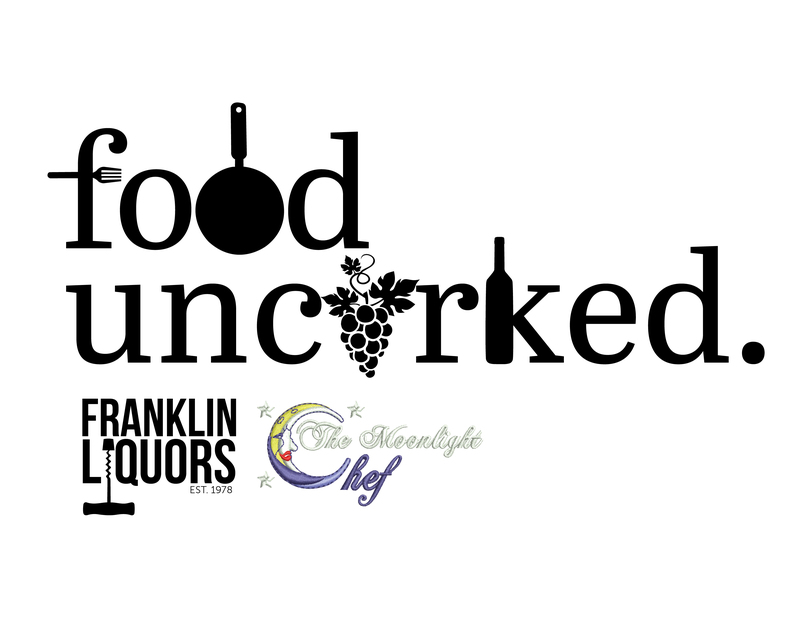 U.S. now has 12,573 wineries and wine facilities – one for every 30,000 persons in the country! There’s nothing like the taste of a fine wine. 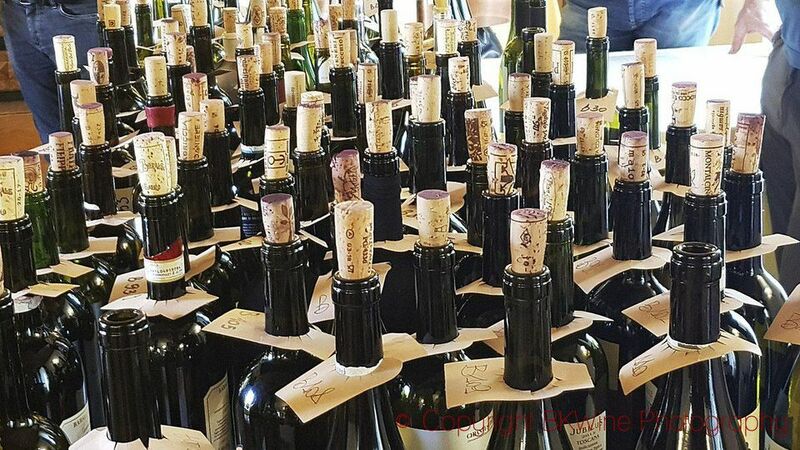 But with certain winesselling in the thousands and even tens of thousands per bottle, it begs the question: Is it really worth it? 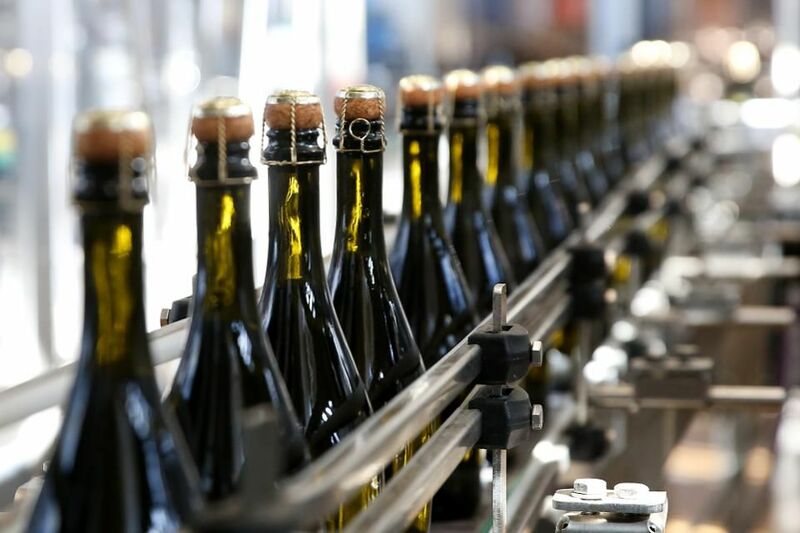 The wine label has a central role in wine marketing, but – some notable exceptions aside – is often the last thing a producer thinks about before they finish a product. ‘Tension’ and ‘energy’ are modish words to use about wine, as are ‘precision’ and ‘focus’. The wine tasting experience just got easier. 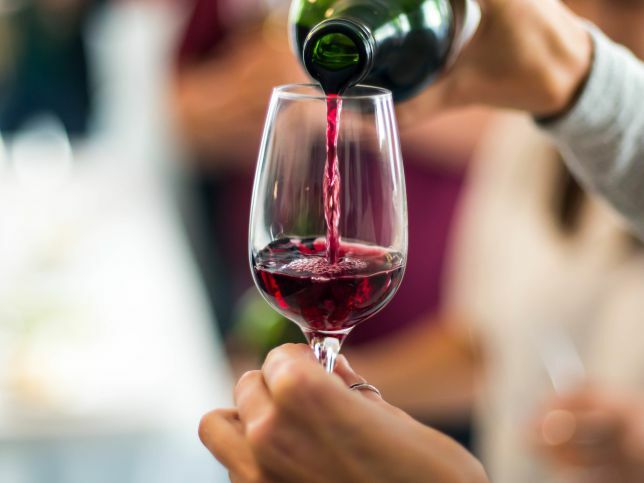 A new app developed in Huntsville allows attendees at wine tastings and festivals to easily locate, rate and reserve wines as they sip. And it soon could be used for selling spirits as well. 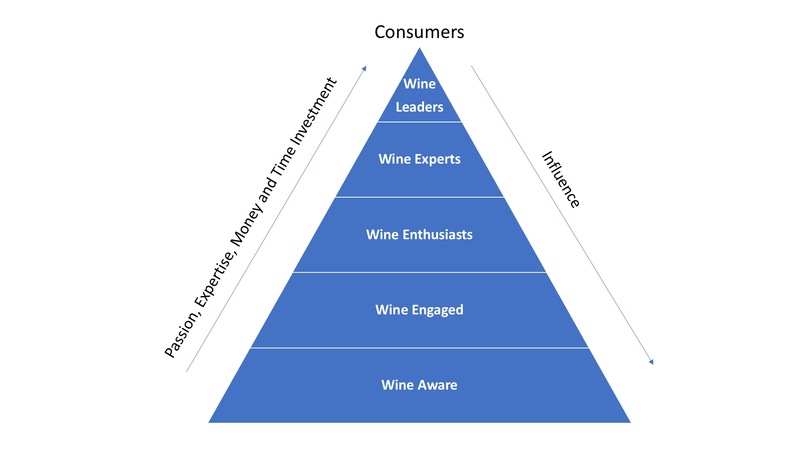 The wine world operates on a triangle of influence. 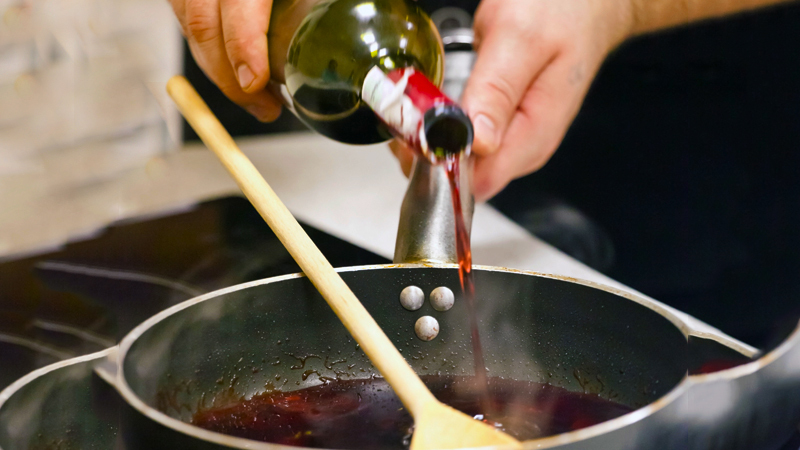 CAN YOU COOK WITH A WINE EVEN IF IT’S OLD OR CORKED? 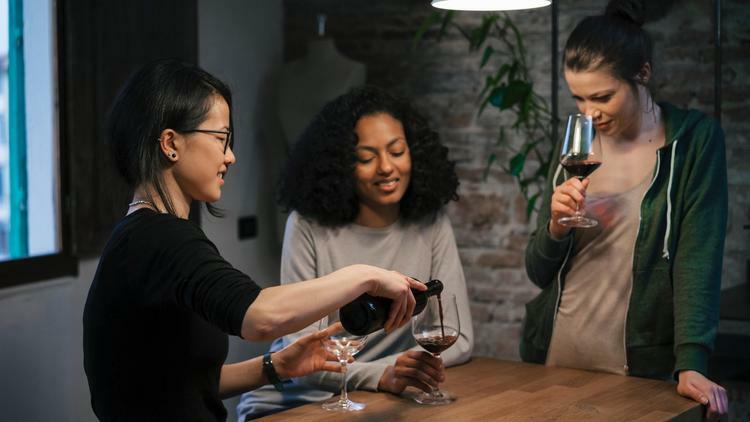 There’s an age-old adage about cooking with wine: “If you wouldn’t drink it, don’t cook with it.” It’s a nice idea in theory, but one that doesn’t always make practical or financial sense. 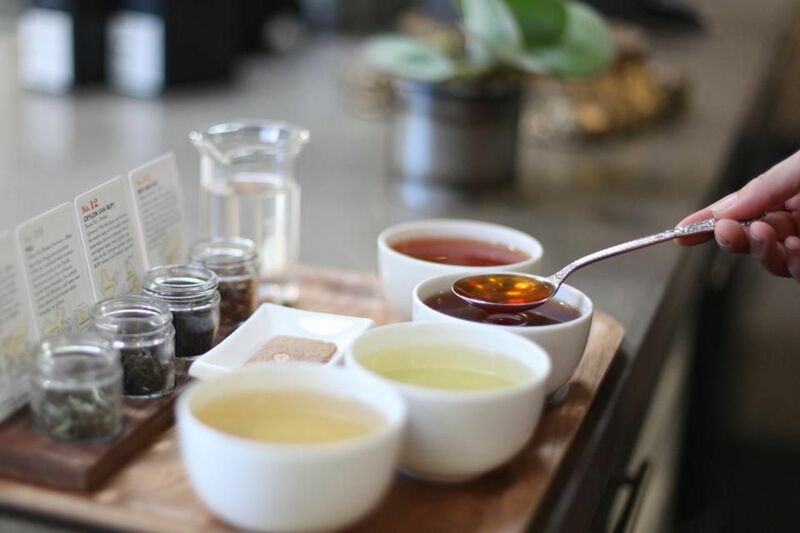 Even the process of brewing and tasting tea shares some similarities to pouring and tasting wine. 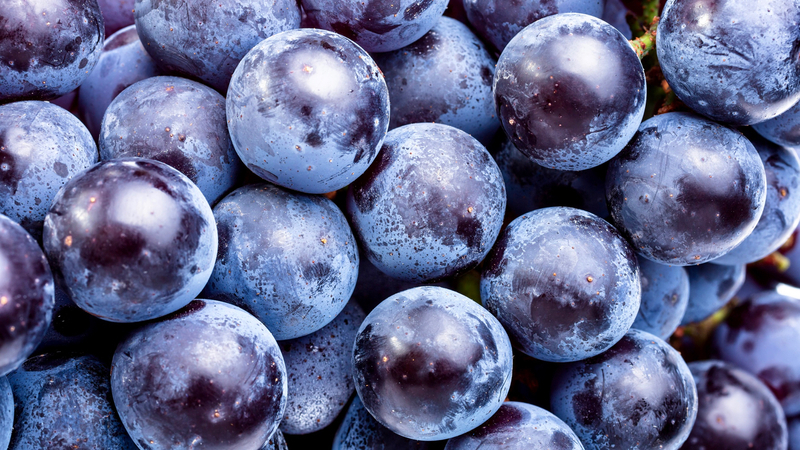 Now, a study has found that a compound named resveratrol – found in red grapes – could potentially bring significant pain relief to osteoarthritis patients. 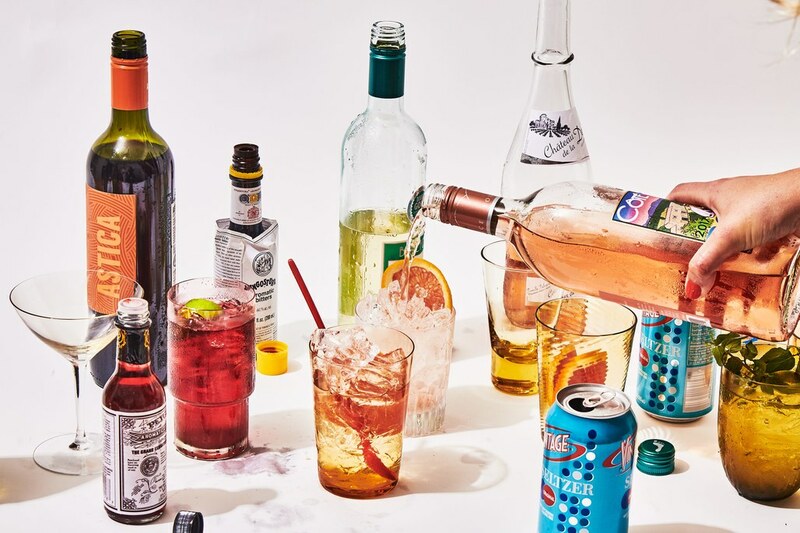 Skip the spritz and try one of these bartender-approved alternatives. 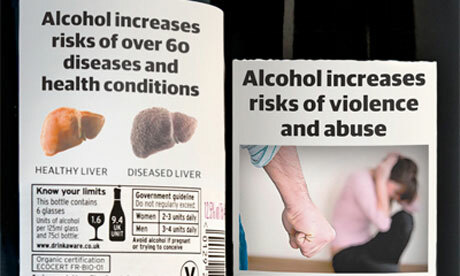 In this era of allegations of widespread fibbing, I began to muse about all of the “facts” we see on wine labels, some of which are conscious mistruths. National Center for Health Statistics. 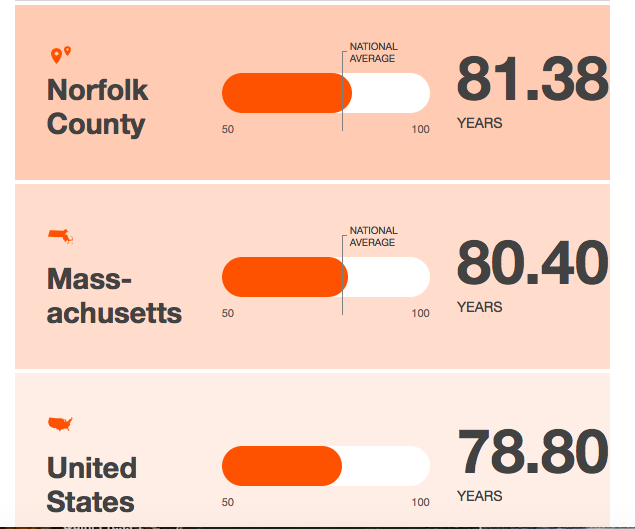 The government partnered with the nonprofit Robert Wood Johnson Foundation and the National Association for Public Health Statistics and Information in a three-year effort to calculate life expectancy for 65,662 Census tracts nationwide. 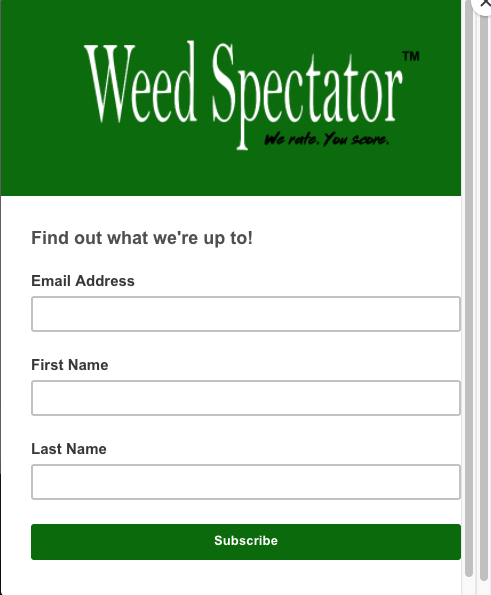 Type in your address….then depression sets in! 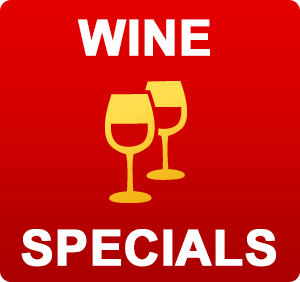 Wine Is Full of Healthy Polyphenols. But What’s a Polyphenol? 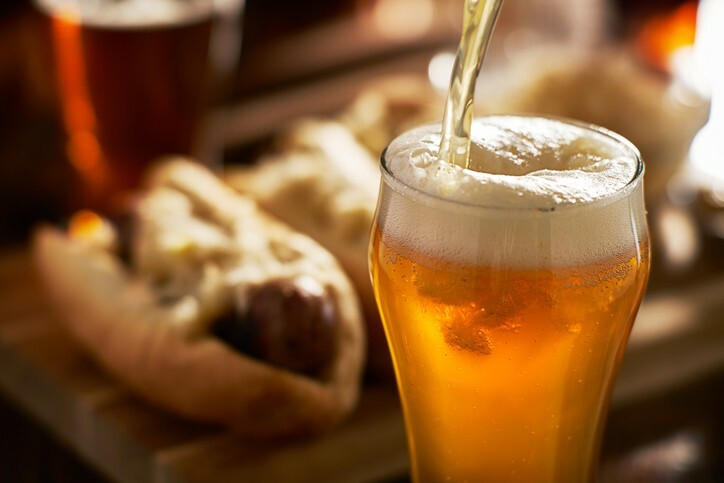 The boom in beer culture in the 2000s, however, has finally spawned a society where craft beer has become ubiquitous, and now most of us can speak somewhat intelligently about it. 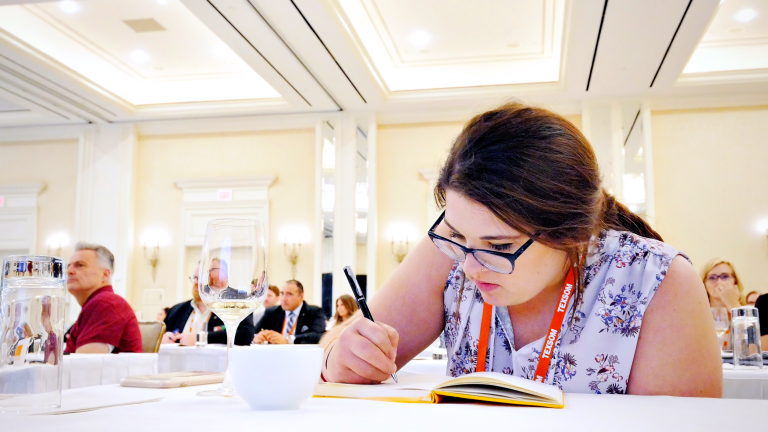 We have other sources of information at our service, pretty much around the clock, to help put what we have drunk into context, and all of it contributes to the joy of the lifelong wine journey. With over a dozen popular shows set to return during the crisp nights ahead, we’re ready to swaddle ourselves in cozy throws and tune in with a fat glass of wine. 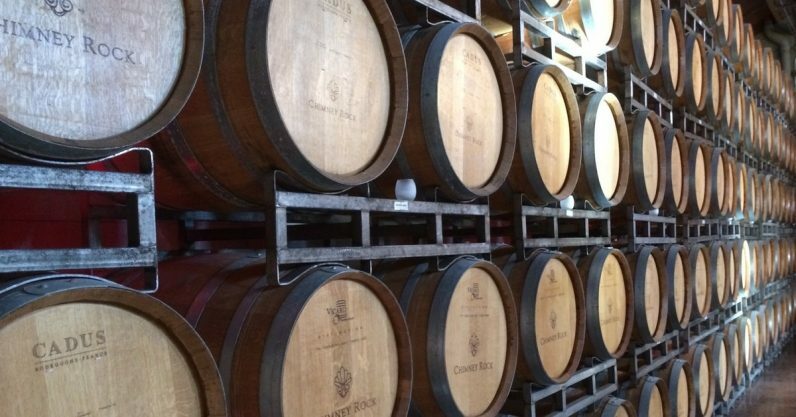 It might be surprising to learn that many of America’s best winegrowing regions, such as Sonoma and Columbia Valley, are also home to exceptional cideries. 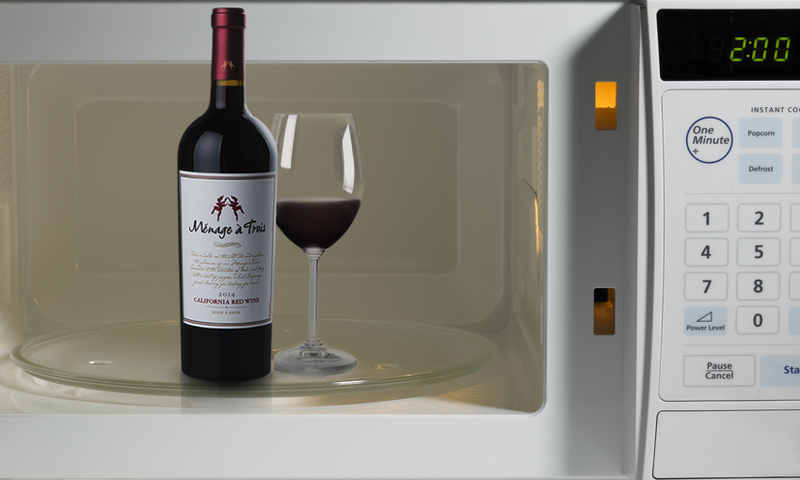 Should you microwave your wine in winter? 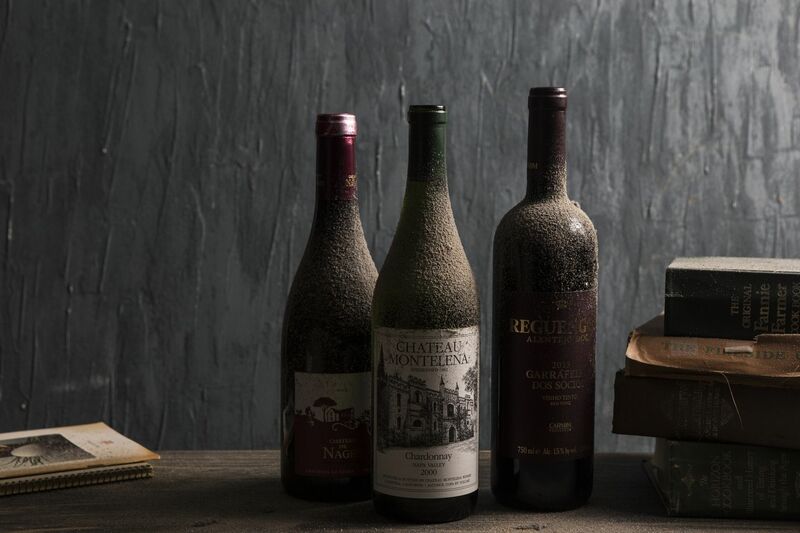 From Burgundy and California to Oregon, Italy, Australia, and Germany, these are the bottles that will turn you from a fan into a pro. Pizza and beer. Beer and pizza. They’re the peanut butter and jelly of Italian-American food. But beer and pasta? Beer and a nice rare Fiorentina steak? 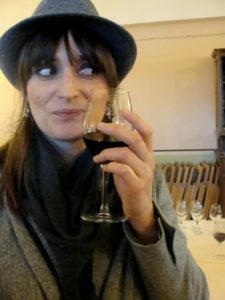 So I am here to tell you that yes, you can still drink that bad wine. Maybe not straight from the bottle—I would absolutely not recommend that. 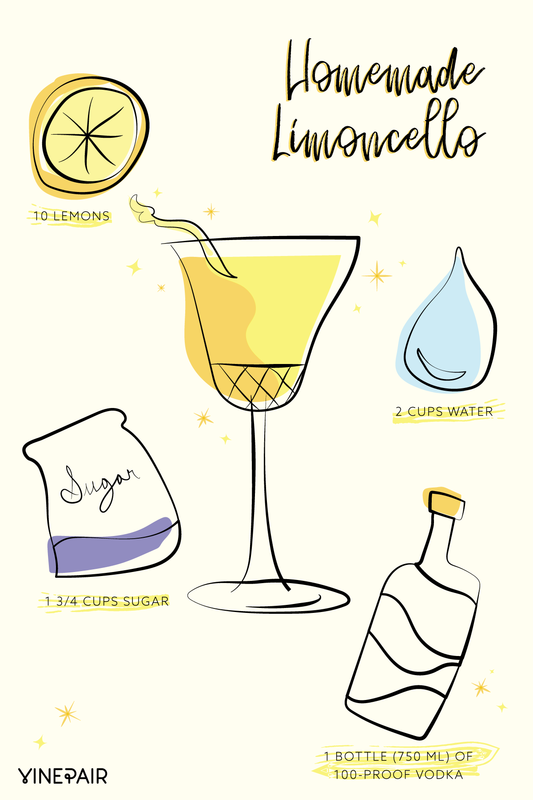 But, when poured over ice, topped with a little seltzer (or trendy sparkling beverage of your choosing) and a healthy squeeze of fresh citrus, it can be better than good—it can be great. Oak used to age wine can also be broken down into constituent species. 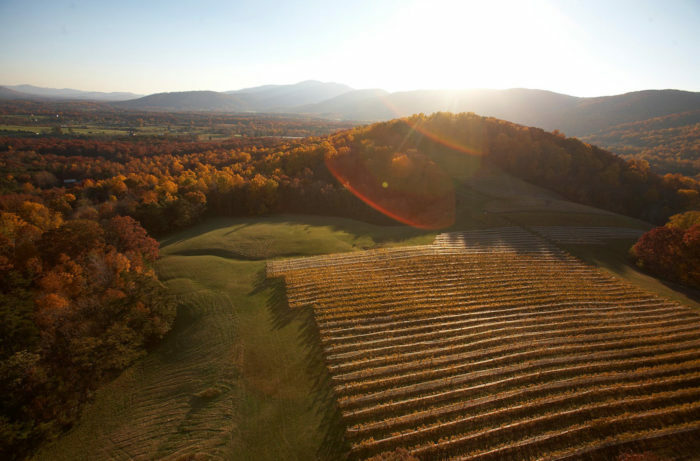 Petit Manseng and Petit Verdot may not be household names yet, but a group of Virginia winemakers are looking to change that. 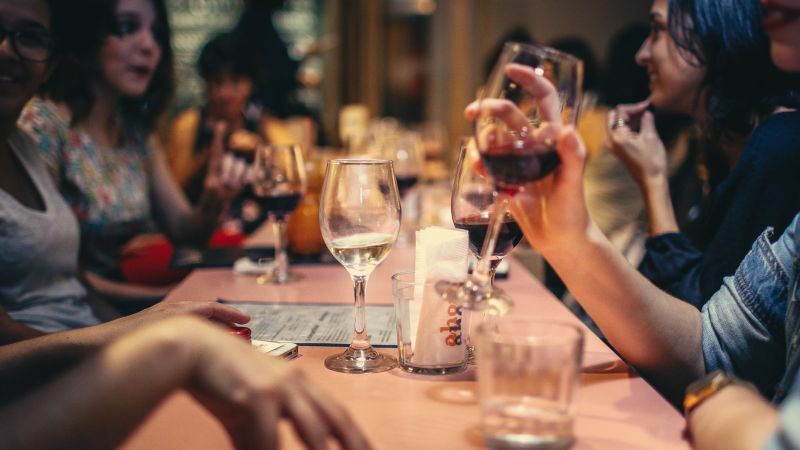 THIS guide to which wines you shouldn’t have with certain meals can help you cheat the latest foodie trend of wine knowledge. 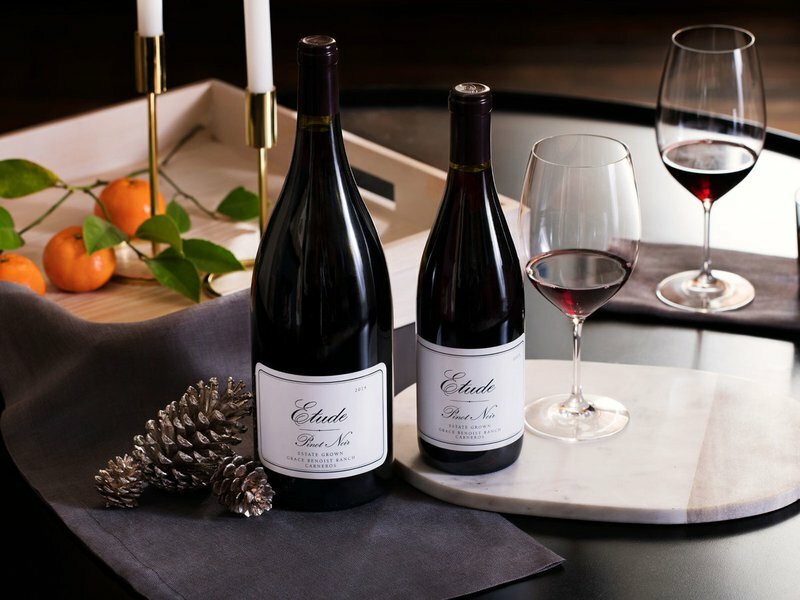 Did winemaker Joe Wagner misrepresent where his Oregon Pinot Noirs came from? 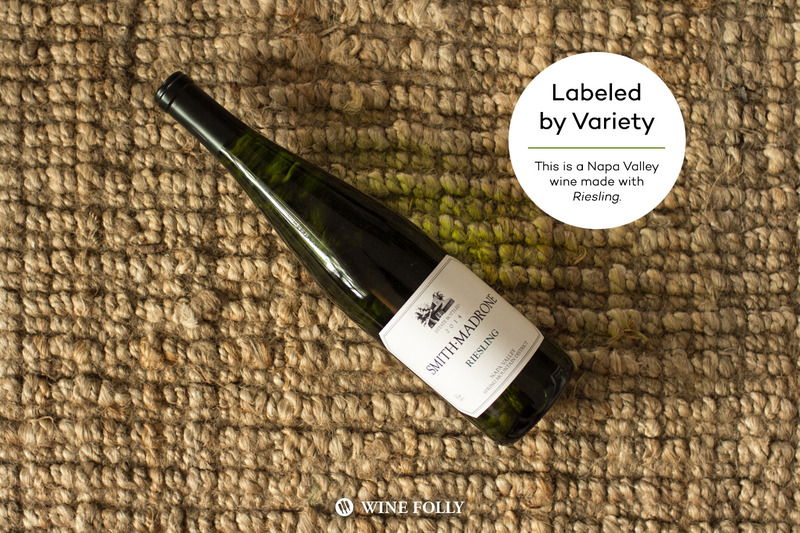 The wine’s back label reads “Sourced from: Territory of Oregon.” But “Territory of Oregon” is not an AVA — nor is Oregon, which was granted statehood in 1859, a territory. 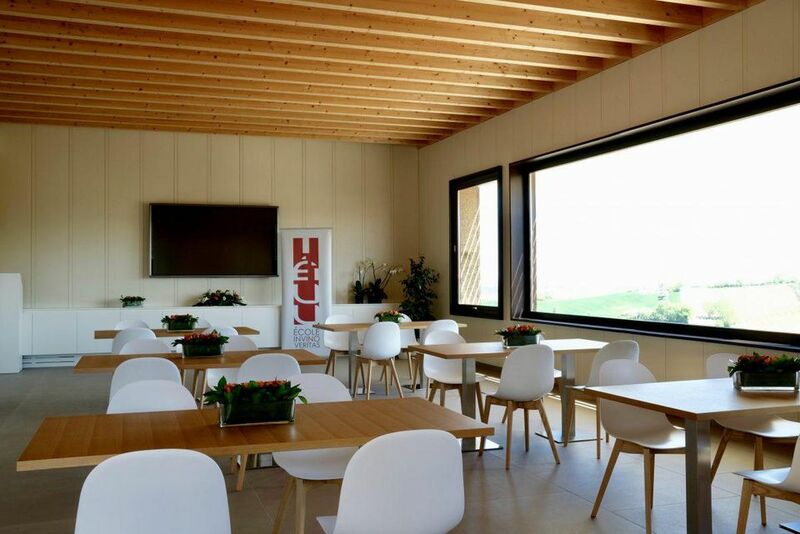 The new brand was introduced this week at Castello di Gabbiano, a historic winery Treasury Wine Estates owns in the Chianti Classico appellation in Tuscany. Castello di Gabbiano was built in the 12th century south of Florence; it has been producing wine since 1124, according to Treasury. 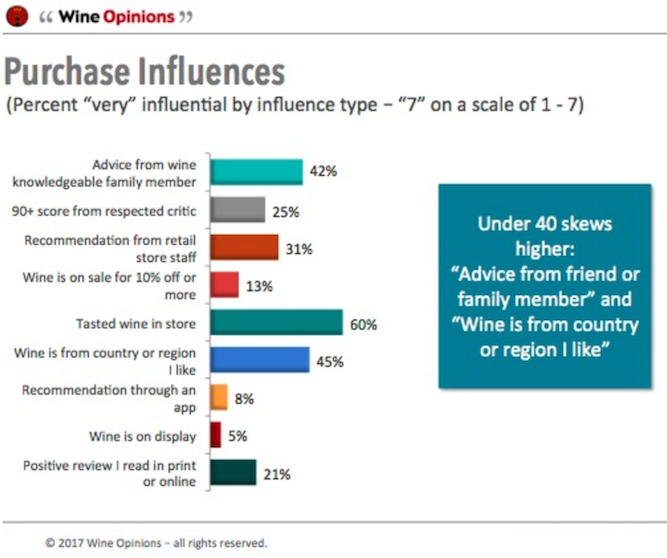 it’s just that the journey of a wine consumer doesn’t always start with being more informed, it often starts by being more engaged. 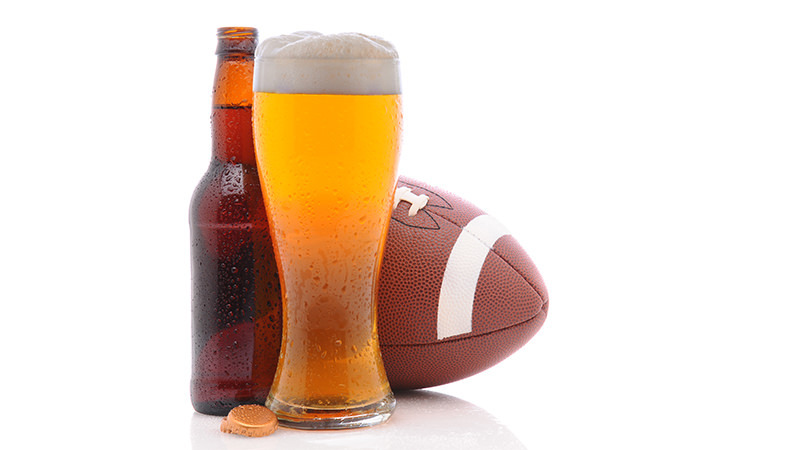 The NFL prohibits players from promoting alcohol while they are active players. In 2008, there were about 6,000 wineries in the United States. Today, there are nearly 13,000. 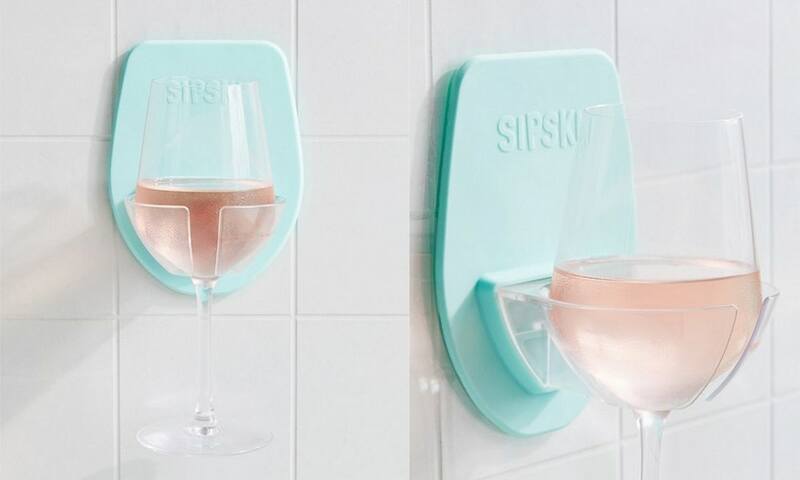 Why whine when you can wine? 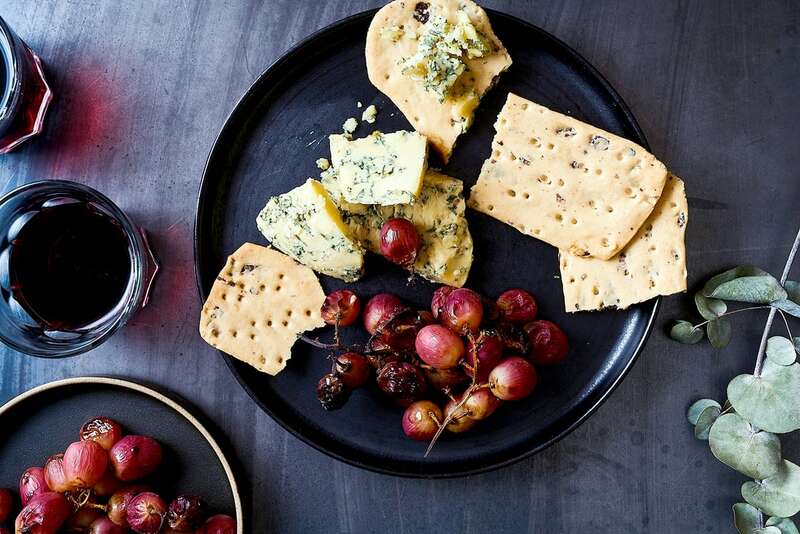 Whether the tree leaves around you have begun to change colors and drop or you still are wishing that they soon would, it’s a good time to start thinking about pairing fall fruits and vegetables with wine. 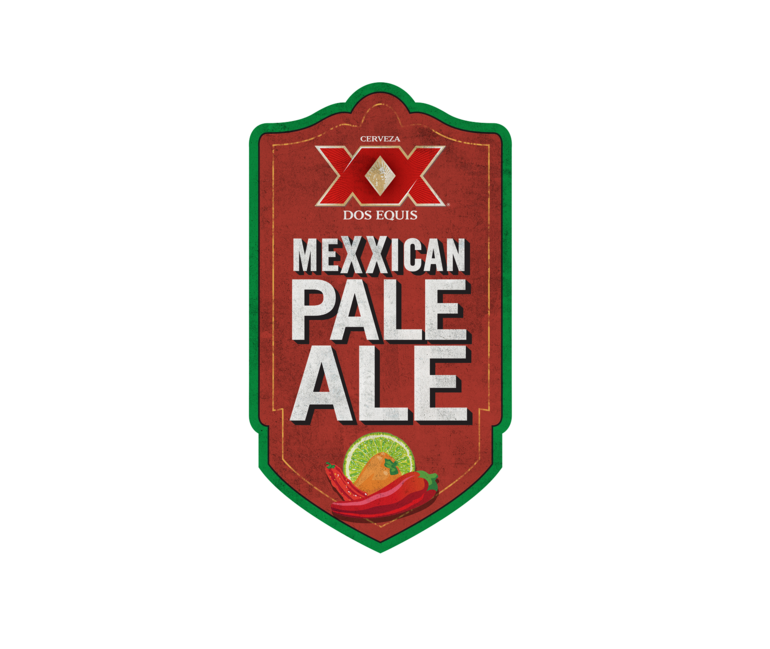 Dos Equis has announced the release of a new draft-only beer called Mexican Pale Ale. The reasons are complex, but they all boil down to chemistry. 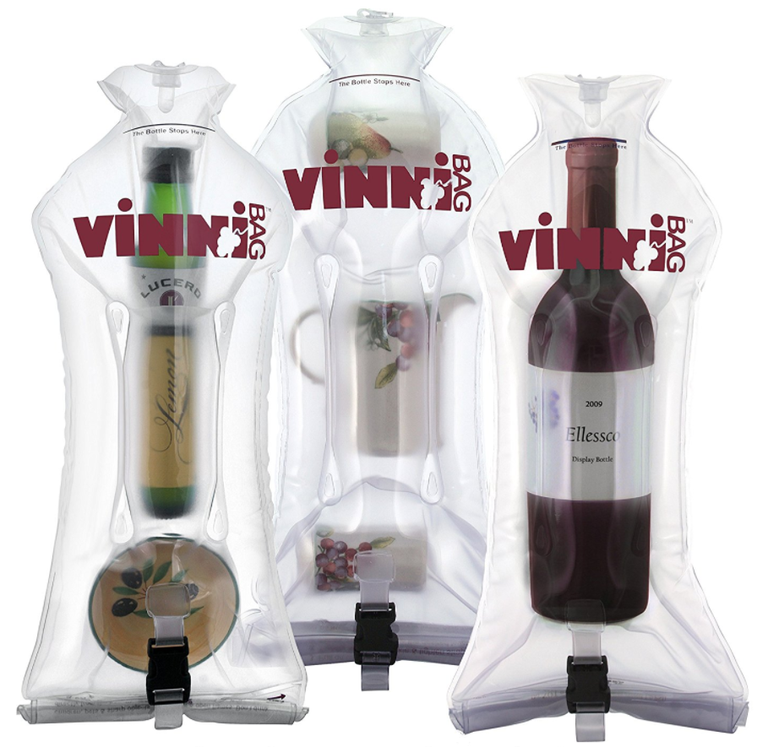 The popular Spanish wine vessel shaped like a watering can is a convivial way of imbibing wine with a group of friends. Saying “cheese” around adults is kind of like saying “Santa Claus” around children — both represent a wonderful world of surprise and possibility. 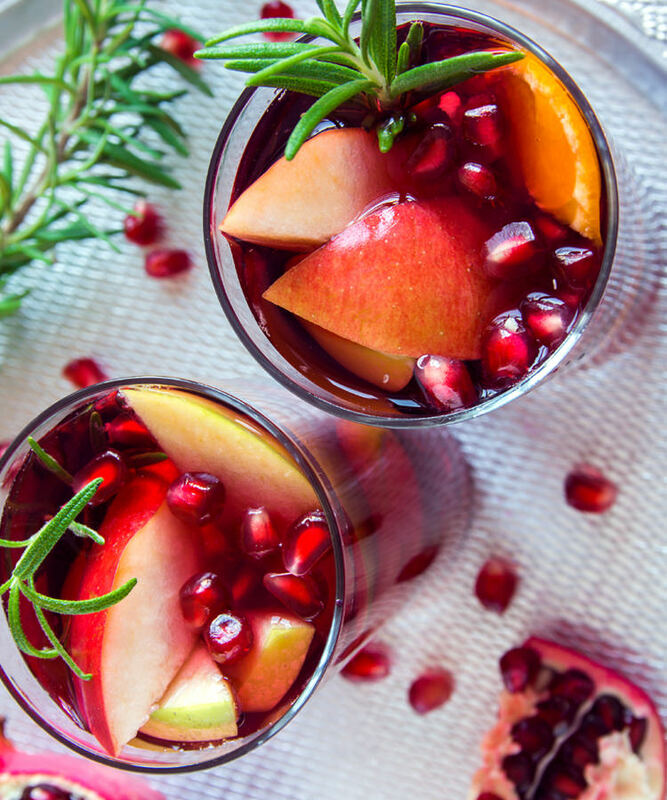 Made with cinnamon-infused apple juice, a splash of pomegranate, citrus, and crisp white wine, it’s the perfect way to embrace autumn without totally kissing summer goodbye. Pour as much or as little wine as you like without spoiling the rest of the bottle, and pay handsomely for the privilege. 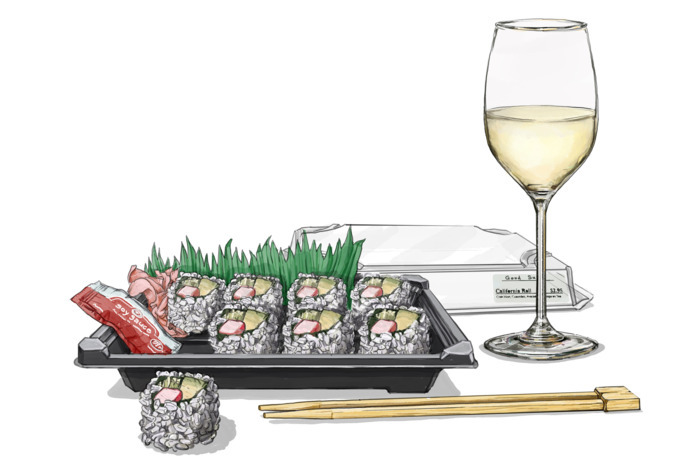 Are you pairing food and wine all wrong? Instead of matching a wine to the dish, French experts say we should select the wine first and then decide what to eat. 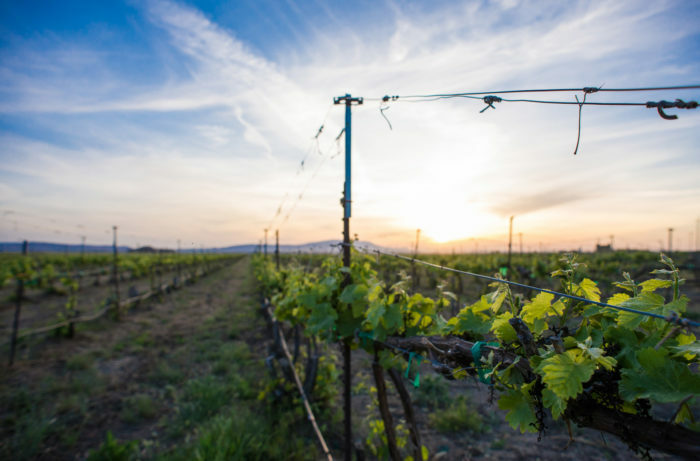 Marlborough vineyards can now employ autonomous vehicles to trundle around their fields, following a GPS-mapped route, performing tasks and collecting data. Young producers with little money and no vineyards face obstacles in building their businesses, but with maximum effort it can be done. Looking like a wine snob is, if done with subtlety, justified. 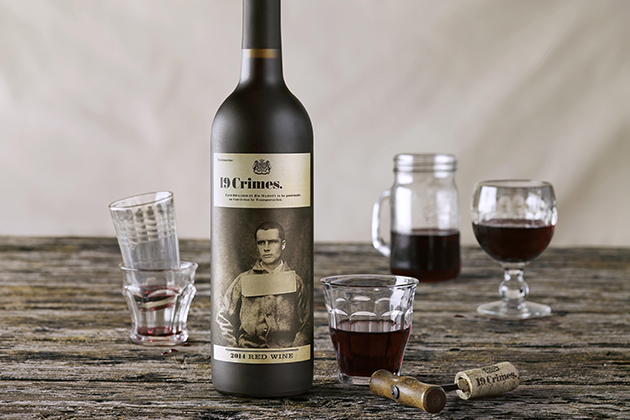 With plenty of old wives’ tales in wine, how do you know what’s true? 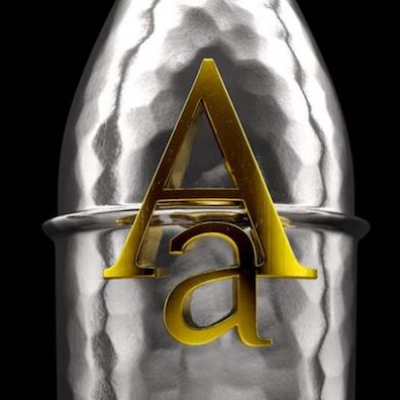 Tequila maker Patrón is pushing the boundaries again with the release of a smoky expression made from agave roasted with mesquite for a week in small stone pits. 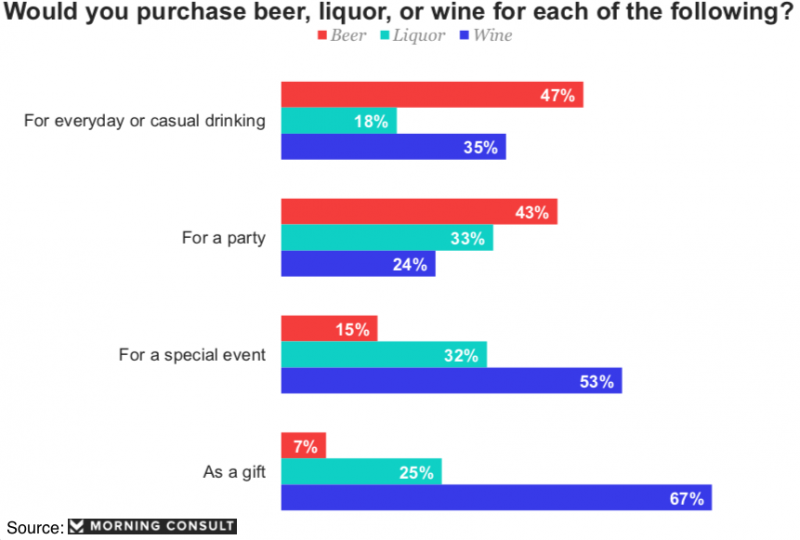 Consumer data analytics firm Nielsen recently released figures on the total sales of beer in the US based on a variety of factors, from brands, to parent companies, right down to styles. 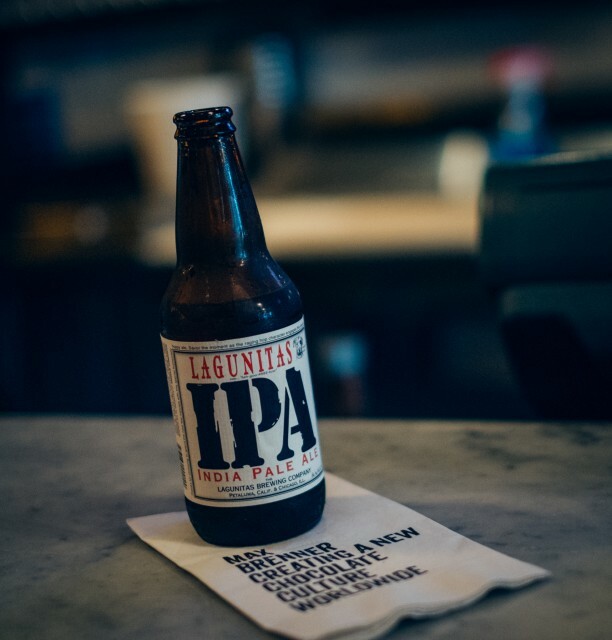 Every once in a while when we dine out, instead of ordering a bottle from the restaurant’s wine list, we like to bring one of our own. Don’t think of the black community in terms of celebrity. 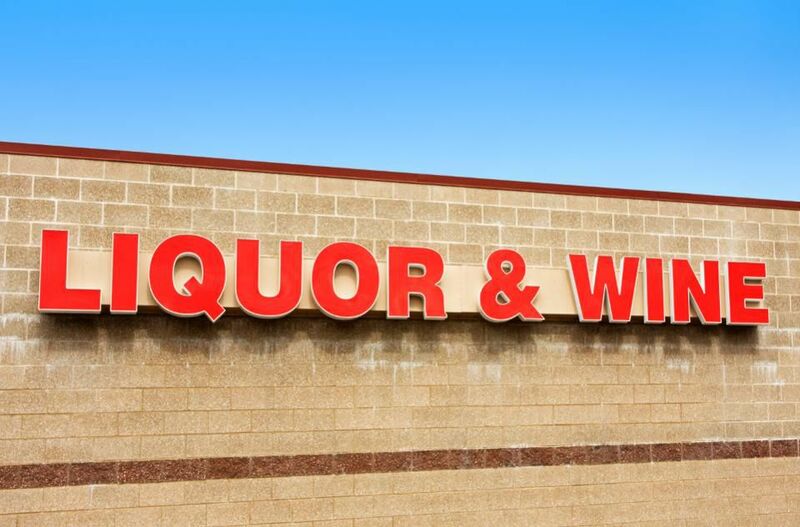 Just think of the person walking into the wine store. 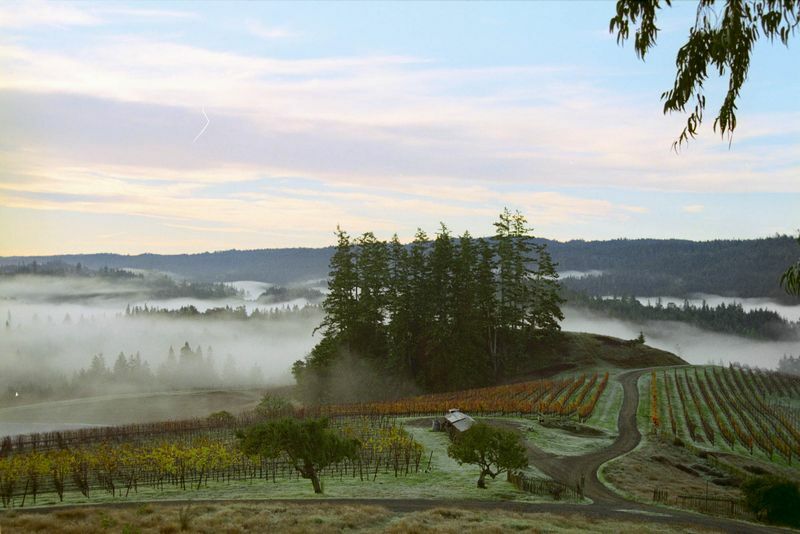 Cabernet Sauvignon has firmly planted itself as the premiere grape of Washington. Here are the wines to know. 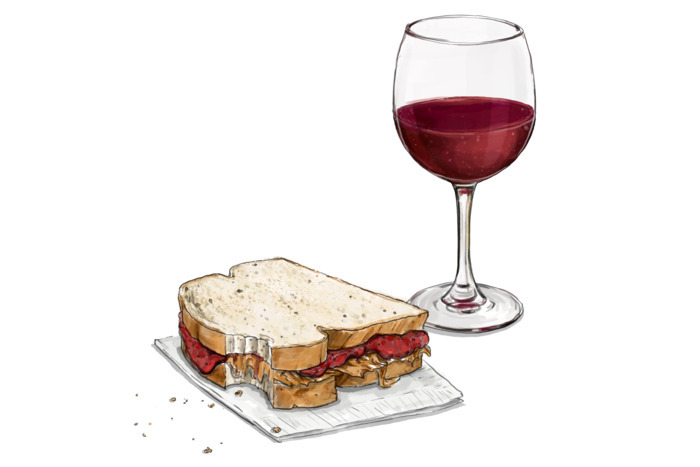 School is back, which means that if you have kids — possibly even if you don’t — peanut-butter-and-jelly-sandwich season is in full swing. 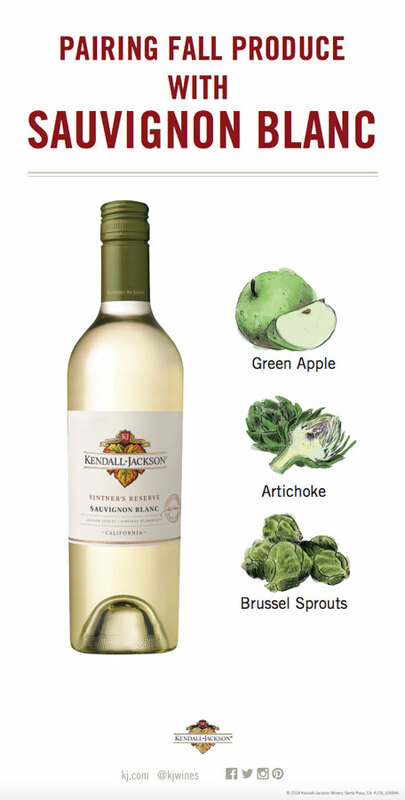 Americans focus on grape variety. 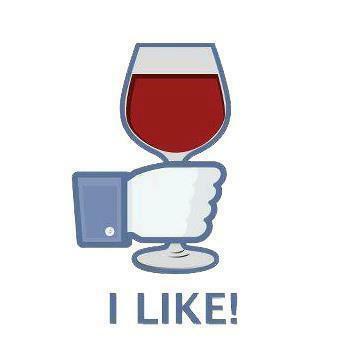 So which varietal wine is #1: Chardonnay or Cabernet Sauvignon? 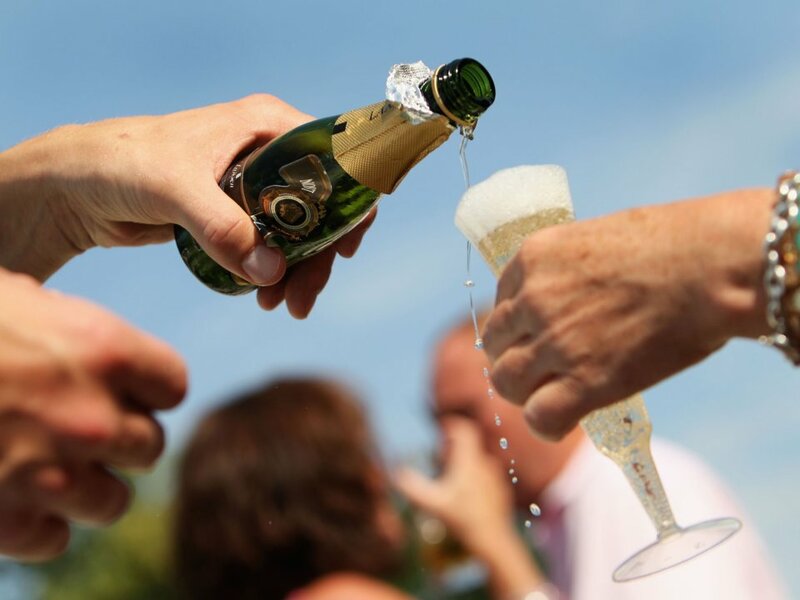 October 19th Is Champagne Day! WHAT WINE TREND NEEDS TO DIE? America is a large country, and so what’s popular in one geographic area might be unknown in another. No, seriously. Chinese wine is booming, and there are three regions ready and waiting for visitors. 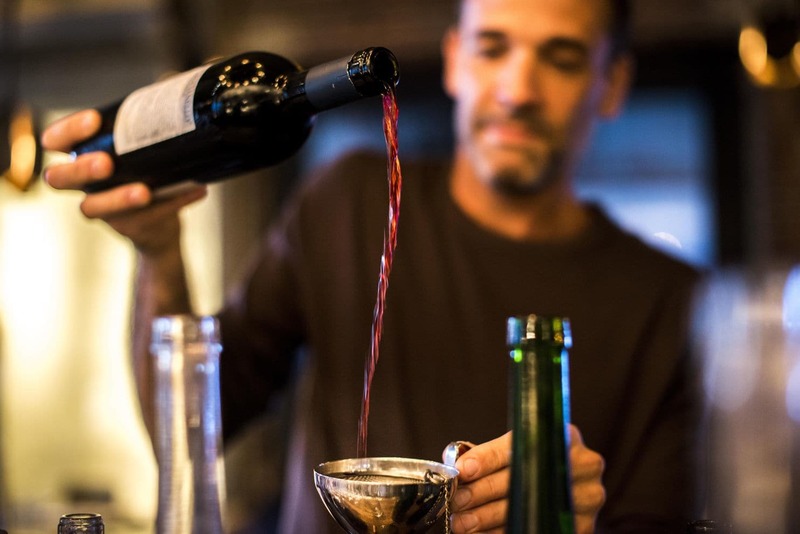 Here’s a guide to navigating the next frontier of wine tourism. Unfiltered. Fresh. Raw. 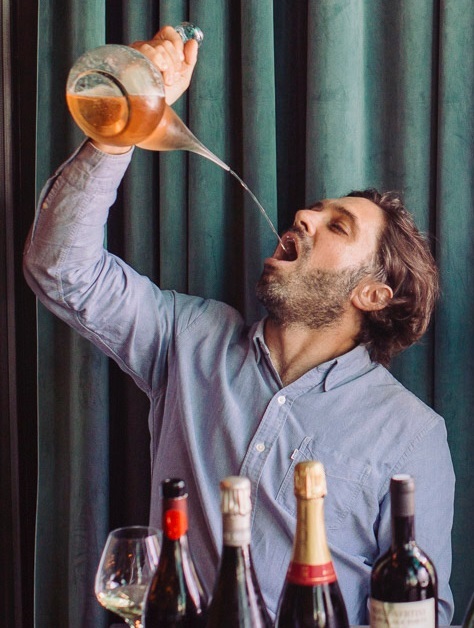 If Michelangelo’s swaying, tipsy Bacchus sculpture suddenly came to life, natural wine would fill his goblet. 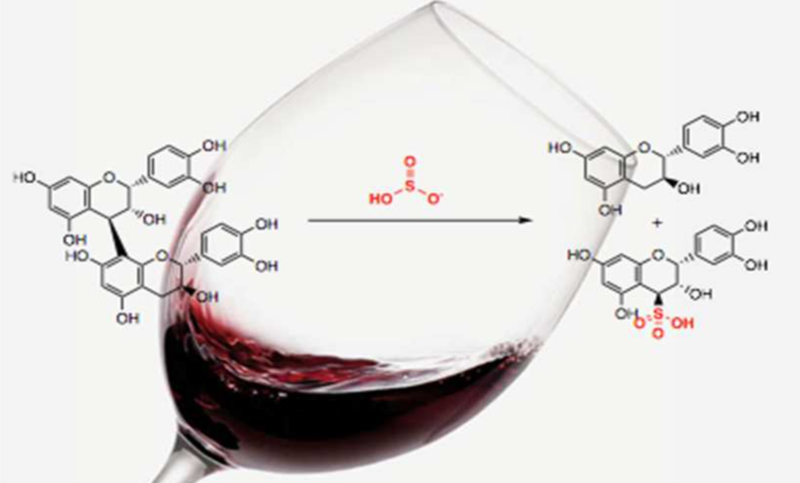 We talk about tannins in wine all the time, but how much do you really know about this versatile chemical compound? 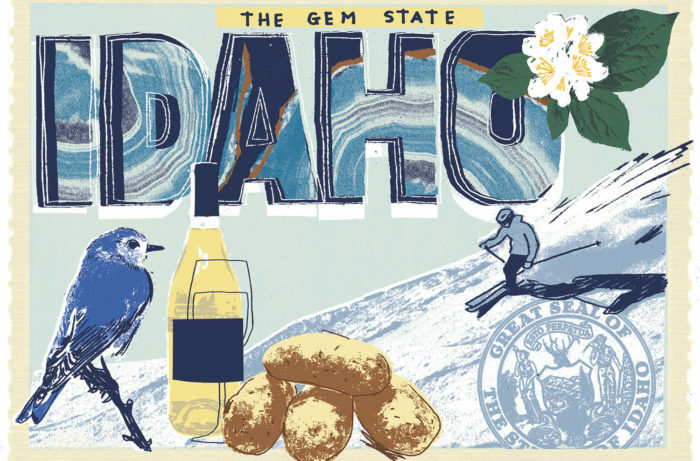 Idaho’s unique climate make it an ideal home for a wide array of grapes, and ambitious producers are pushing it to become a booming wine region. September is National Recovery Month. 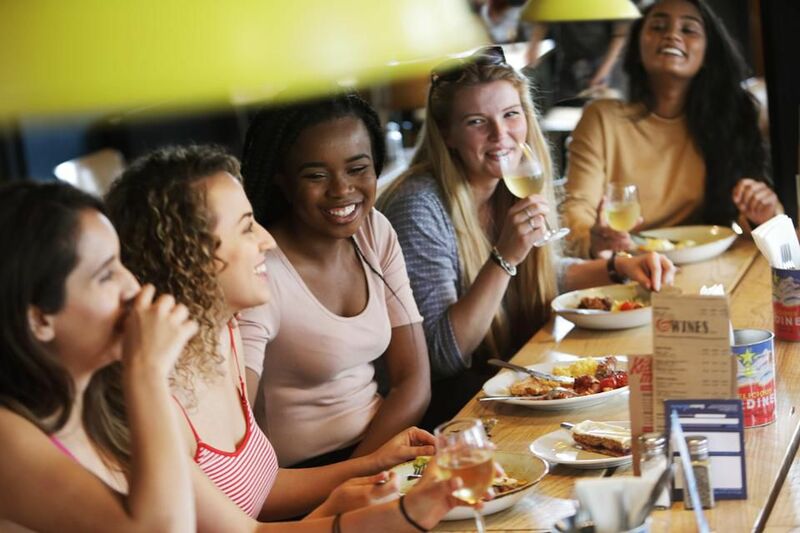 Women are at greater risk for some of the negative effects of alcohol, but their drinking is catching up to men. 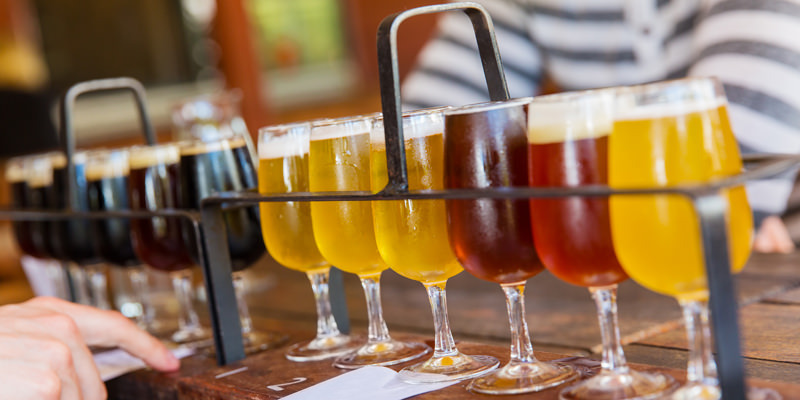 Beer drinkers will debate anything: whether beer flights are stupid, whether New England IPAs are an affront to the style, whether pint glasses are total trash. 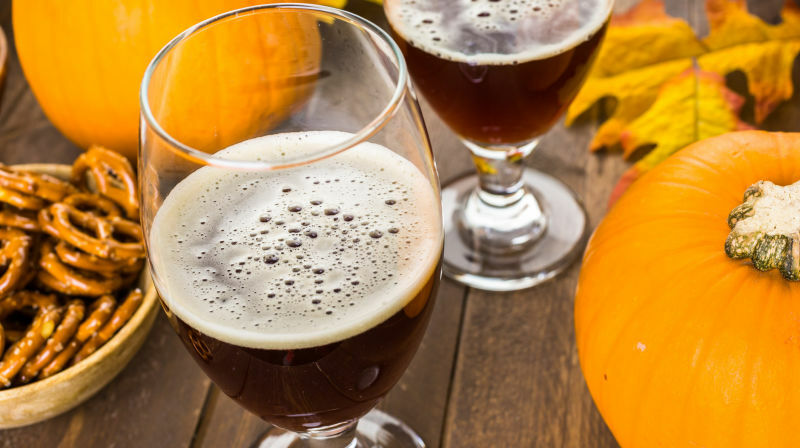 Yet it seems that pumpkin beers are universally, unequivocally reviled among people who proclaim themselves craft beer drinkers. 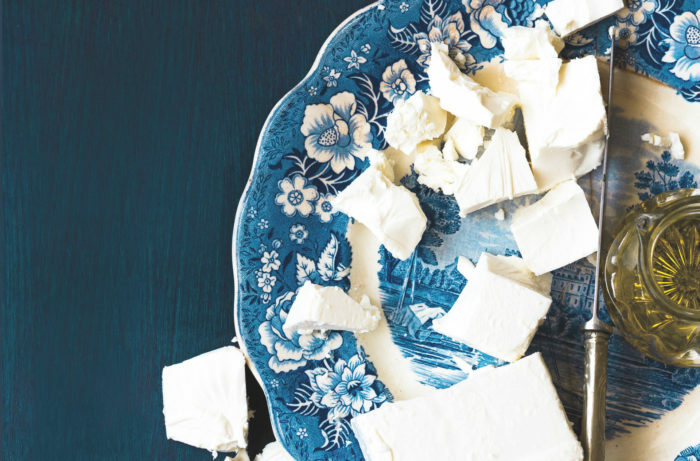 Sheep’s milk feta is one of the world’s most versatile cheeses, and can pair with wines ranging from sparkling rosés to Assyrtikos. 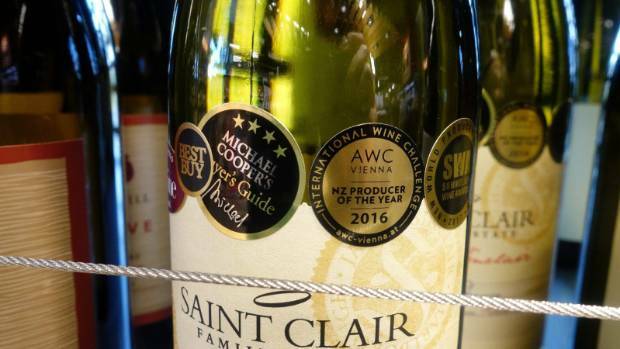 Do gold wine bottles improve wine quality? It is these disparities which make the world of extreme pricing so ghoulishly fascinating. 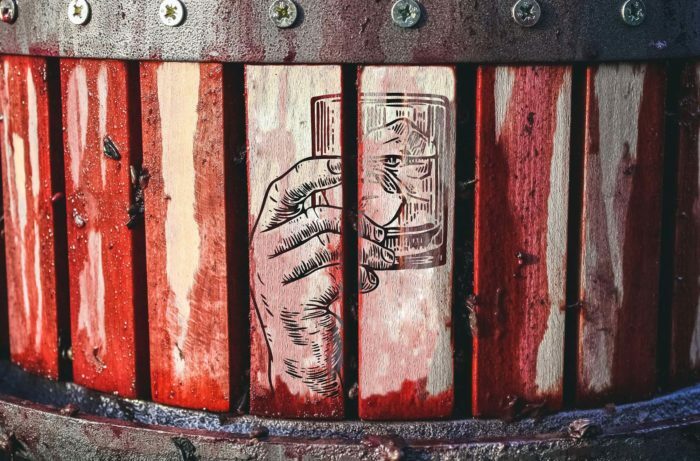 Go behind the scenes as some of the wine industry’s leading voices pull back the curtain. 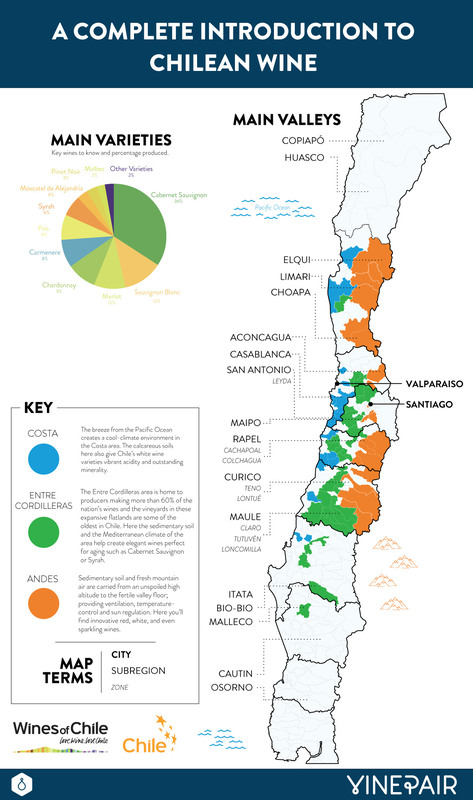 Today Infographie Pierre Le Hong has clients across Bordeaux as well as in Provence, Châteauneuf-du-Pape, Gigondas, Montalcino, Montepulciano and Burgundy. 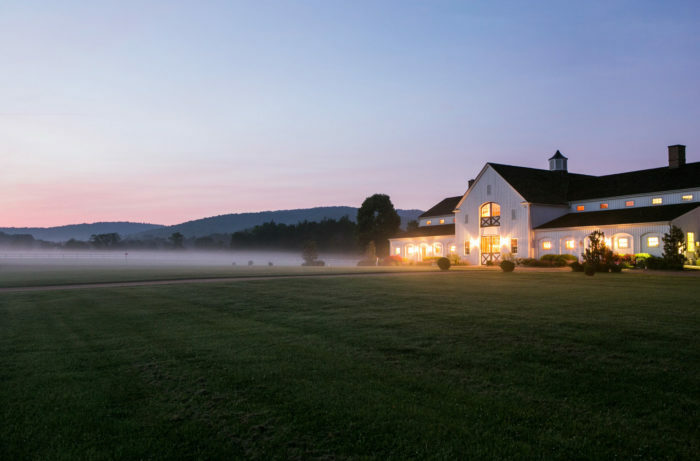 Firefly Hill Vineyards in Elliston, Virginia has reported losses of US$50,000 after thieves stole two and a half tons of soon-to-be harvested grapes over night from the 37-acre family-owned estate. 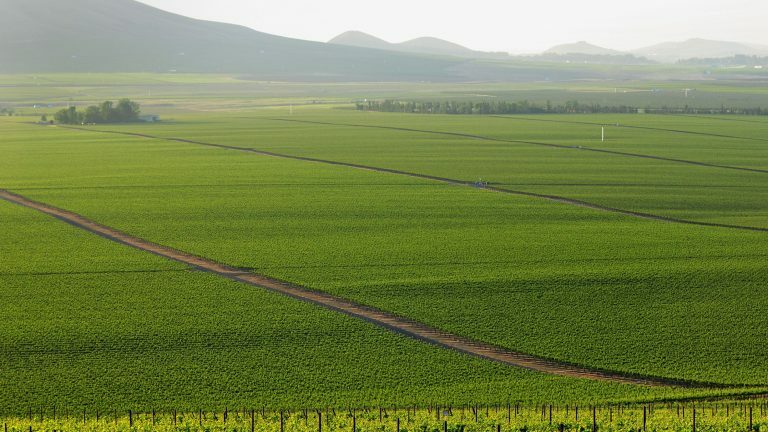 Large sections of the Willamette Valley Viticultural area, particularly the valley floor, aren’t suitable for growing premium wine grapes. 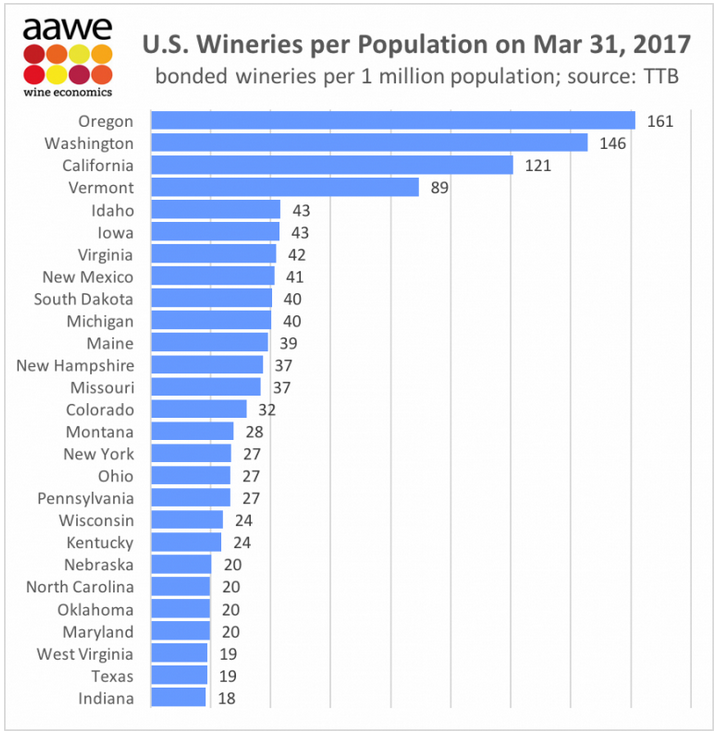 It’s feared companies interested only in the bottom line will grow grapes there, make inferior wines and put the valuable “Willamette Valley” name on their labels. Love it or hate it, the seasonal beer style that’s inspired as many “best of” listiclesas it has angry think pieces is here to stay — at least for now. 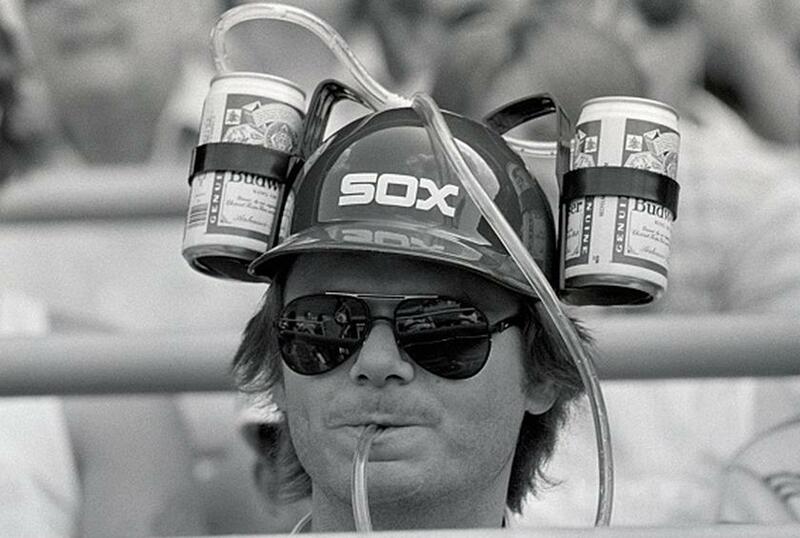 But you’ve got to slow down and savor what you’re drinking. 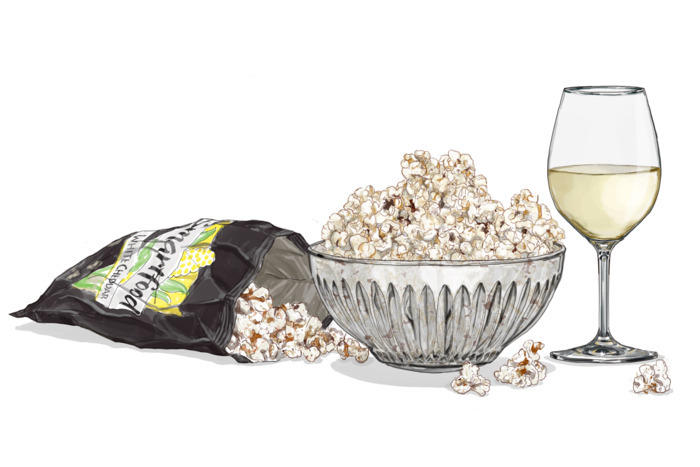 Everything you need to know about America’s favorite white grape. 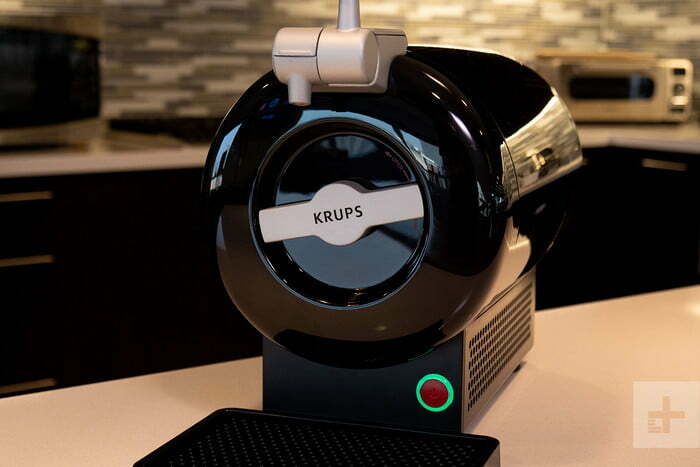 Can this tabletop Krups keg really deliver a perfect pour? KRUPS has partnered with HOPSY, a growler shop-turned-beer delivery service, to bring craft beer directly to your home. 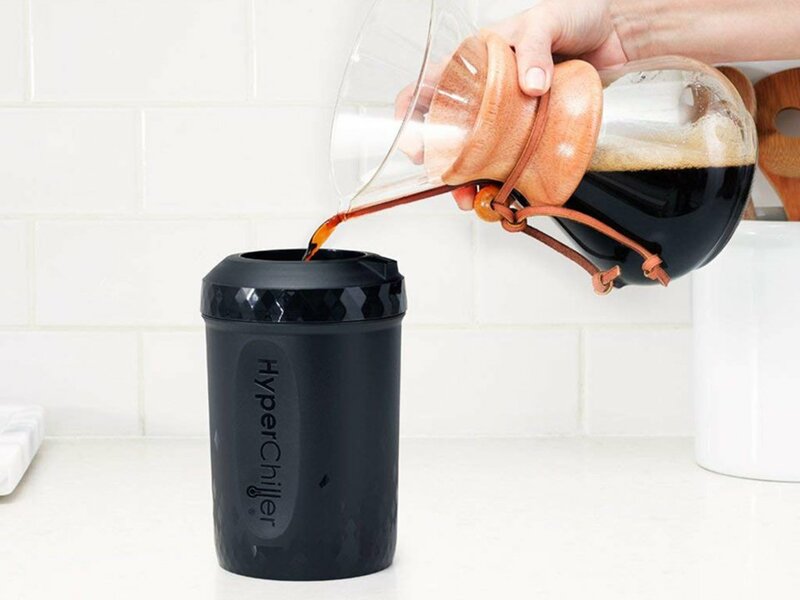 It’s unbelievably easy to use, and their website boasts that the device keeps your beer fresh for up to 14 days after you tap it. 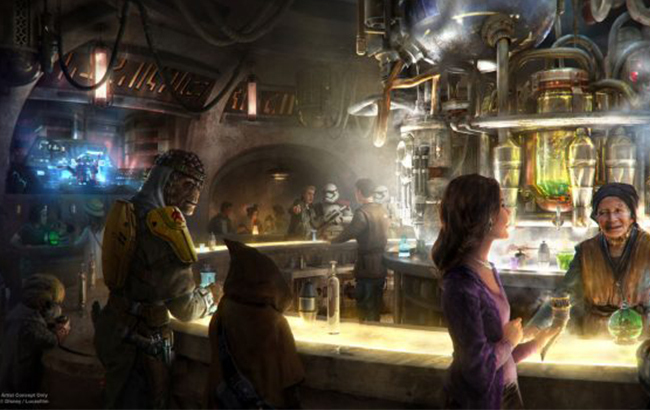 he new drinking den will become part of Disneyland’s new themed section Star Wars: Galaxy’s Edge, which is expected to open in summer 2019. 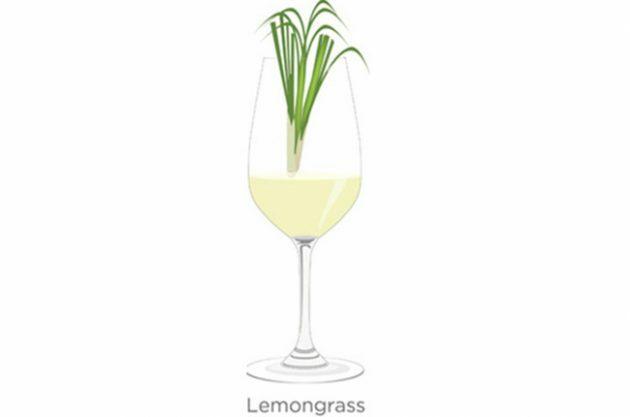 Looks like grass but smells of citrus – lemongrass is a highly aromatic tropical plant that is widely used in Asian cooking as well as herbal remedies. 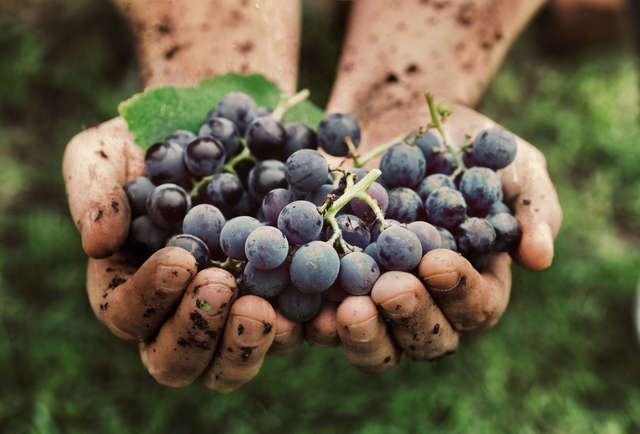 it is believed that red grapes from this year’s vintage will finally be allowed to make Prosecco rosé (or rosato) – a major step for the region, considering the powerful pull of pink drinks, be they from Champagne, Provence, or the world of gin and mixers. 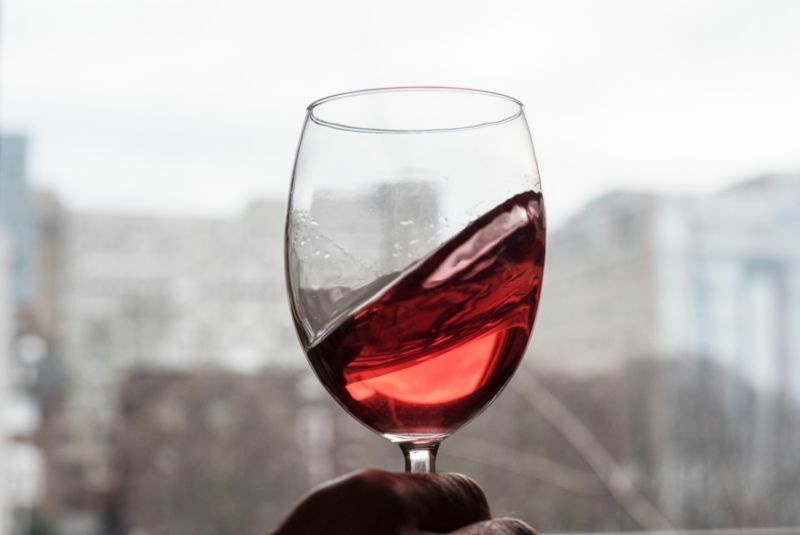 Following news that DOC Prosecco may be authorising the production of pink versions of this highly successful Italian fizz, db has been told that this won’t happen within the smaller DOCG. 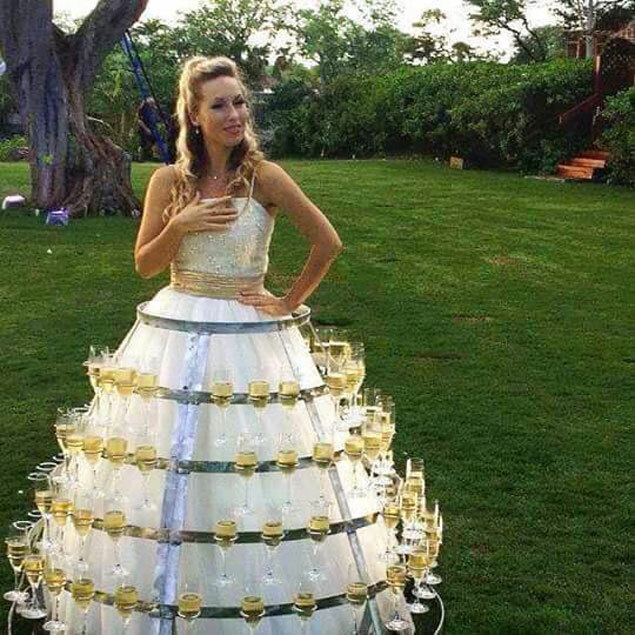 A woman who commissioned a custom-made wedding dress with a metal frame that holds 50 glasses of Prosecco has decided to rent it out to would-be brides so that it doesn’t “go to waste”. 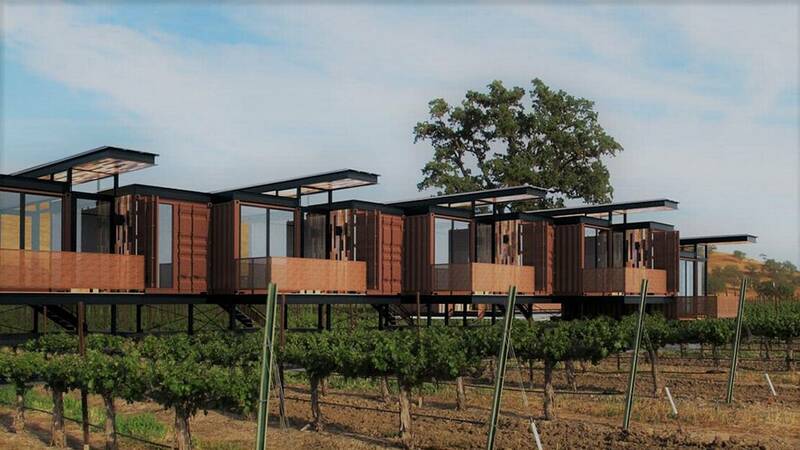 Can shipping containers be a vacation getaway? t’s like a new entrants prize session where everyone wins. It’s like boxing where you can fill a room with world champions from the same weight class. Increasing the cost to buy things like bottles and cardboard boxes as much as 25 percent — businesses are having to think about soaking up the cost themselves, or passing it on to the consumer. But for ordinary consumers, even the effort between distinguishing between one Pinot Grigio and another can produce angst. It’s not clear yet if a West Sonoma Coast label will persuade wine lovers to pay more, but it’s not the first area to attempt to bring order and meaning to the Sonoma Coast. The idea that a vineyard’s soil lends a wine its flavour is becoming increasingly popular – but is there any scientific basis? 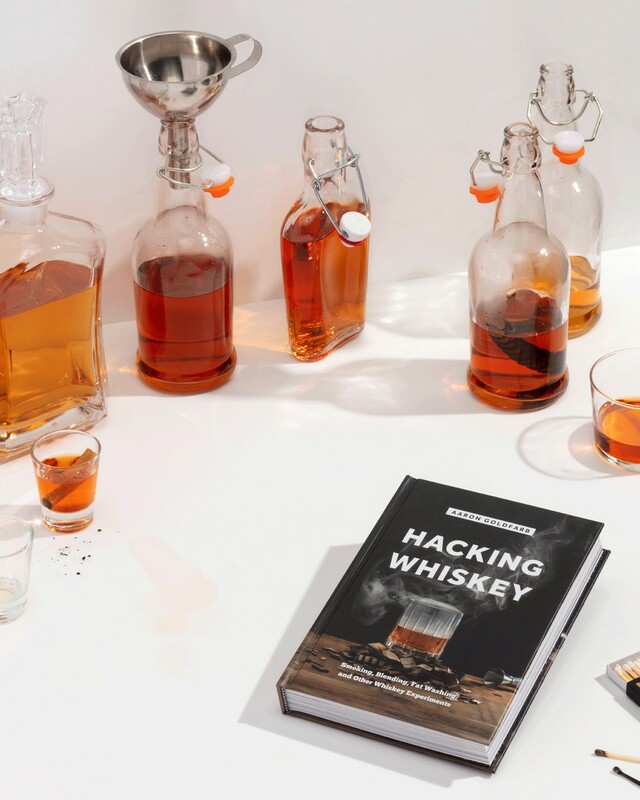 These are the top 20 best-selling whiskey brands in America, according to IRI Worldwide, a market research firm that measures off-premise sales such as those in liquor, grocery, and convenience stores. Finding the perfect wine to pair with a dish doesn’t need to be limited to fancy and super-expensive tasting menus. 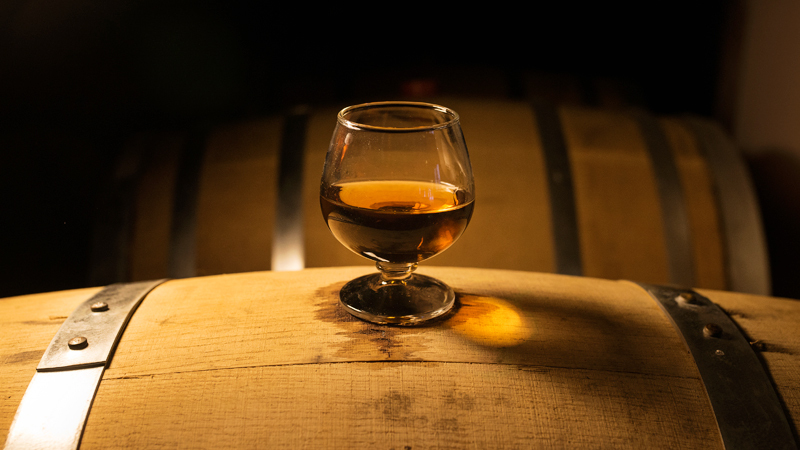 From Cabernet and Pinot to Port and Syrah, learn how different wine casks are changing your whiskey. 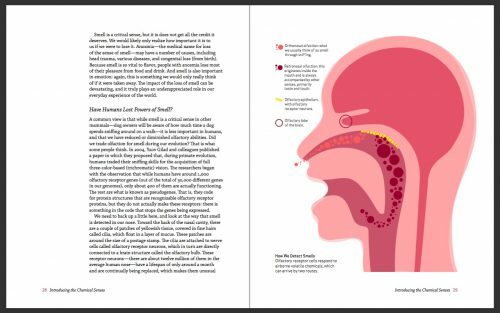 What you need to know about nose, taste, regions and swirling. As the heat of summer eases its grip, we begin to think of autumn and all the gifts it provides, like football. 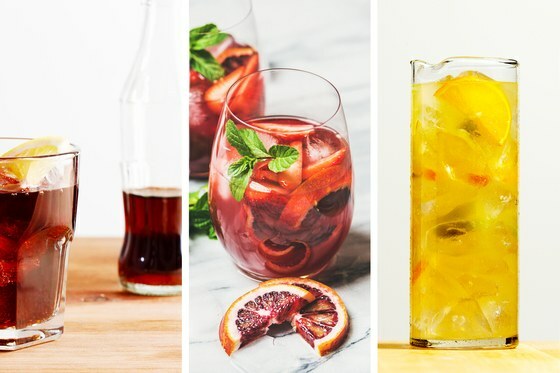 If you put cheap ingredients in a cocktail, you’ll get a cheap cocktail, every time — seems obvious doesn’t it? 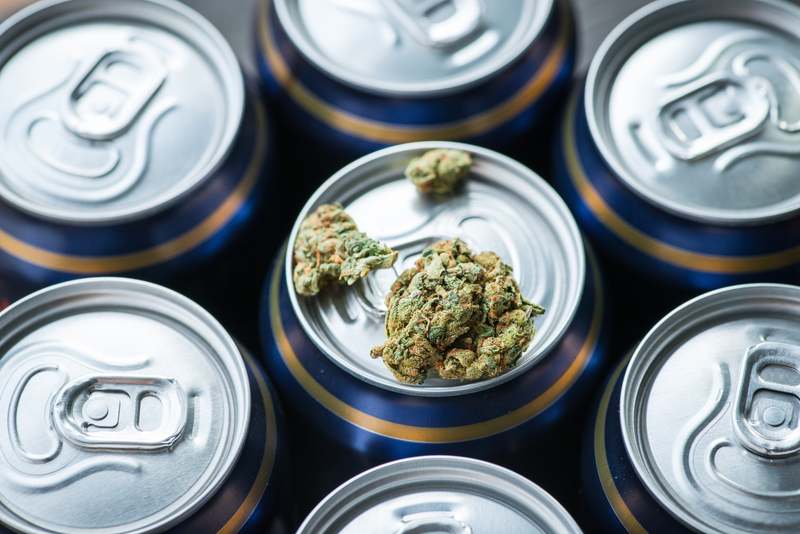 While producers from Heineken to boutique wineries are dipping their toes in the cannabis drinks market, recent legal action in the US suggests that companies are still at odds on the publishing side of things. 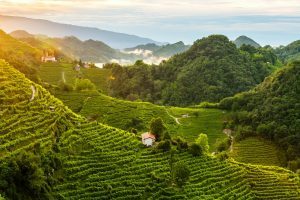 In order to fully understand what makes Prosecco Superiore so superior, we travel to Northern Italy and visit the heartland where the most prestigious Prosecco on the planet is produced: Conegliano Valdobbiadene. 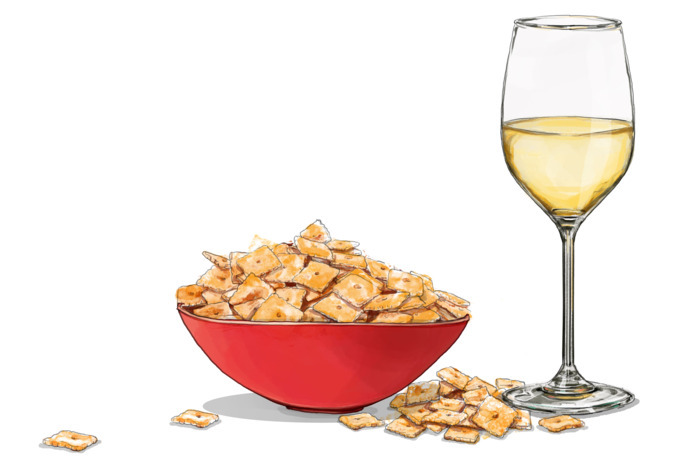 See the most bizarre wine flavors and find out what wines have these flavors. 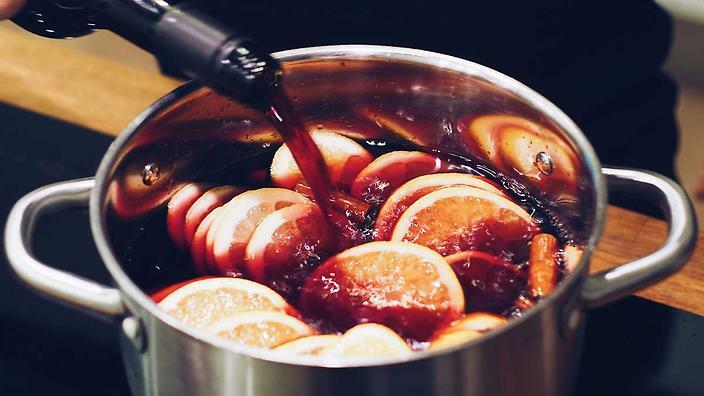 If wine tasted only like flowers and fruit, it wouldn’t be as awesome as it is. 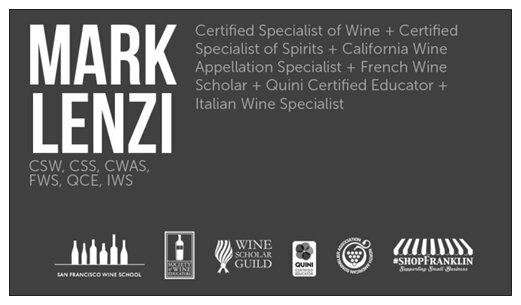 Oak is winemakers’ salt. 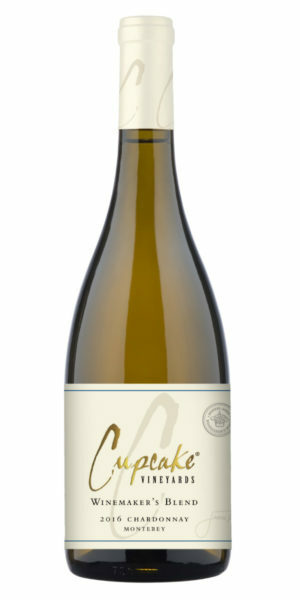 Used correctly, it can increase the intensity and complexity of wine, add attractive flavors, and elongate the finish. 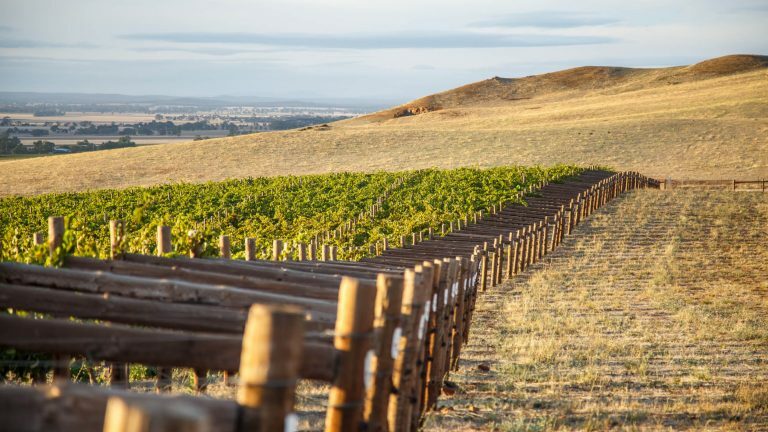 The furore surrounding organic and biodynamic viticulture has reached “ludicrous levels,” according to leading consultant Dr Richard Smart. 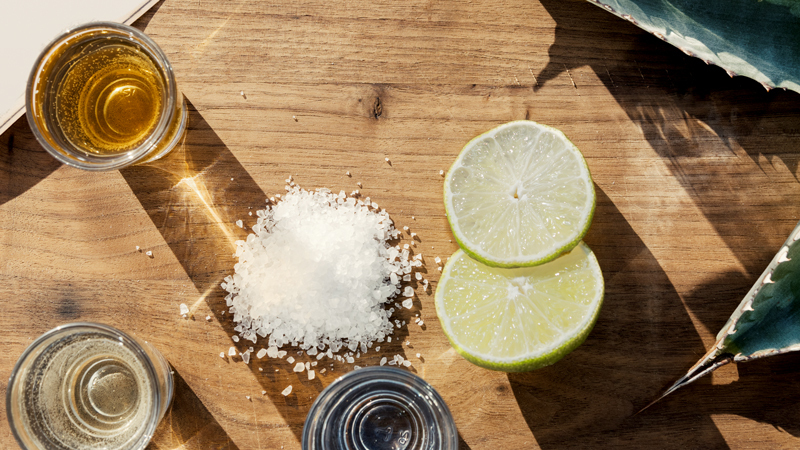 There are five different classifications of tequila available today. 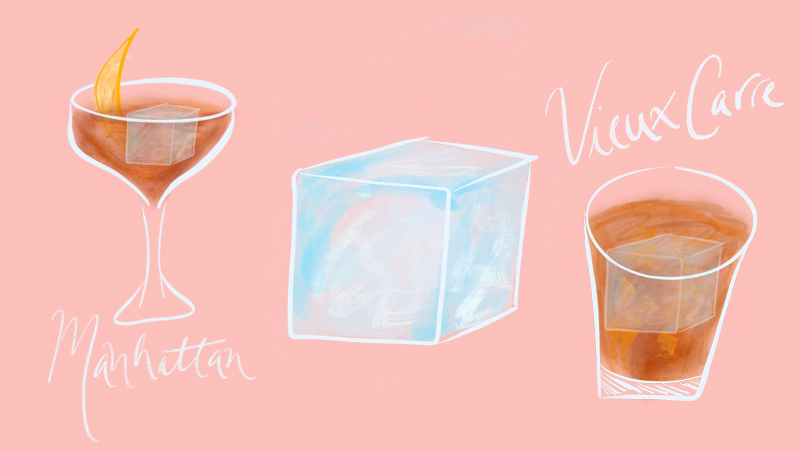 All can be enjoyed neat, on the rocks, or in a variety of cocktails. 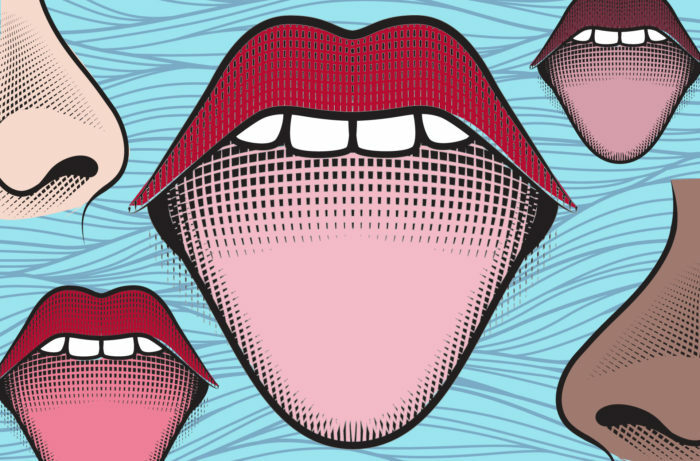 Constellation is rolling out a new Washington wine brand, Spoken Barrel. 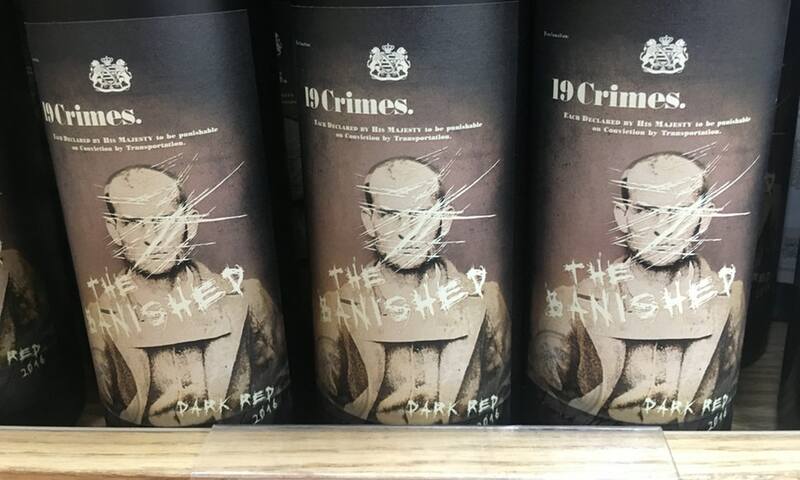 Sourced from the Columbia Valley, Spoken Barrel initially will include a Cabernet Sauvignon and Meritage Red Blend, both retailing at $20 a 750-ml. 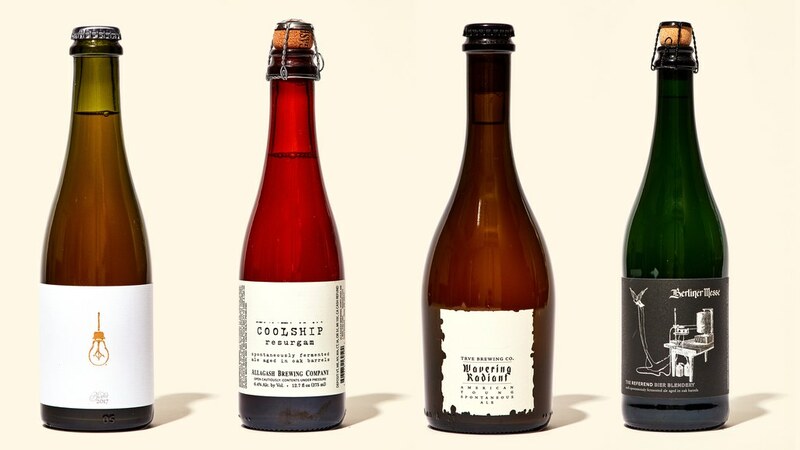 The brand is aimed at both wine consumers and craft beer drinkers, according to the company, with its bottle design highlighting its Washington provenance. 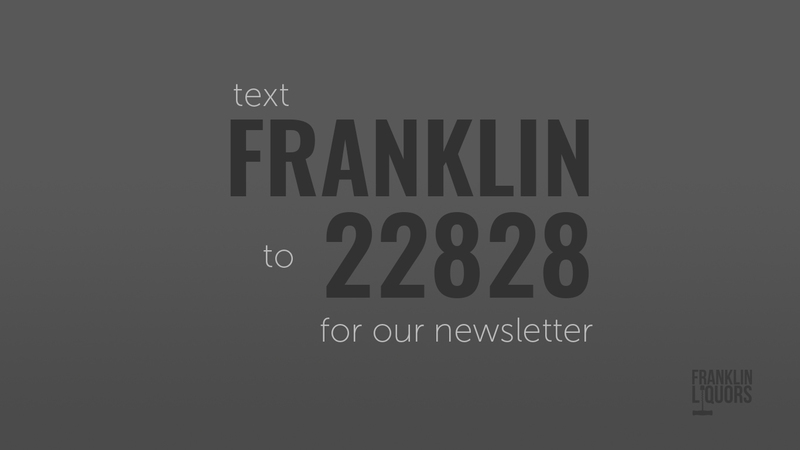 Spoken Barrel is launching nationally. It’s fall and that is the time for both sports and wine. Does the klutz who spilled red wine on my clothes owe me? California’s traditional tasting rooms are pivoting to more “maker” spaces, nature immersions and places for all-day casual hangs. 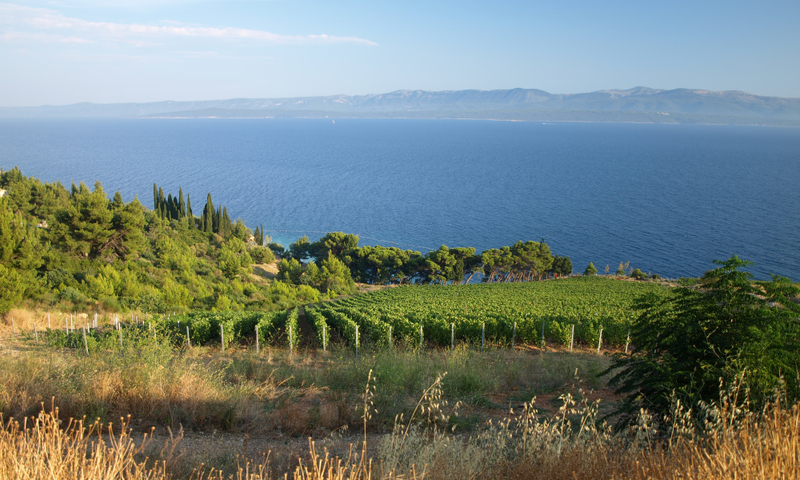 Some of Europe’s most interesting wine regions are islands – environments and cultures preserved by a frame of sea. 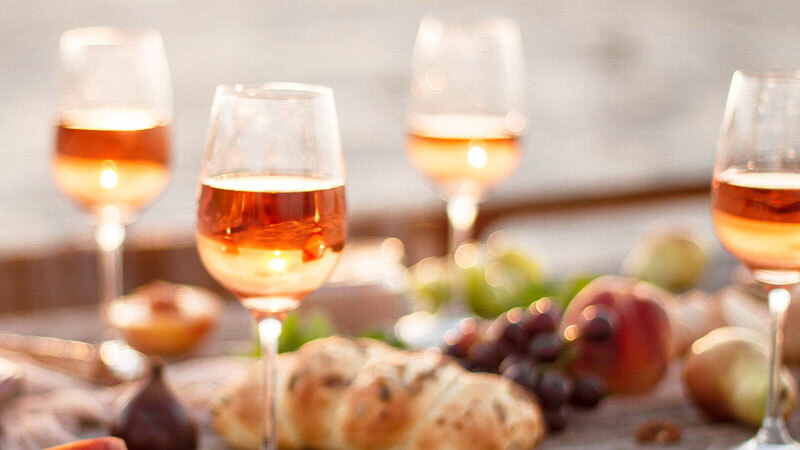 Whether planning a trip or a meal, get to know these five tempting island wine regions. 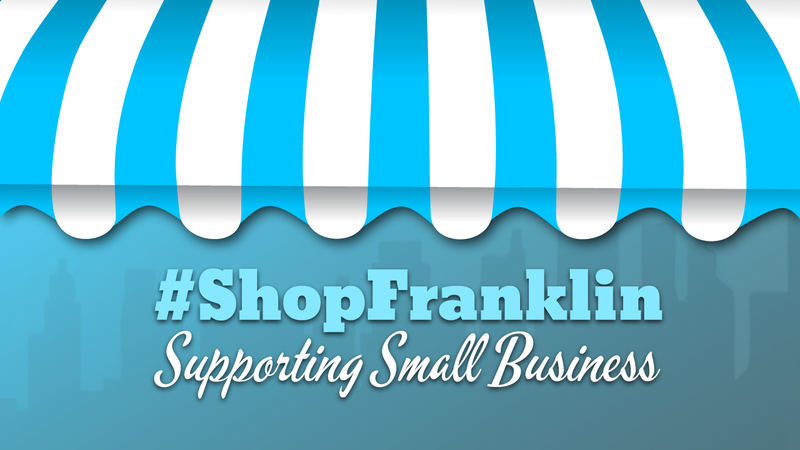 The best independent wine retailers understand that customer service matters, which is why they don’t carry junk. 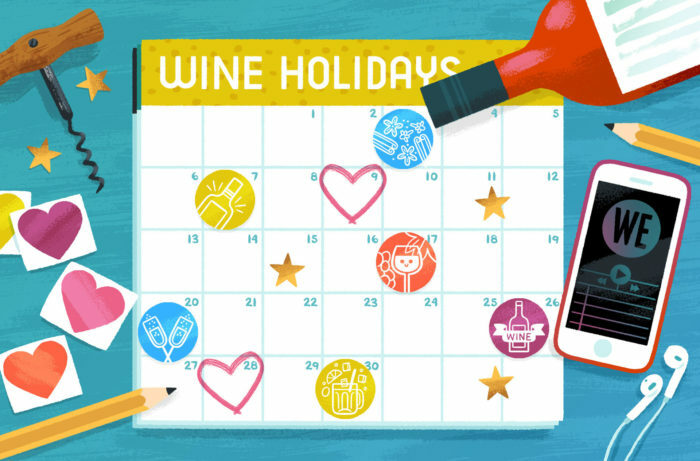 Why Do we Have Bad Wine Days? 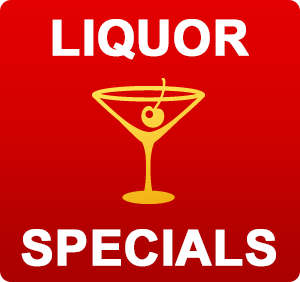 We heard you liked alcohol so we put alcohol in your alcohol. 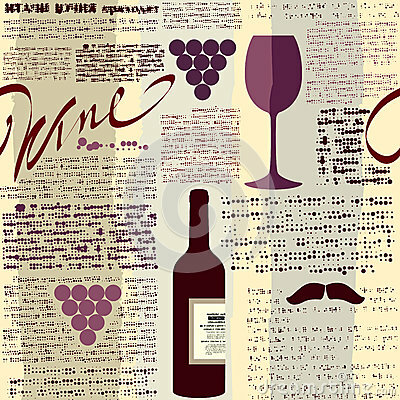 What information should be on wine labels? 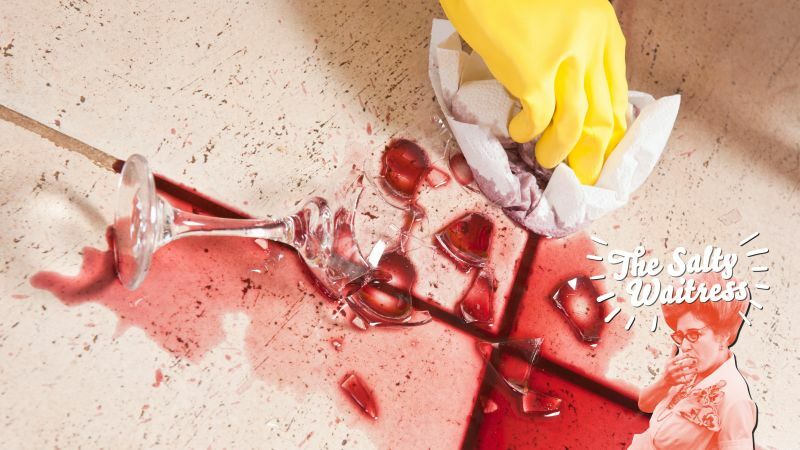 Cleaning a wine decanter can be such a nightmare. Do you think this is a good idea in MA ? The purveyors of a bonny doom paint a dark scenario. 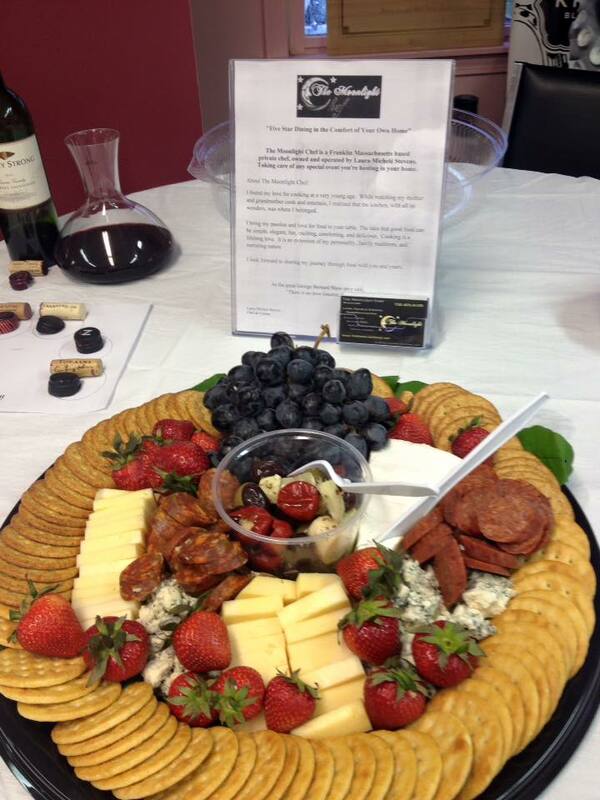 I’ve heard it said there are two type of wine drinkers – those who imbibe with food and those who don’t. 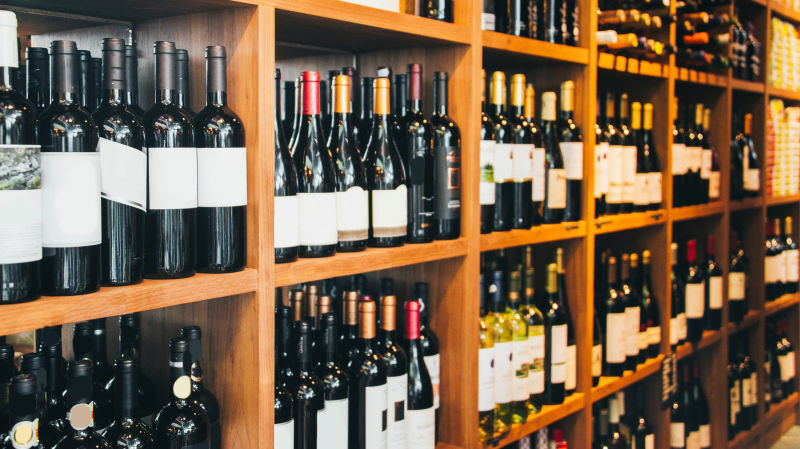 Served a one-day suspension of its federal permit to sell wine as a result of a national investigation into consignment sales, an illegal practice in which a winery or wholesaler buys back bottles that retailers are unable to sell. 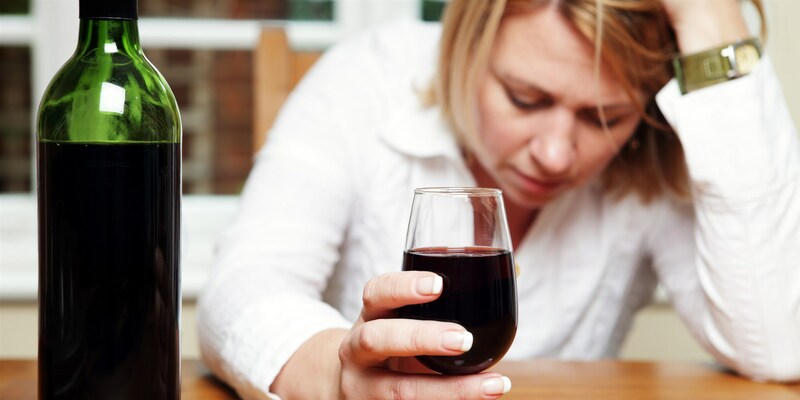 A study slamming alcohol as unhealthy doesn’t address the benefits of moderate drinking. 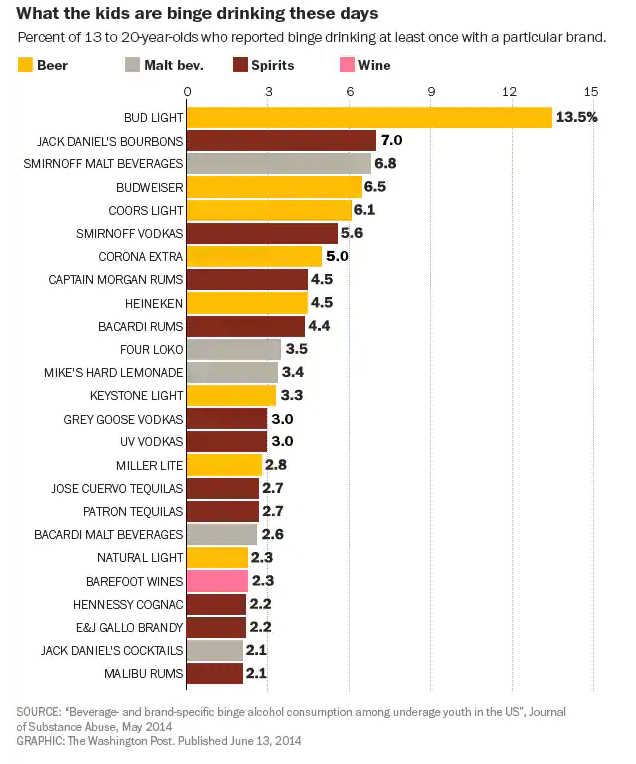 These are the top 25 brands that under-aged drinkers binge on. 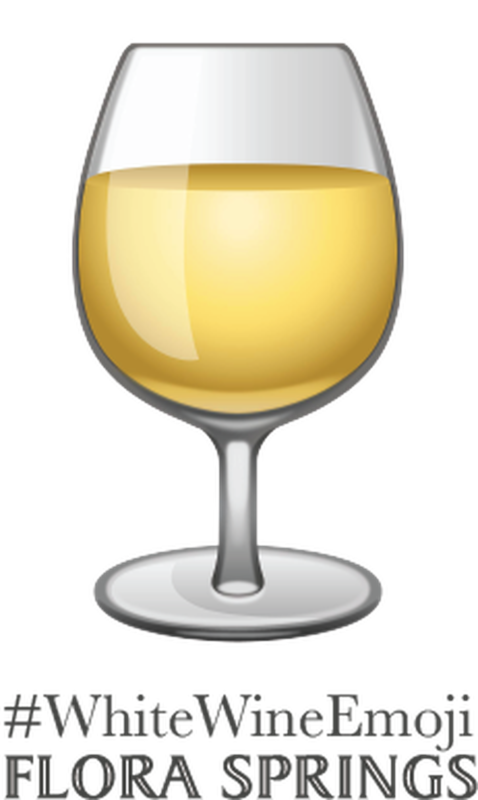 Wine ranks way toward the bottom. 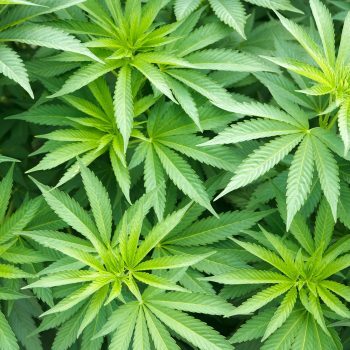 As cannabis becomes legal in more and more states, the weed industry is turning a new leaf. 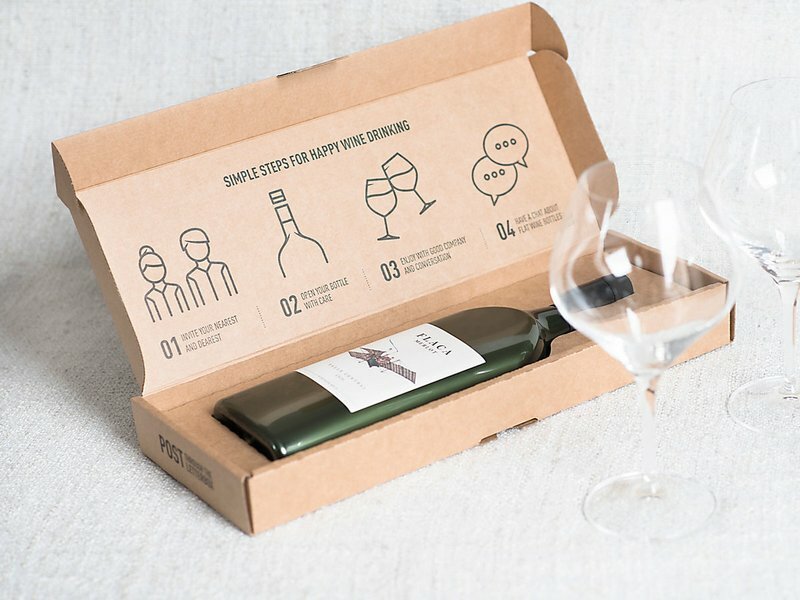 Better known for its mobile phones, South Korean electronics giant LG has branched out into wine with a state of the art voice-activated wine cellar. 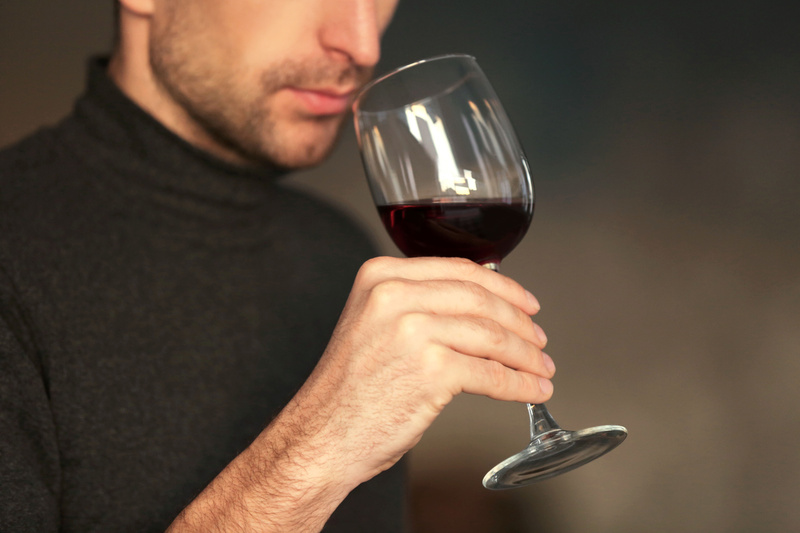 HOW CAN YOU TELL IF YOUR SOMM IS A PRO? 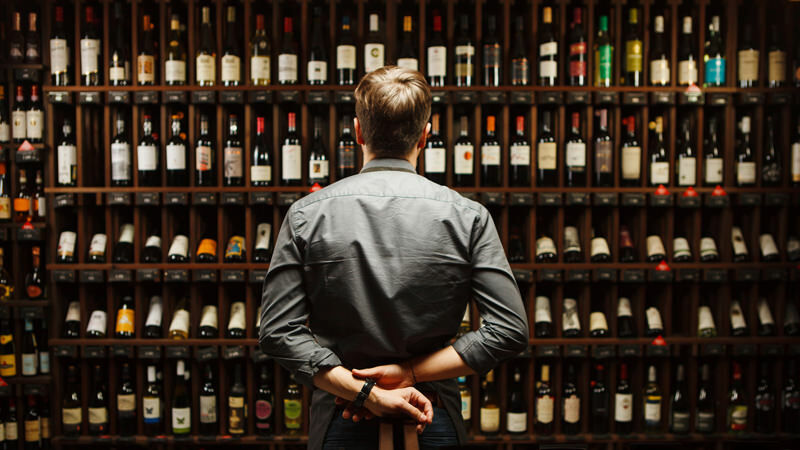 How, then, can you tell if your sommelier is a pro? 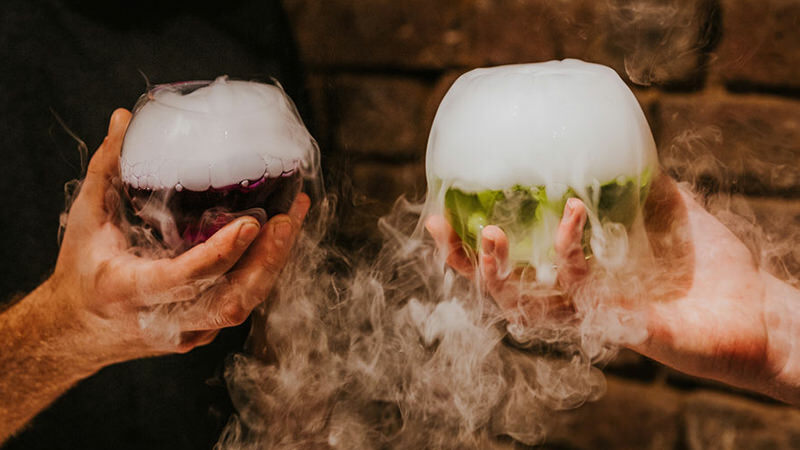 The Cauldron, a wizard-themed, Harry Potter-inspired bar that had a successful run in London, is coming to New York in September. The children are our future. But now is the time to cellar a bottle or two of their birth year wine to help celebrate when they come of age. 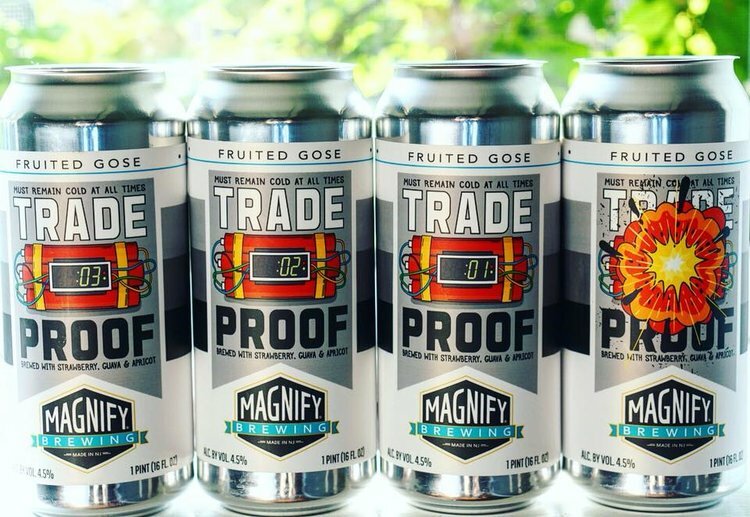 If they know the difference between a session IPA and a double IPA, then they’ll love these gift ideas. Can you spot which is which? 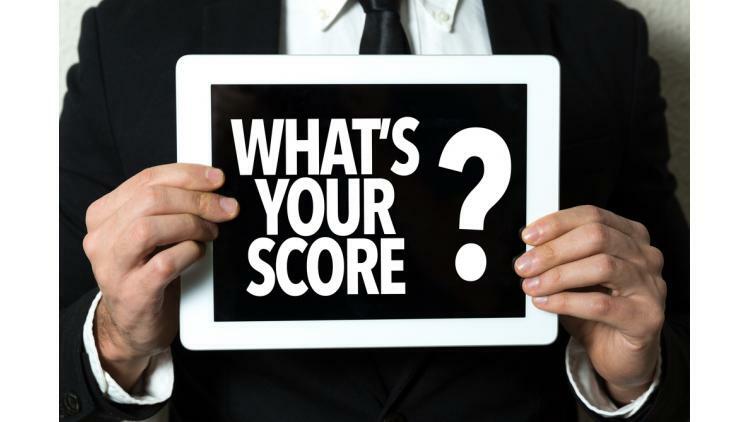 Take our fun quiz to see how well you score! 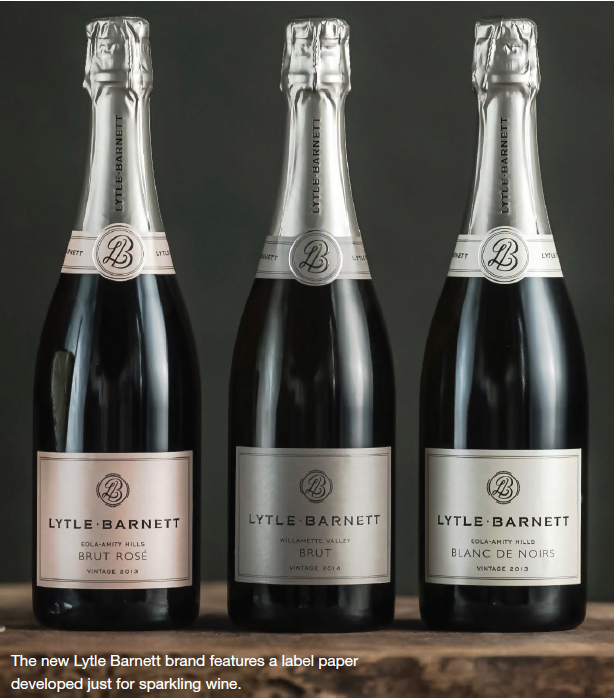 What red grape other than Pinot Noir can be used to make great traditional method fizz and top-end still red wines? Francesco Zonin thinks he has found the answer. 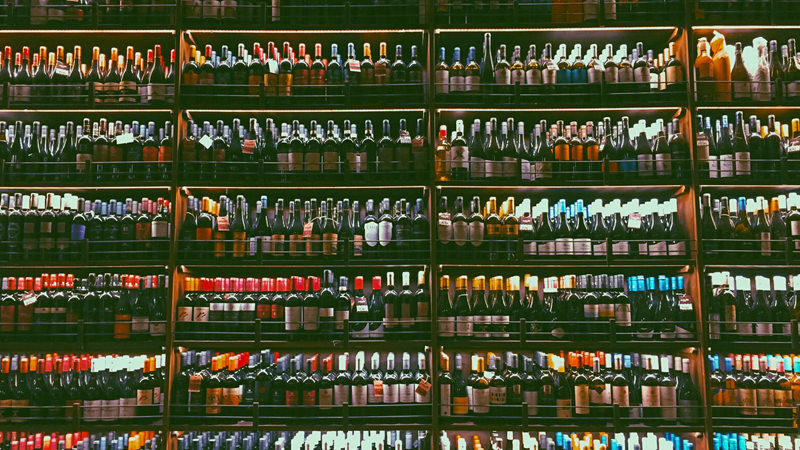 From demis and magnums to bottles that can hold up to three cases, we break down the sizes and how many glasses they hold. 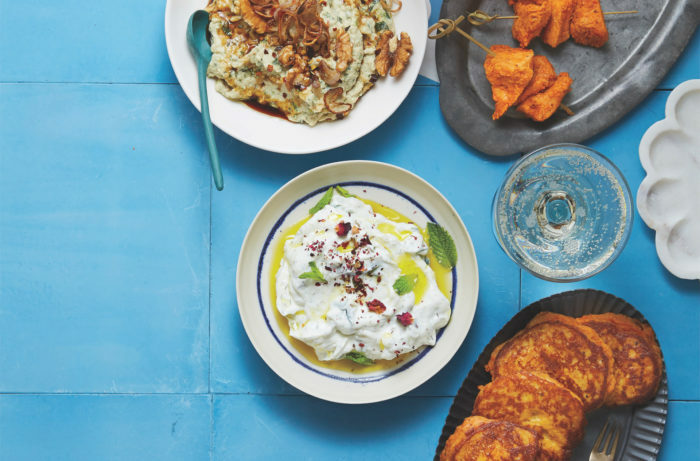 Fragrant, fruity and herbaceous, Persian dishes provide the perfect the perfect canvas for pairing wines from red to sparkling. 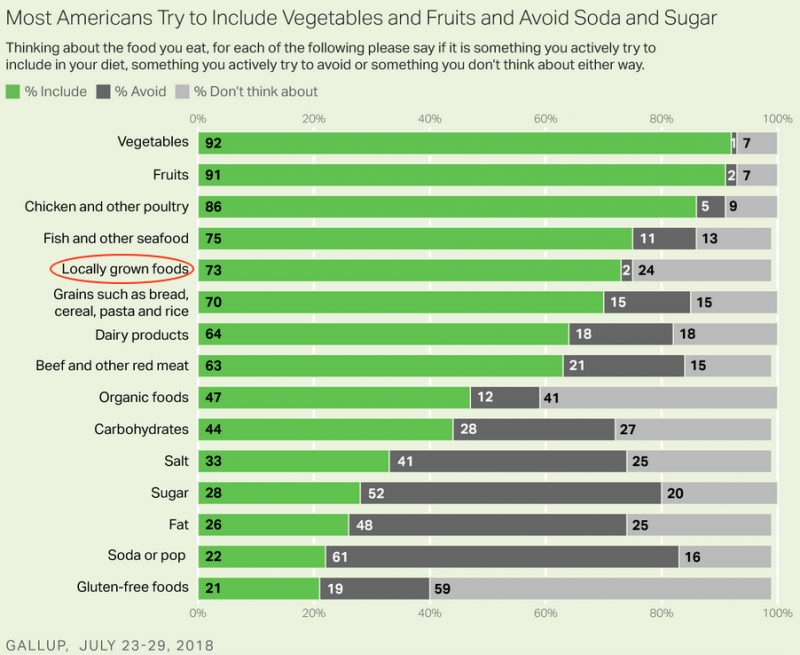 73% Of Americans look for locally grown foods. How do you make wine part of that? 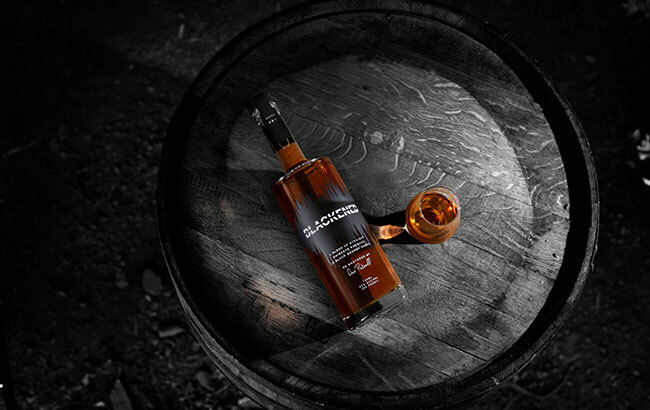 Members of heavy metal band Metallica have partnered with WhistlePig master distiller Dave Pickerell to launch ‘sonic-aged’ Blackened American Whiskey. 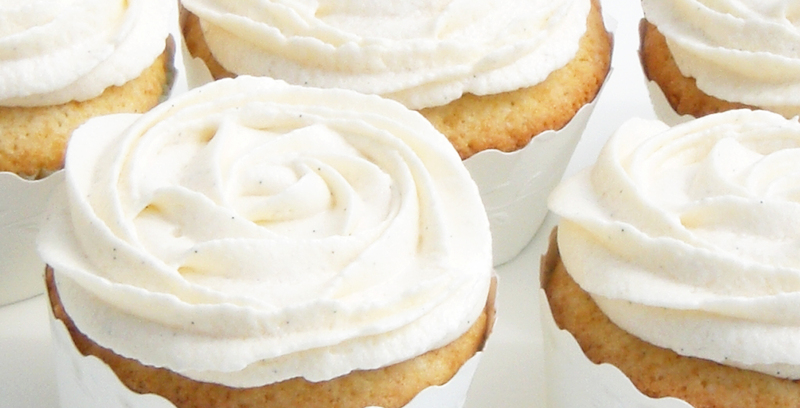 You and I both know that we love white-cheddar popcorn. 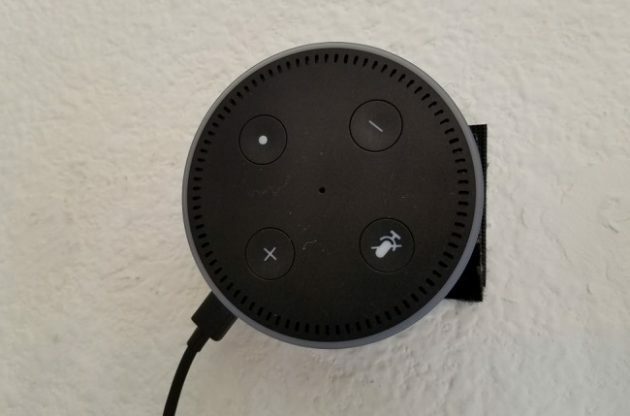 A recently launched app via Amazon Echo has sought to increase the wine and food pairing ability of Alexa, the company’s virtual personal assistant service. Few things in life are as frustrating as uncorking a highly anticipated bottle of wine after a long day and pouring a glass only to discover that the bottle is spoiled. 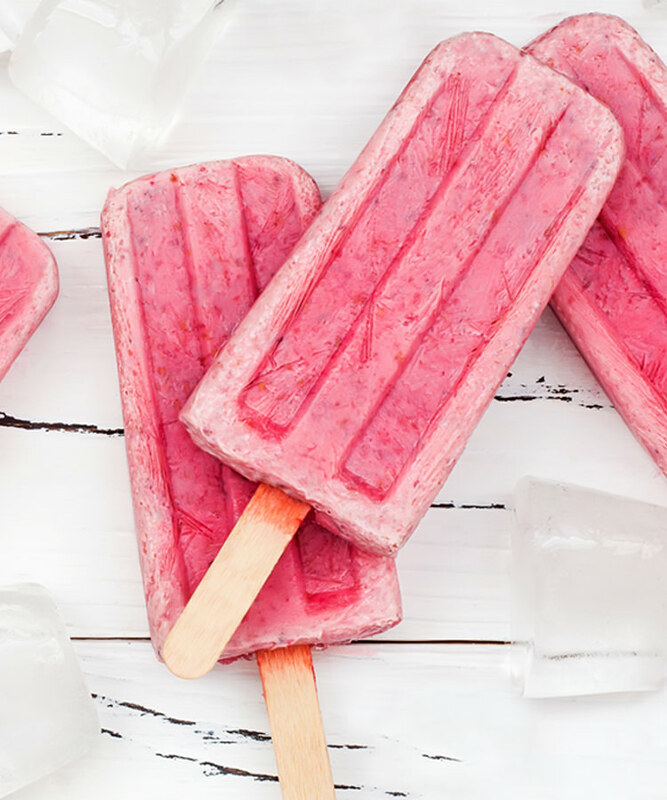 There’s so much more to ice than filling a few trays and calling it a day. 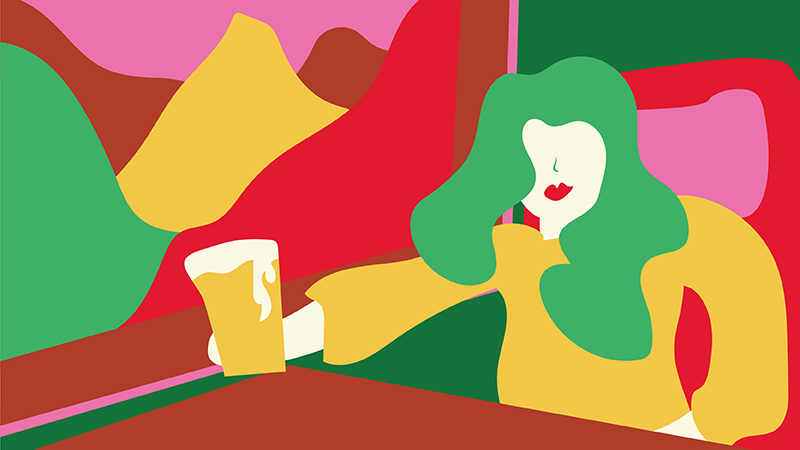 We tracked down the prices of beer dating all the way back to the 1930s. 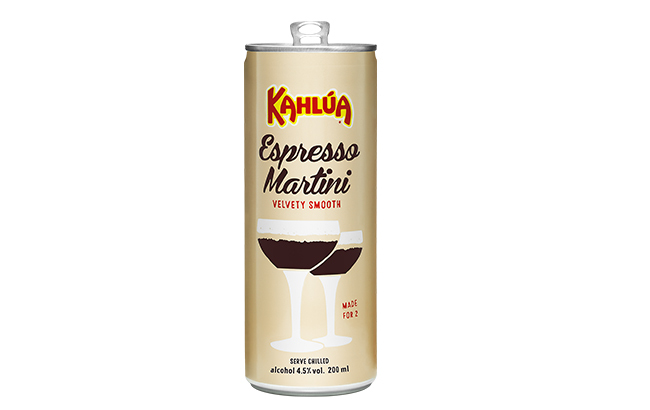 Kahlúa is tapping into the trend for at-home drinking with the launch of a ready-to-drink (RTD) Espresso Martini, said to be the first product of its kind. 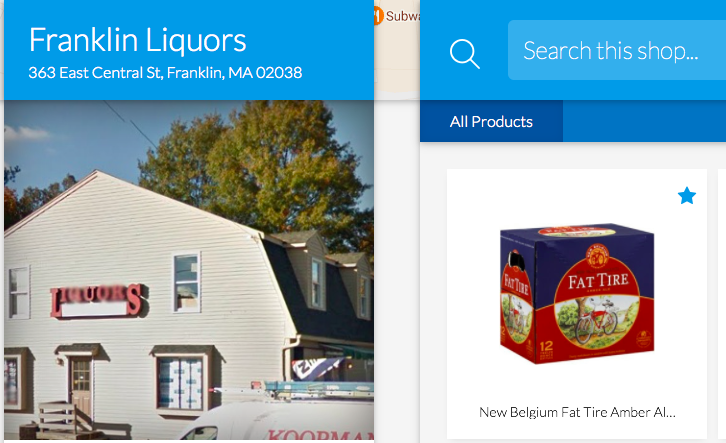 How big is Big Beer, exactly? 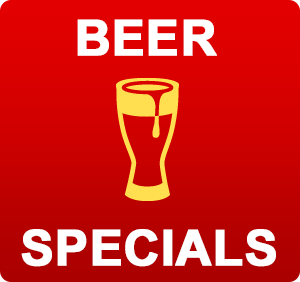 It’s a $350 billion business in America, according to figures compiled by the Beer Institute and National Beer Wholesalers Association. 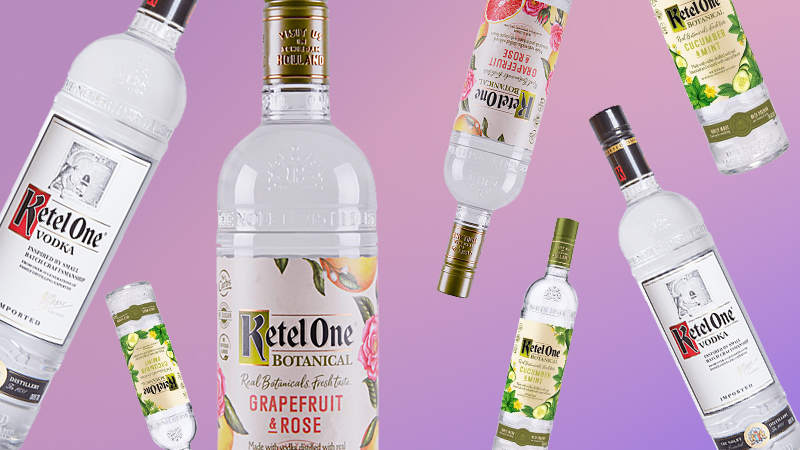 It’s no secret that Asian spirits are on the rise. 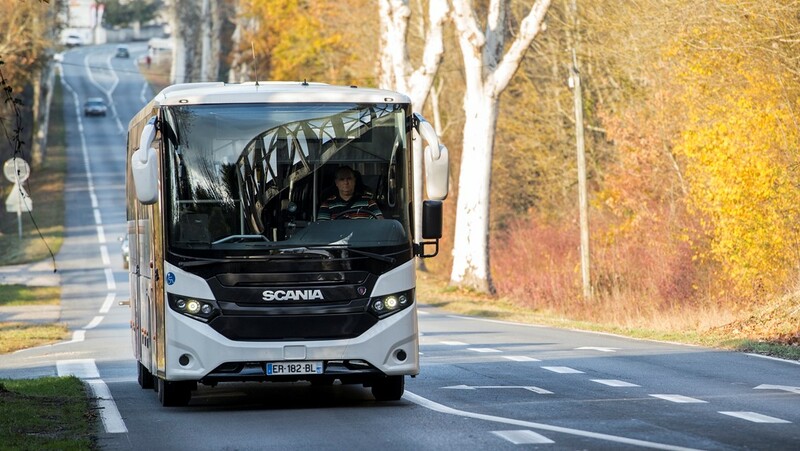 Scania is showing off a new bus in the Bordeaux region of France. And appropriately, it runs on wine. Or at least some of the waste from winemaking. 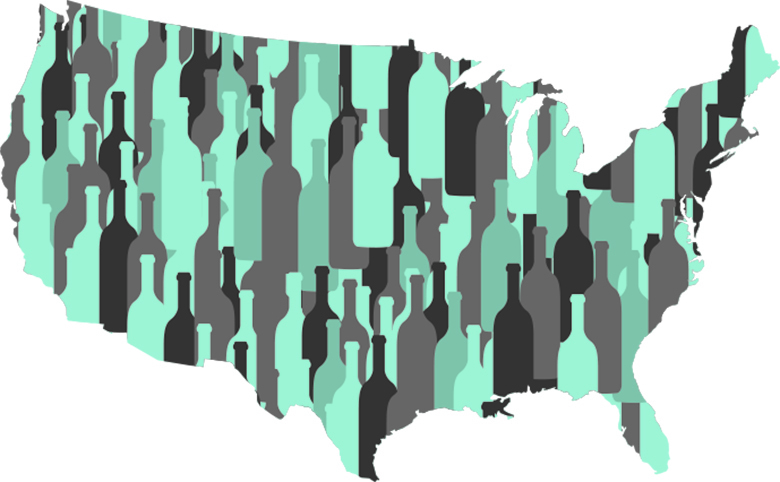 Which state has the most wineries per capita? 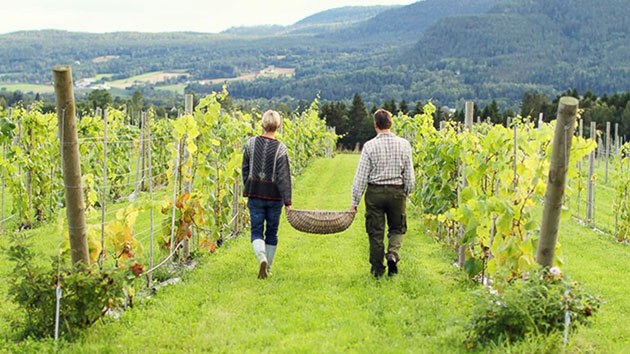 Lerkekasa Vineyard sits at a latitude of 59 degrees north, similar to Alaska. But it is a two-hour drive southwest of Oslo. 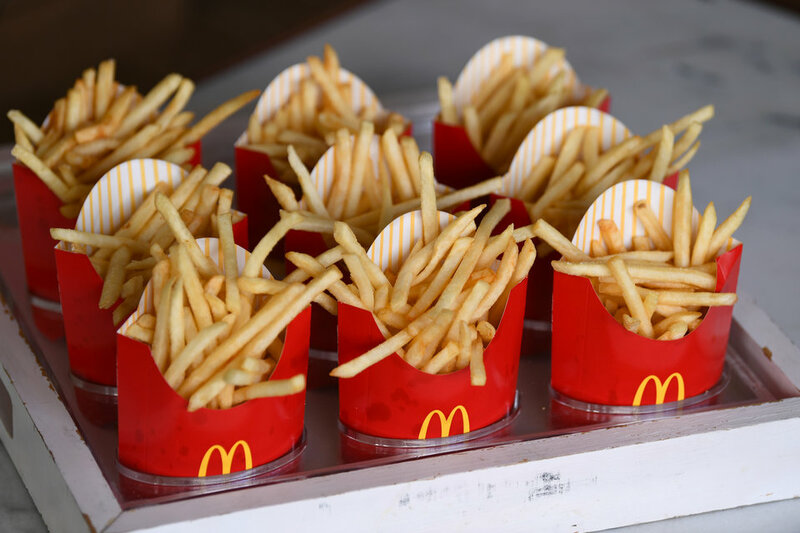 The concepts of anticipation and expectation can determine your level of enjoyment since certain combinations are more predictable than others. 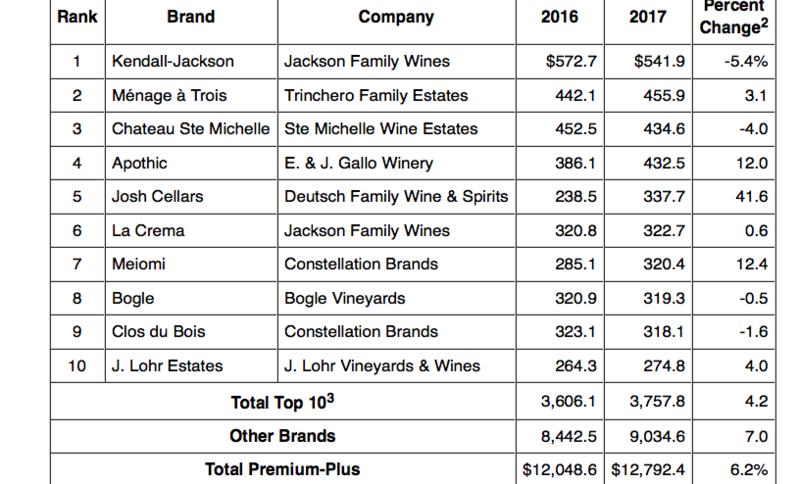 90 percent of wine sold in the United States came from the 30 top producers, and more than half of the wine sold domestically came from E. & J. Gallo, The Wine Group and Constellation Brands (“the big three”). 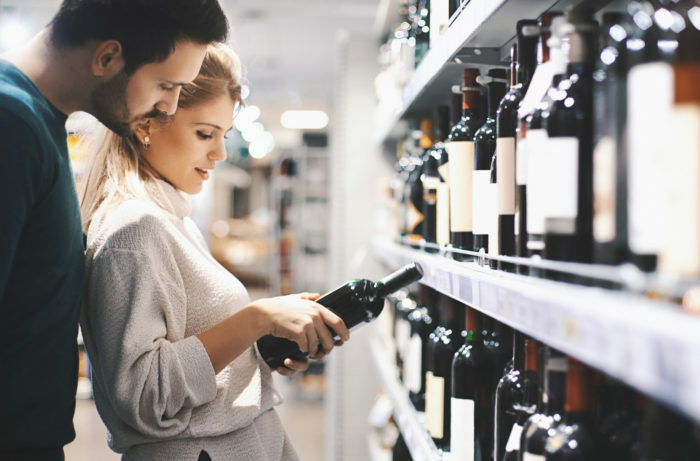 Wine is a complicated beverage, and wineries should be using the limited space on labels to help educate the consumer. 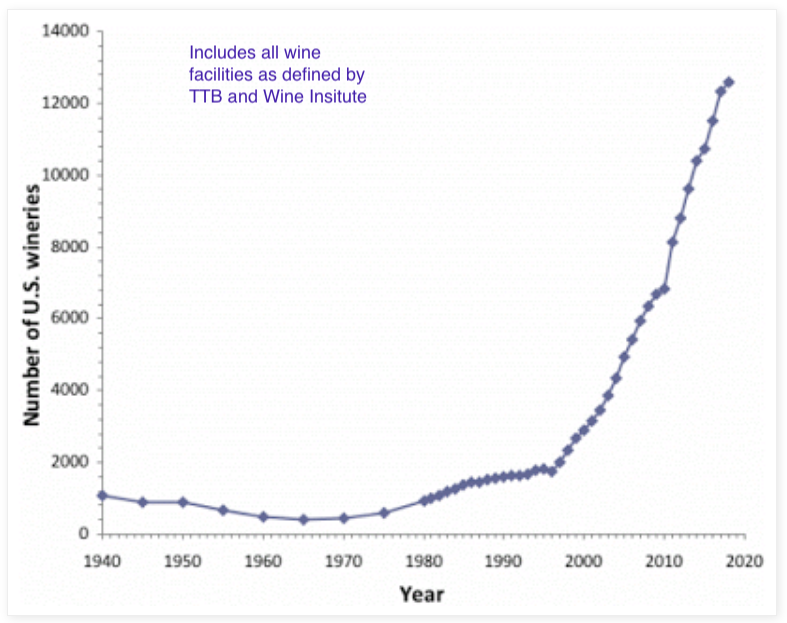 Wine allergen warnings: Good idea? 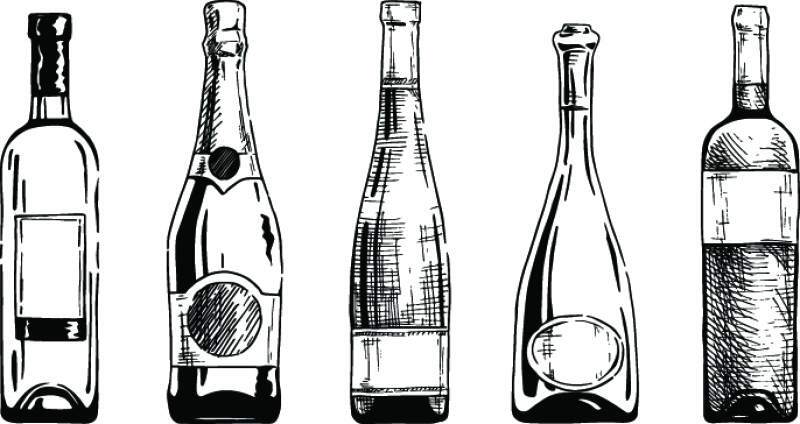 Though each of these bubbly beverages appears identical, each contains different flavor profiles and is made using different processes. Winemakers are playing music to their fermented grapes in an attempt to coax more flavor from the bottles. It sounds odd, but they say the waves help improve the way the wine develops. 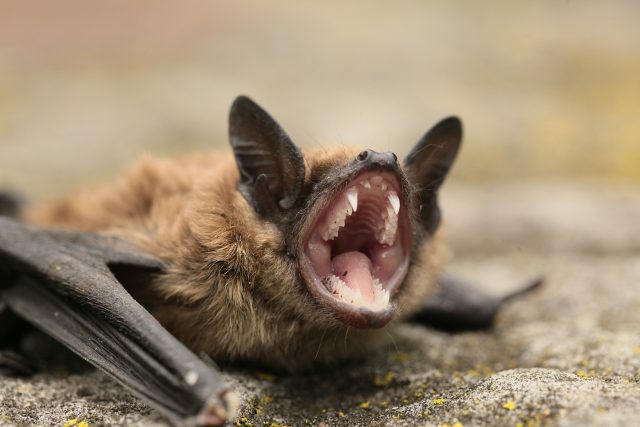 Following a study, published earlier this year, which concluded that certain species of bat hunt grapevine moths, wine producers in the Dordogne are installing bat boxes around their vineyards to encourage the flying mammals to act as a natural ‘pesticide’. 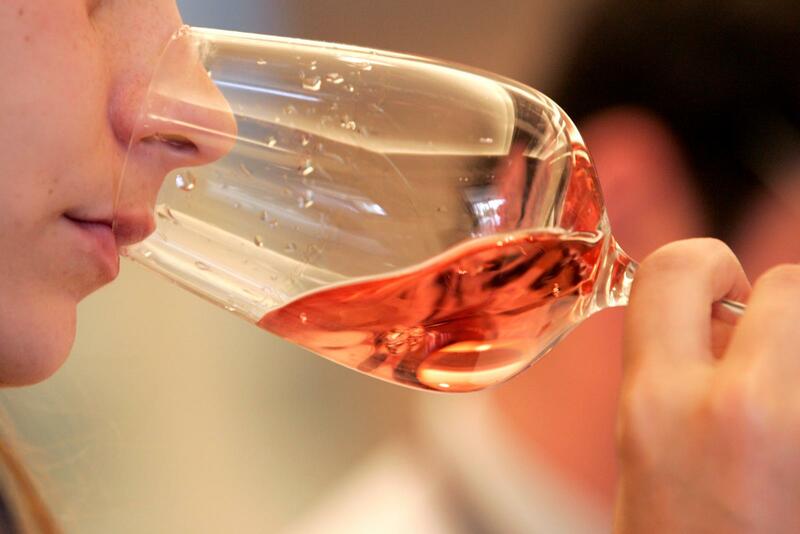 Wine lovers are used to thinking about horizontal and vertical, especially when it comes to tasting. 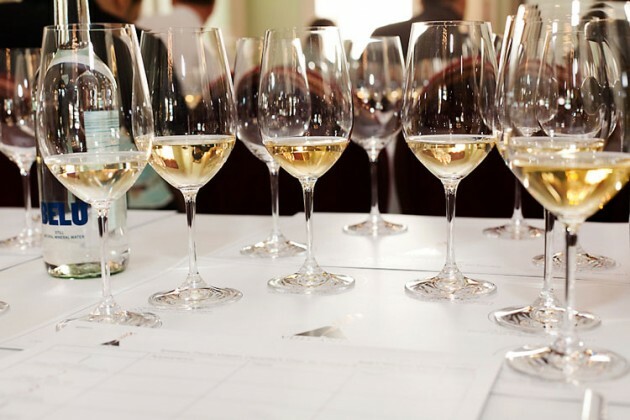 A horizontal tasting enables a range of wines from the same year to be compared: the emphasis is on the difference between wines. 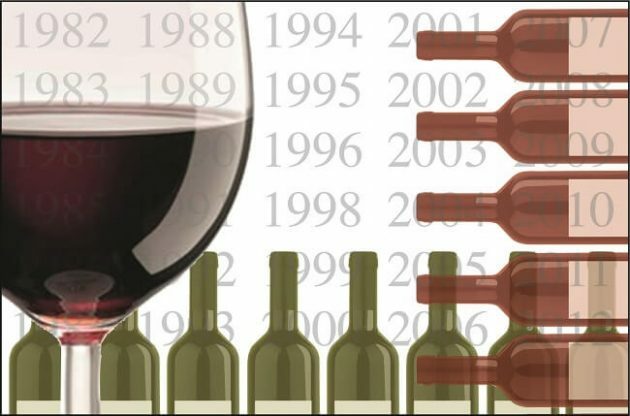 A vertical tasting looks at just one wine through a range of different years, emphasizing the difference in vintages. That’s a useful distinction. 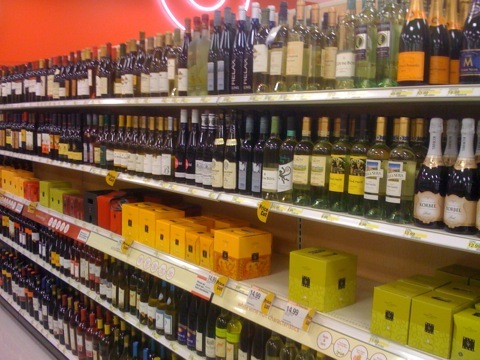 Notice more sangria displays in supermarkets and other retailers? 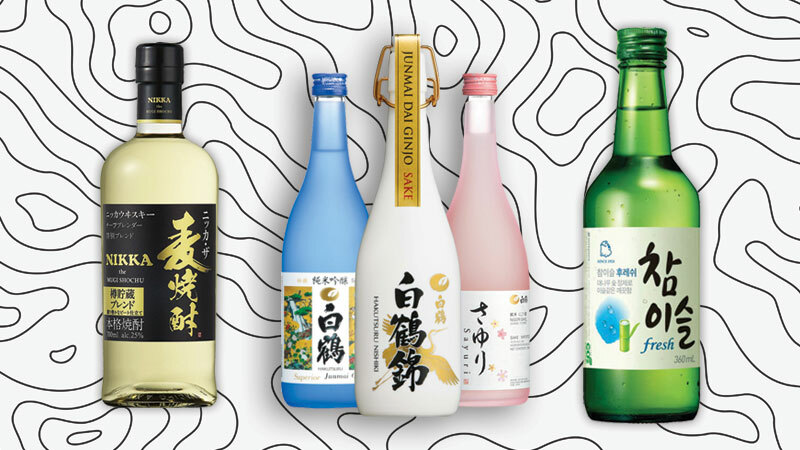 Is the Japanese drink beer or wine? Does it even matter? Sake” in Japanese could refer to any alcoholic drink, so you have to specifically say “nihonshu” to get the rice brew, which many there believe is the drink of the Shinto gods. While renowned for its Riesling, Germany boasts a bevy of other varietals that deserve our attention. From a sleeper white grape to Europe’s next great red, learn about six of the country’s most important wines. 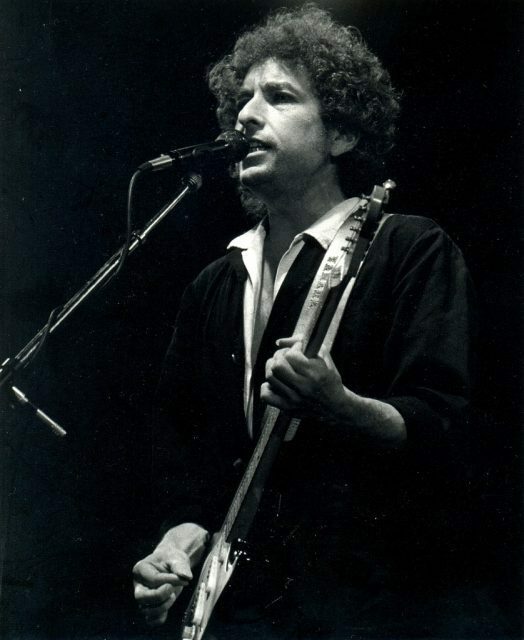 Spirits producer Heaven Hill Distilleries has filed a lawsuit against the Bob Dylan-owned whiskey brand Heaven’s Door Spirits, claiming it infringes its trademark rights. 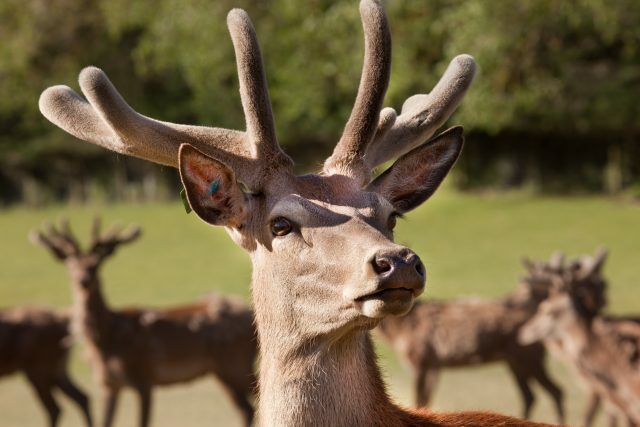 With this year having already witnessed the launch of a whiskey flavoured with beaver secretions, New Zealand brewery Moa has now unveiled a wheat beer brewed with deer velvet for the Chinese market, which sold out in 48 hours. Attractively-named “Hop Water”, the new beverage contains no alcohol, no calories, and zero carbohydrates, but is “made using everything we know about hops,” according to the Heineken-owned beer brand’s website. 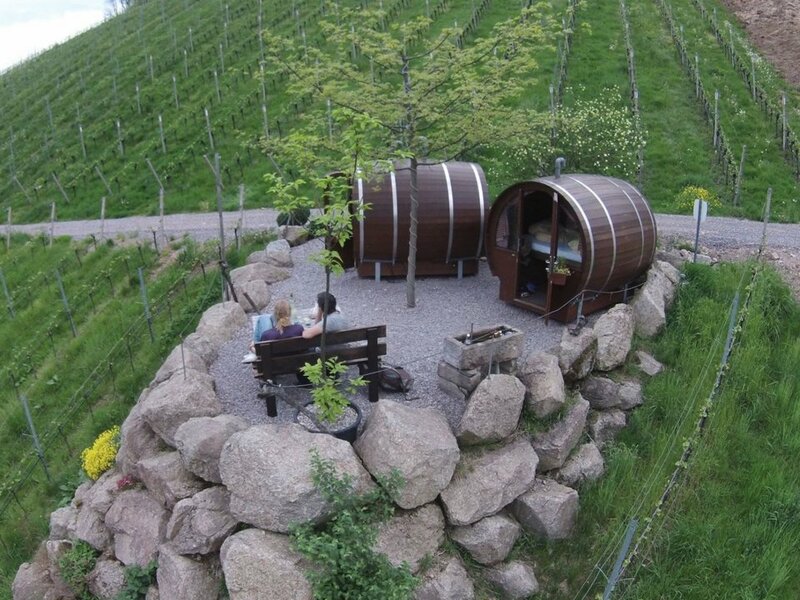 Oenophiles the world over will be happy to know that they can now book a wine barrel for the night. 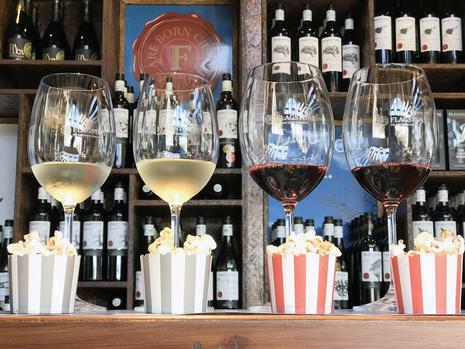 Training your wine palate isn’t difficult. 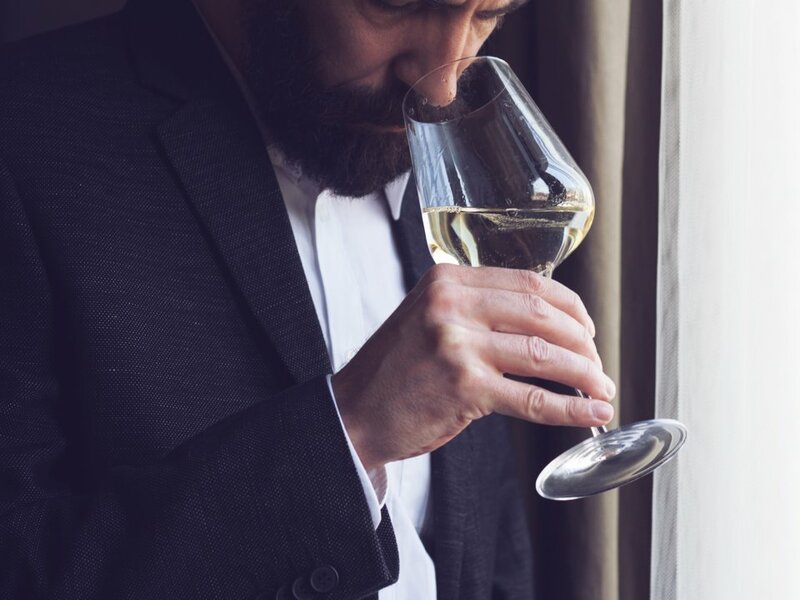 We spoke with expert Filippo Bartolotta on simple ways to gain a better understanding of what’s in your glass. 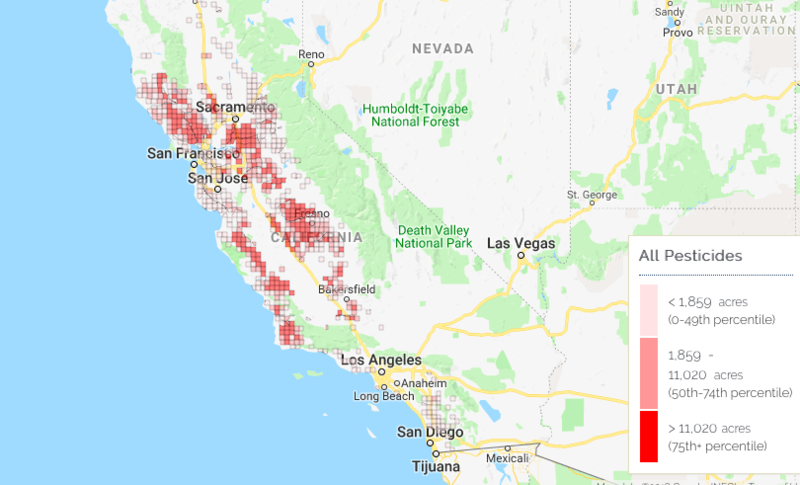 An appellation system for the cultivation of marijuana in California, modelled on the French AOC or American AVA systems for wine, is already in the early planning stages and could become a reality by 2021. 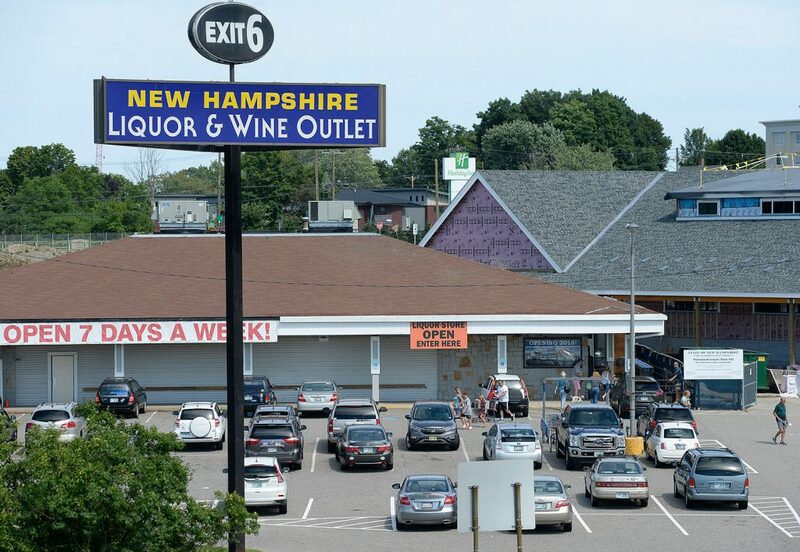 Massachusetts is emerging as the nation’s pot capital, according to statistics compiled in a state legislative report released to the public last month. Back to school season is upon us and with it comes a lot of stress. 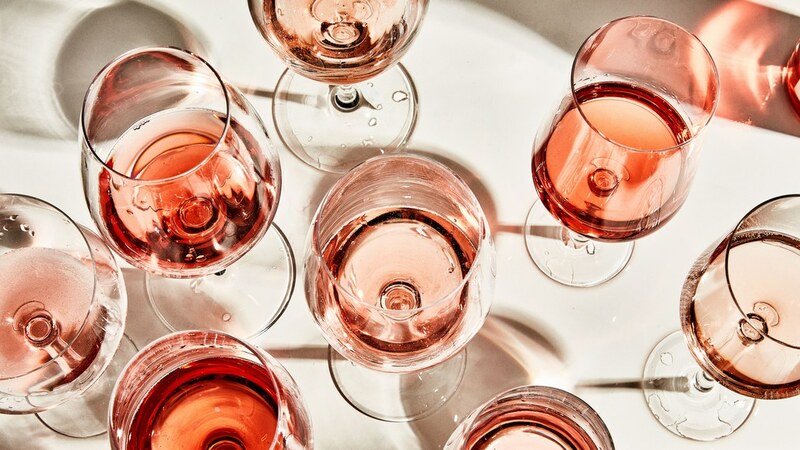 Because drinking should never be stressful, and wine knowledge should be as accessible as the closest liquor store, I asked sommelier Victoria James, author of Drink Pink, A Celebration of Rosé and beverage director of New York City’s Cote, a bunch of dumb questions about wine (so you don’t have to!). 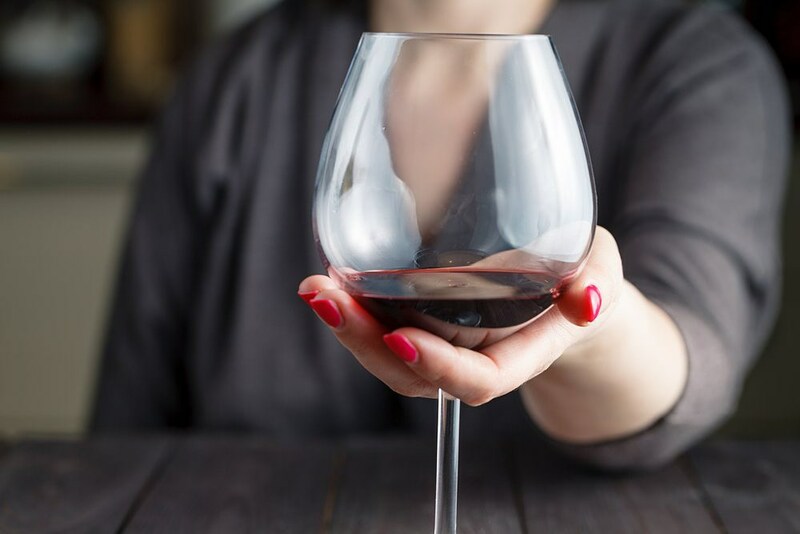 Bigger wine glasses: Marketing ploy, health risk, or just coincidence? 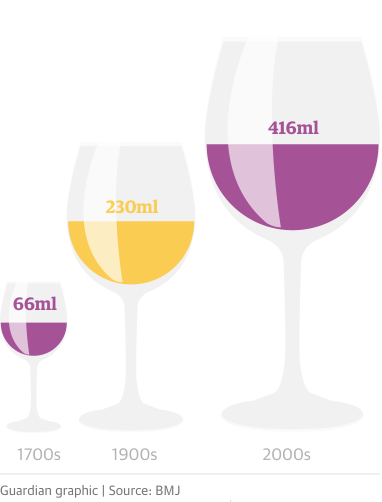 A British study says we use bigger wine glasses than ever before – but do we know why we do? 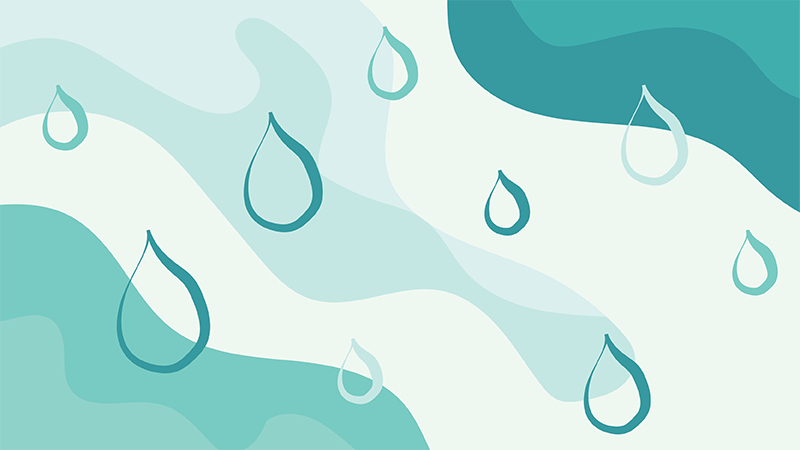 Some more recent research has focused on the sensation of physical touch, and has found that the flavors and overall acceptability of various food and beverages can be influenced by the texture of the packaging itself. There were no grapes in Europe named Zinfandel. 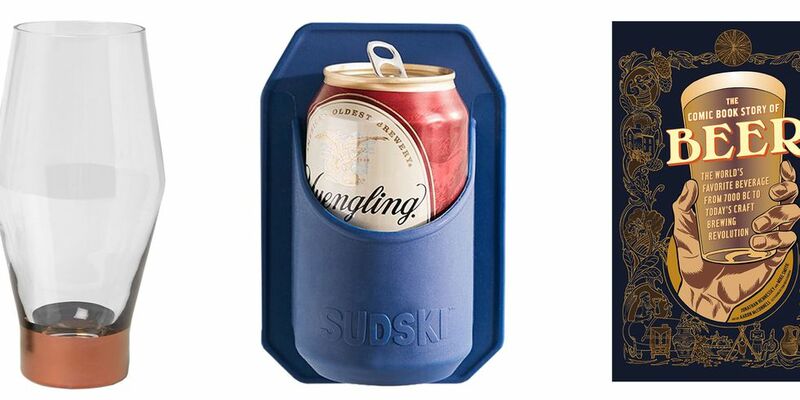 Such is the awkward reality—and surprising conundrum—of who should be responsible for an exploding can of beer. 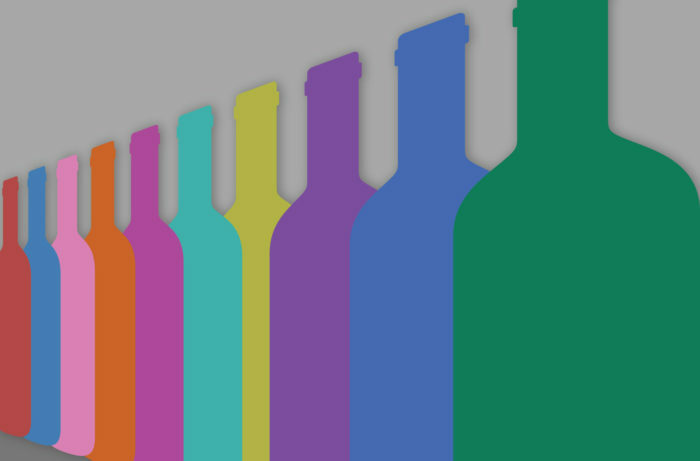 Read our guide to evaluating, pricing, and selling the old bottles you find in the back of your liquor cabinet. 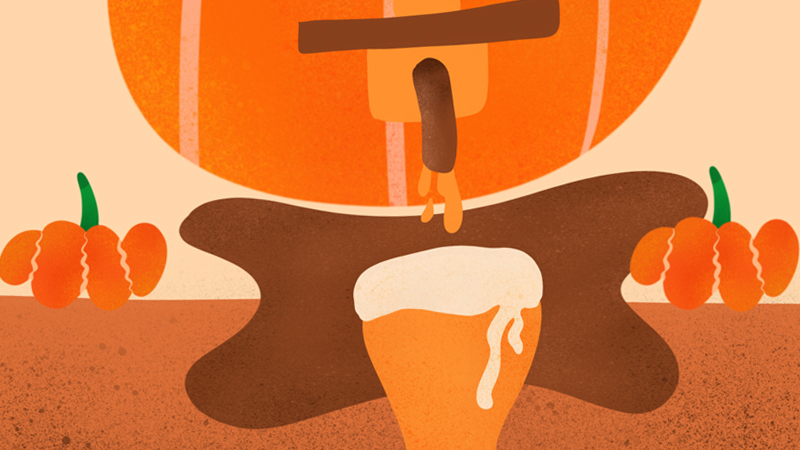 Pumpkin beers are back – for gourd or bad. Don’t give up on those old bottles of wine. 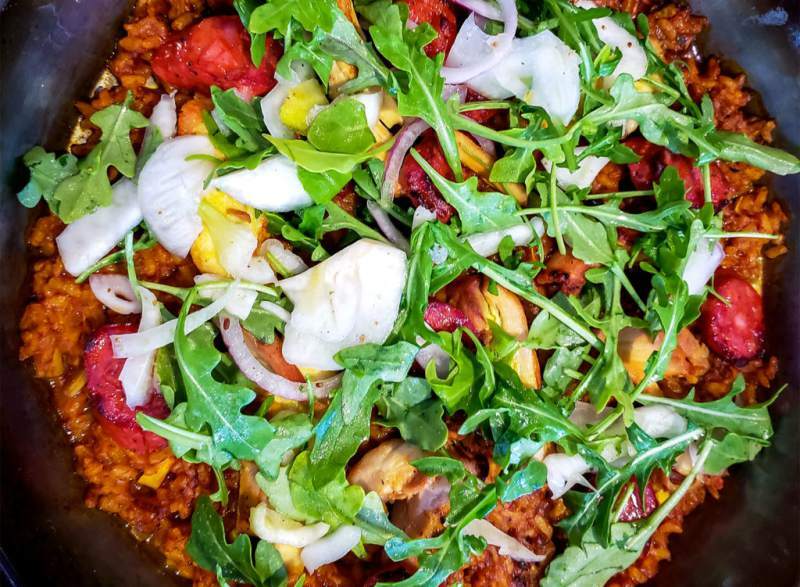 Fish routinely marries well with white wine, but there’s good reason for palate confusion when it comes to paella. That classic part fish, part pork melting pot is a subtle swirl of shrimp, clams, sausage, red peppers and peas. 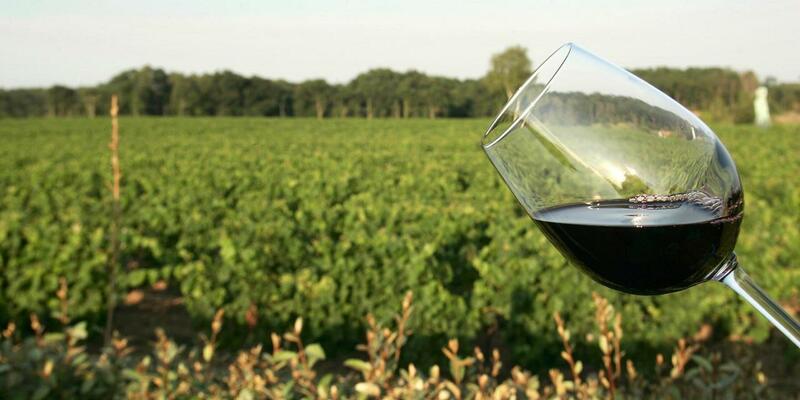 Exceptional Cabernet Sauvignon is produced around the world. But none quite compare to a bottle from Bordeaux, where it was first produced. 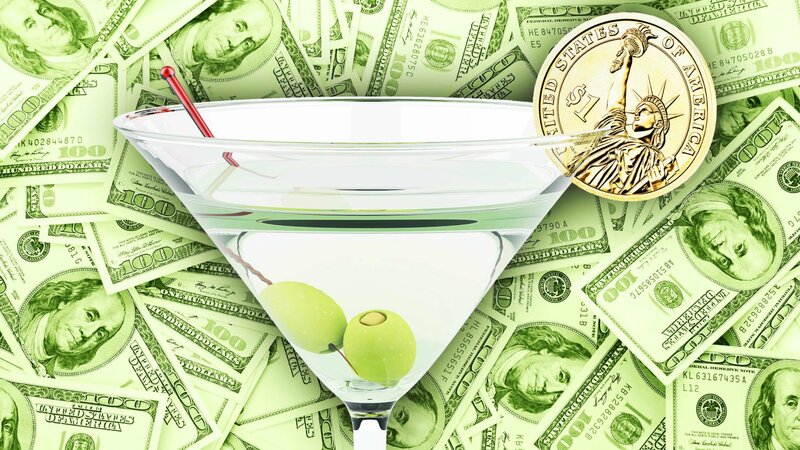 The biggest wine contaminant (far worse than sulphur) is money. 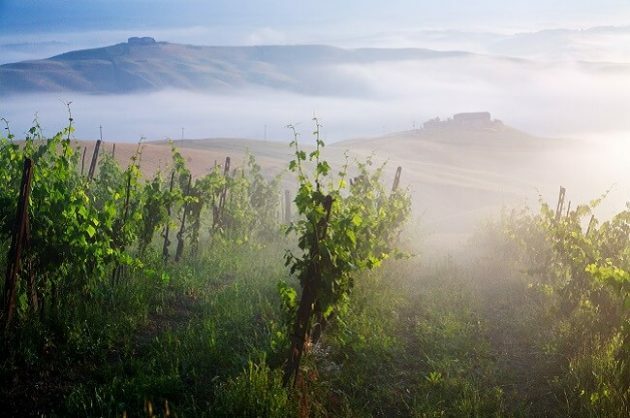 Italy has authorized over 350 different varietals that can be used in winemaking; this fact alone is enough to make your head spin and cause you to realize there’s definitely more to Italy than just Chianti in a wicker basket. 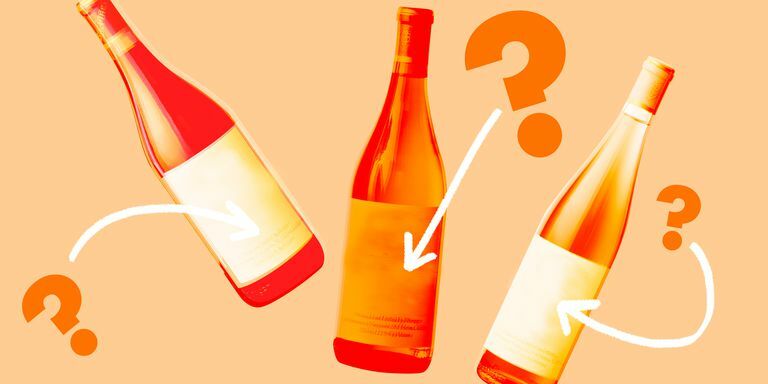 A sommelier opens up about the shady business practices that are behind the rise of watery, terrible rosé. In 2018, What Does A Butler Have To Do With Wine? 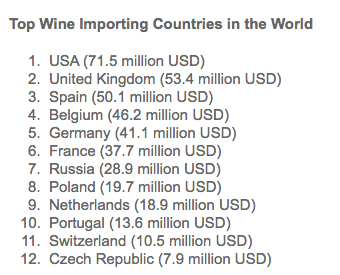 Which Country Imports the Most Wine in the World? 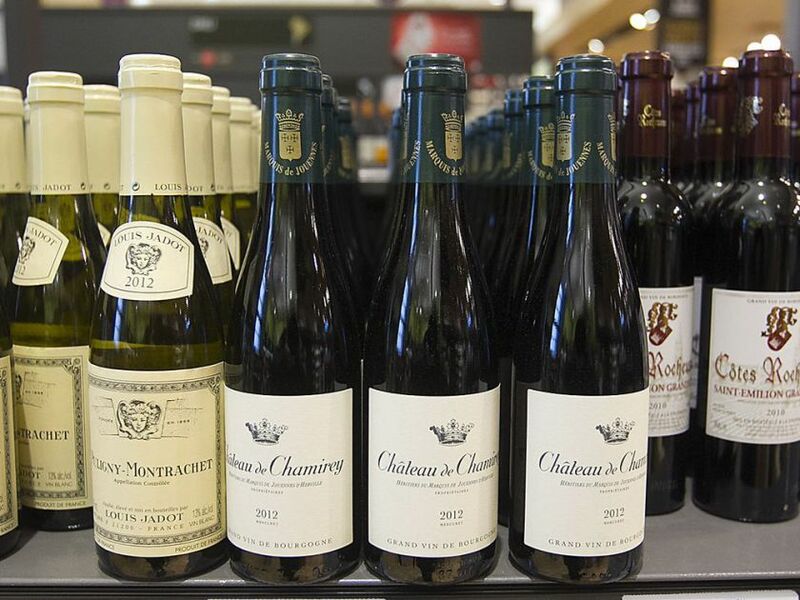 In general, wine imports continue to indicate a mild slump. 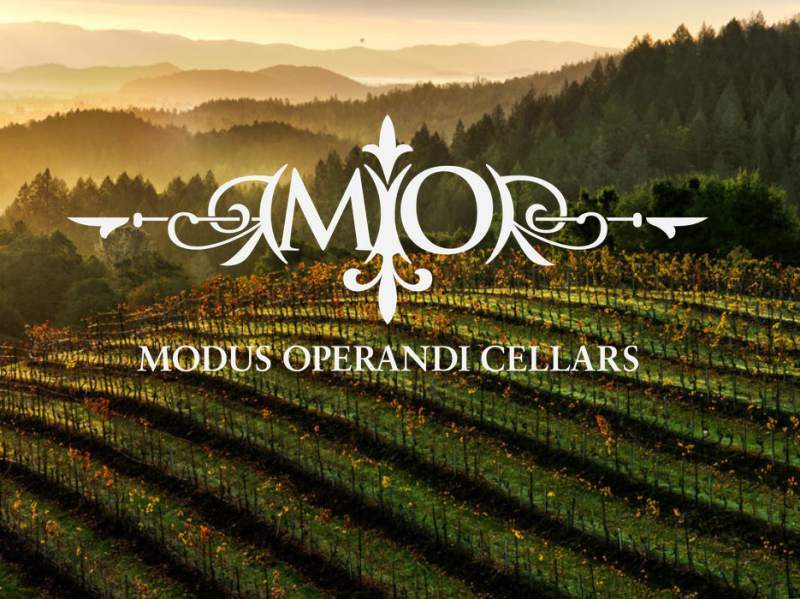 A small-batch limited production offering sourced from two select vineyards in the esteemed appellation of Monterey. 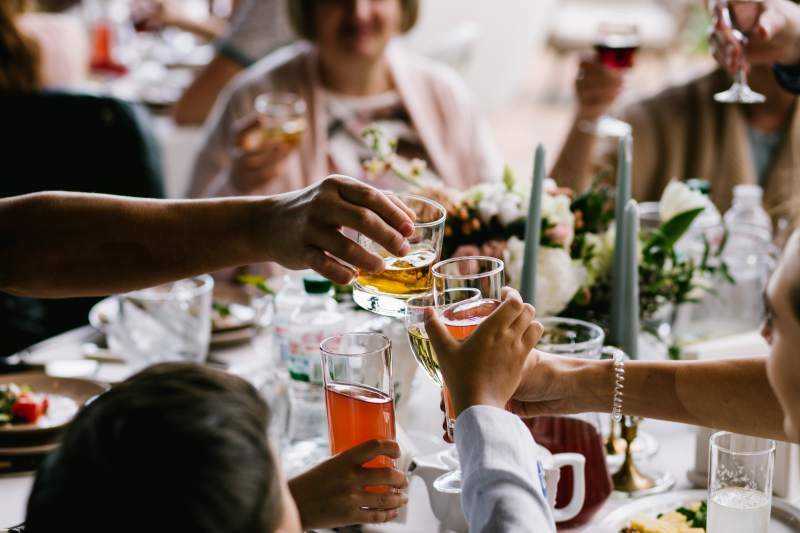 Sales of canned wine are soaring in the US, with year-on-year sales currently up 43% as consumers become more open-minded to alternative packaging for wine. 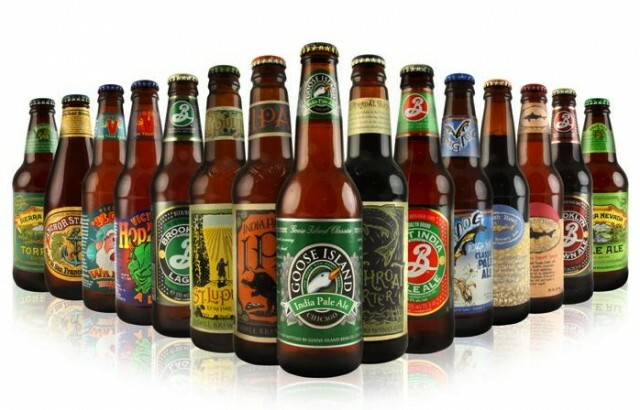 But craft beer can be confusing and even a bit snobby and intimidating depending on where you’re purchasing your brew. 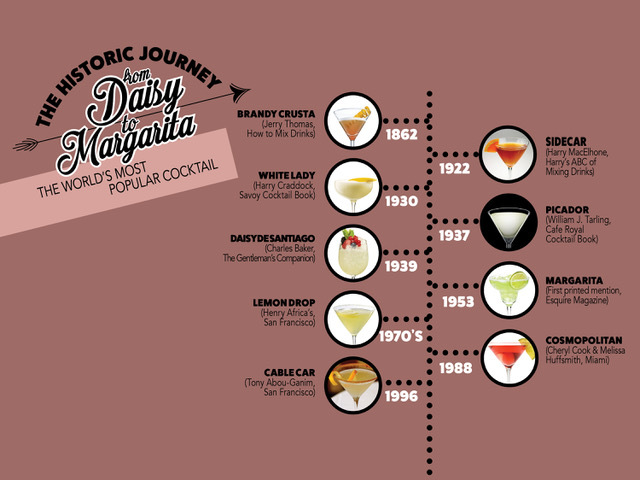 When a cocktail attains classic status, it’s often hard to remember how and where it originated in the first place. “It depends.” With so many variables to consider, there are no rules. 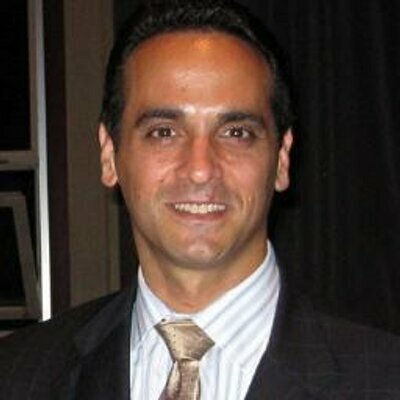 Somerville Mayor Joseph Curtatone made the declaration on Twitter, after learning that Jim Koch, chairman of Boston Beer, whose grandfather created the recipe for Samuel Adams Boston Lager, had joined other business leaders for a dinner with Trump on 7 August. 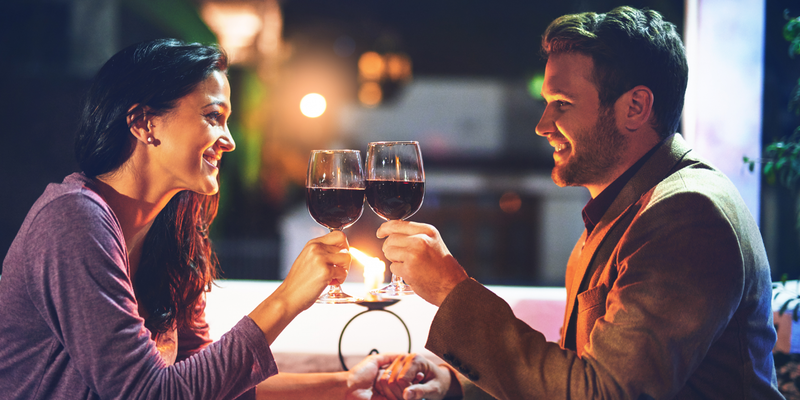 Train rides in America where you can relax, unwind, and enjoy a region’s wines, beers, and breathtaking views, no checked baggage necessary. LeBron’s shooting percentage on wine is pretty good, but his choices are a little predictable. 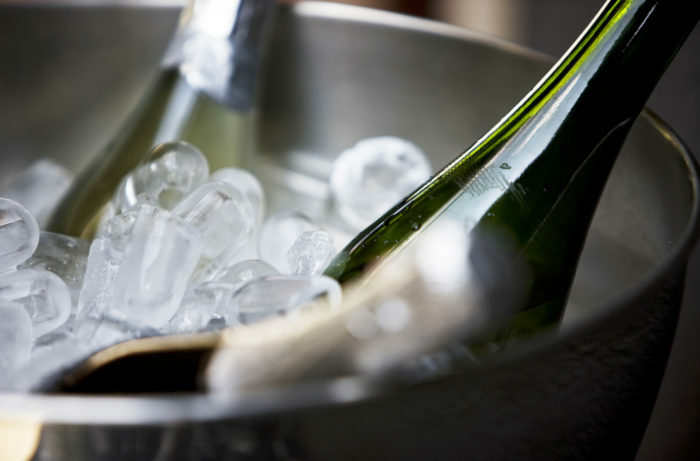 Carbon dioxide in sparkling drinks increases the permeability of your biomembranes, allowing more alcohol into your bloodstream. One of Central California’s most charming towns is an easy drive from both San Francisco and Los Angeles. 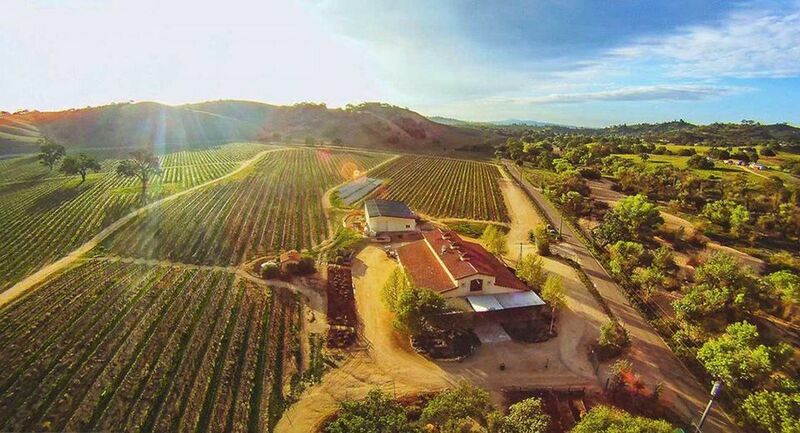 Paso Robles is a half an hour from the Pacific Ocean and is home to great local wineries and fun bars and restaurants. 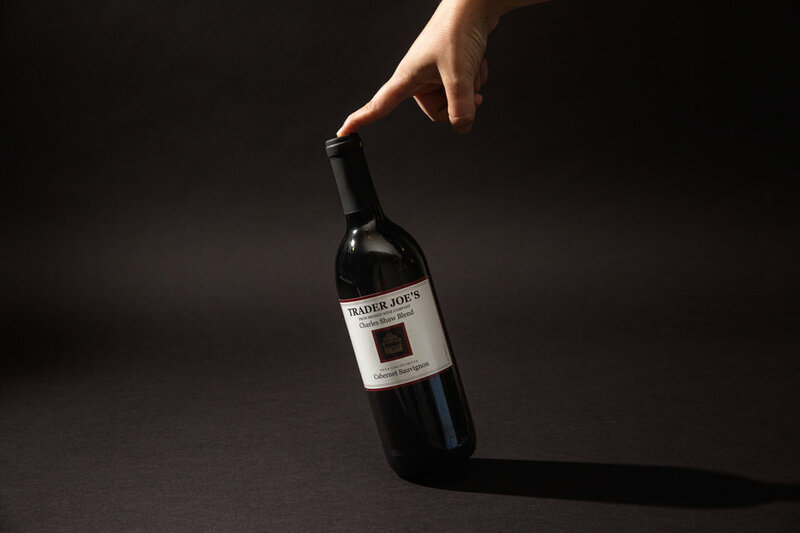 Trader Joe’s “two-buck Chuck,” its famously cheap private-label wine, has a complicated backstory. Aldi’s Wine Advent Calendar Is Finally Coming to the U.S. While those calendars all do their part to make the season merry and bright, one advent calendar has eluded Americans. 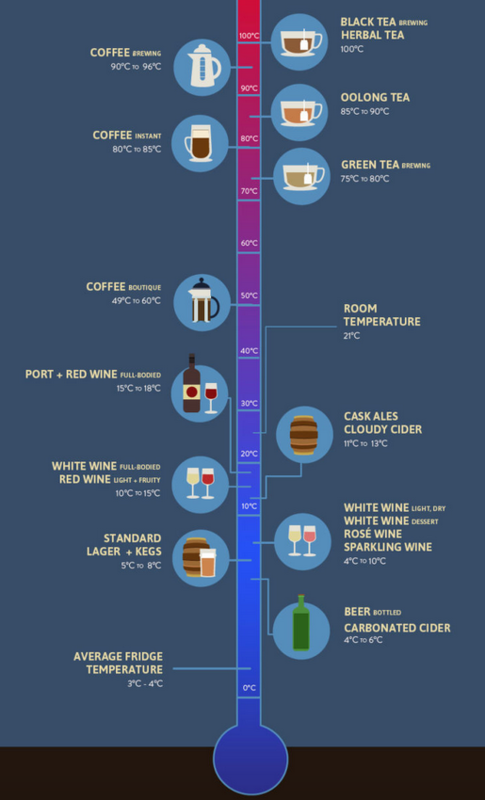 The temperature of your wine plays an important role in how it tastes. 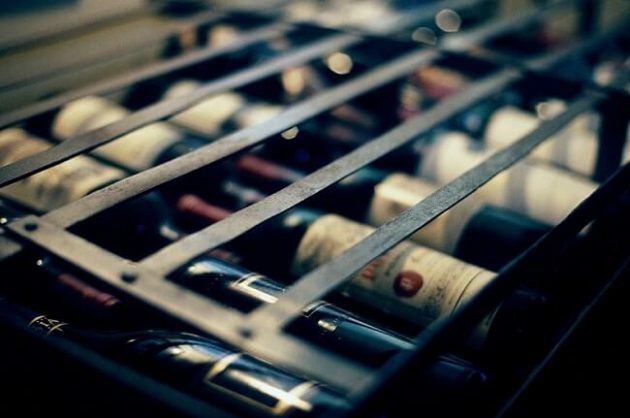 Here’s how cold your wine should be and a few tips to help it get there. 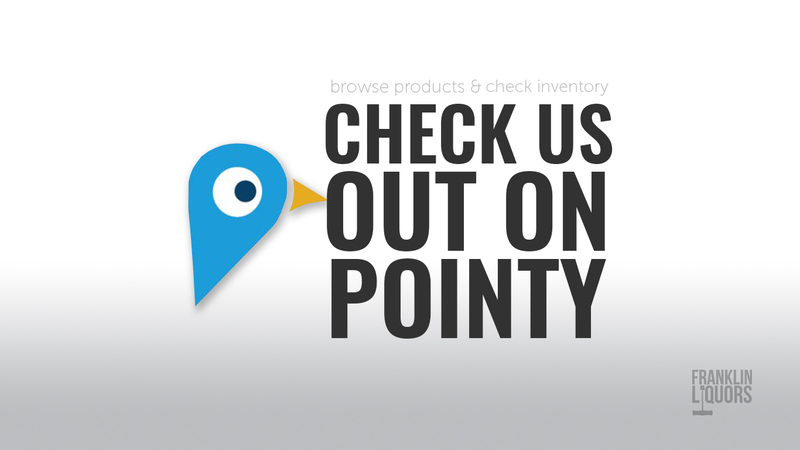 Love visiting breweries? 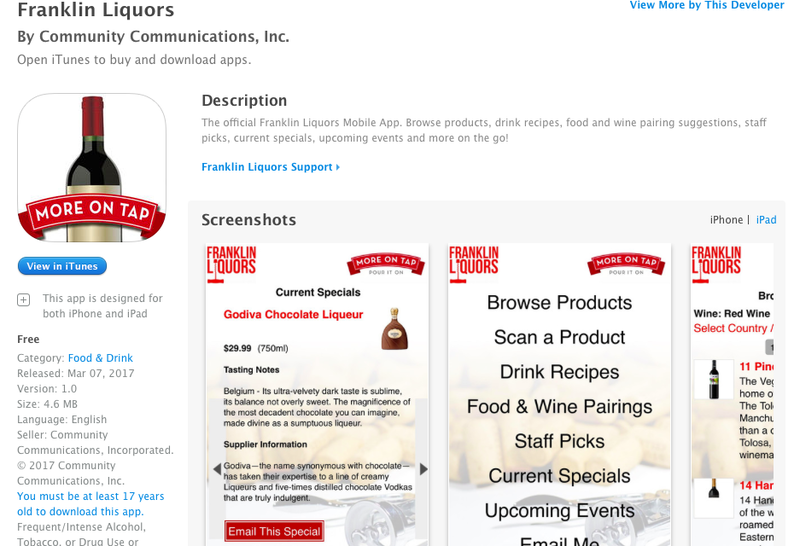 A new app will actually cover some of the cost of your next drink. Stop trying to memorize labels. There’s a better way! 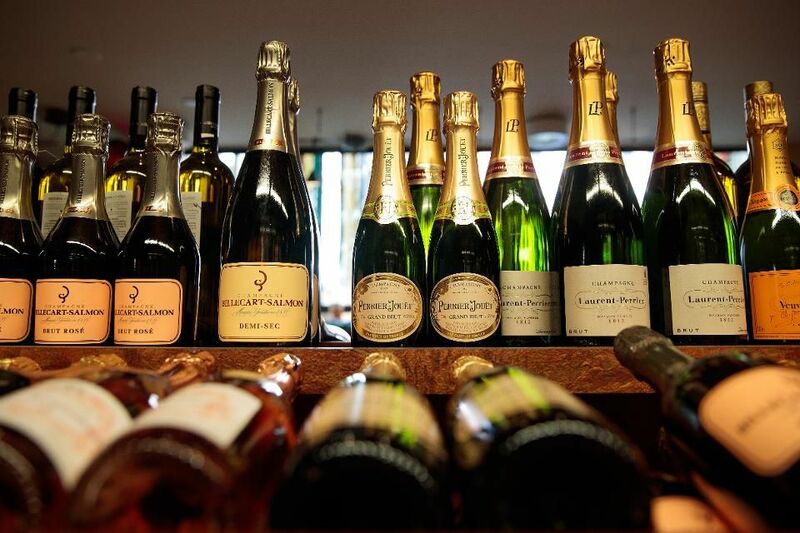 Since 1979, Champagne labels include nine mandatory factors (other optional indicators may also be present) which comply with European Union laws. 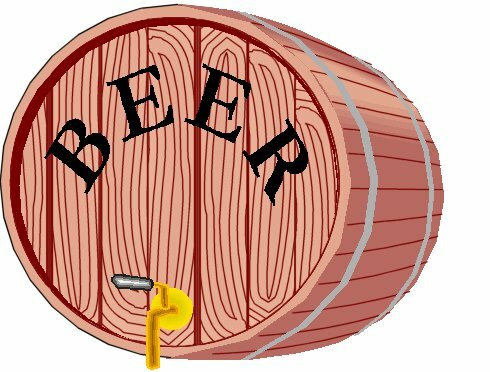 What Is Spontaneous Fermentation, and How Does It Affect the Taste of Wine, Beer, and Booze? 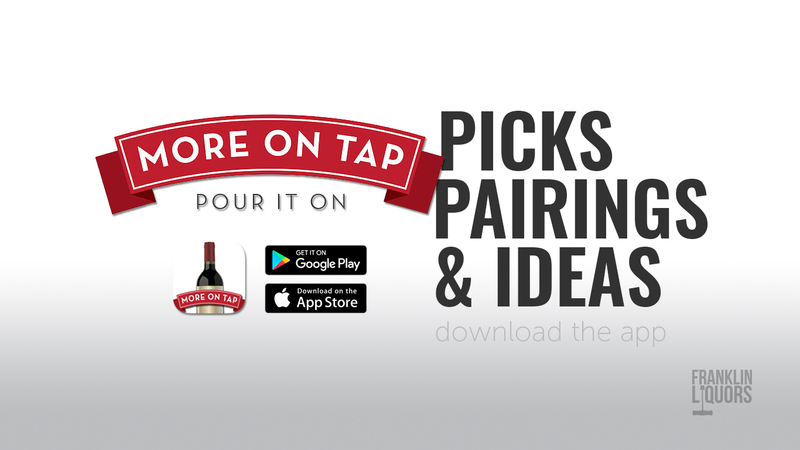 The hands-off fermentation method makes really interesting wine, beer, and even rum. 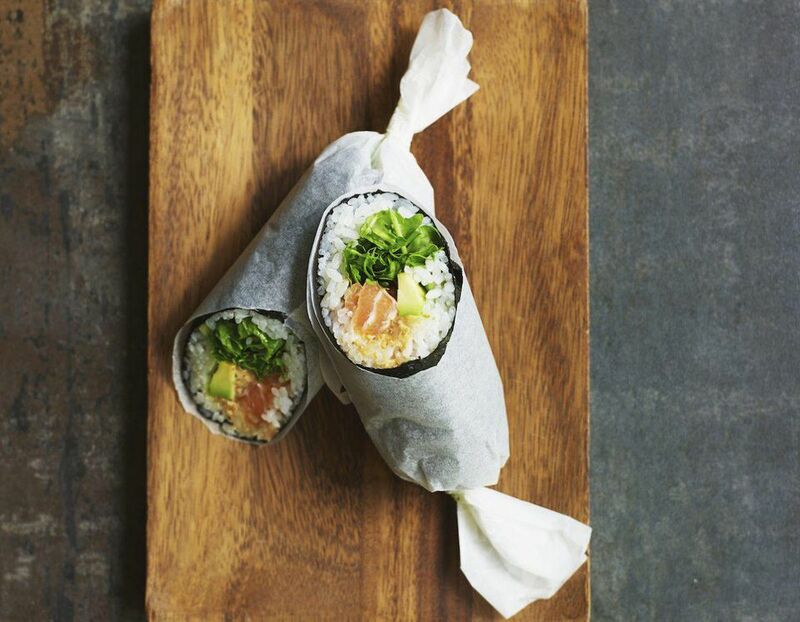 Here’s why we’re so into it right now. 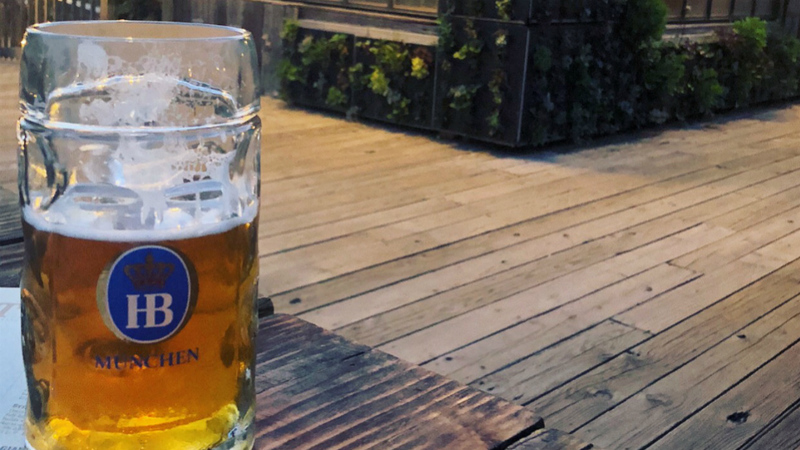 Domestic beer consumption in the US has fallen over the last two decades while China’s interest in American beer has spiked. Budweiser sales finally flipped in China’s favor in the first half of 2018 and the trend is expected to continue. 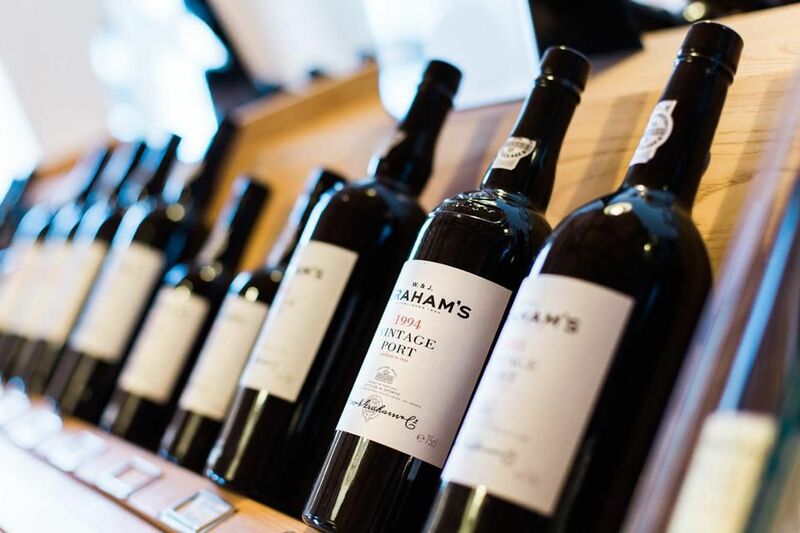 By understanding the parallels between Port and Champagne, wine lovers can better know and love both of these special wines. 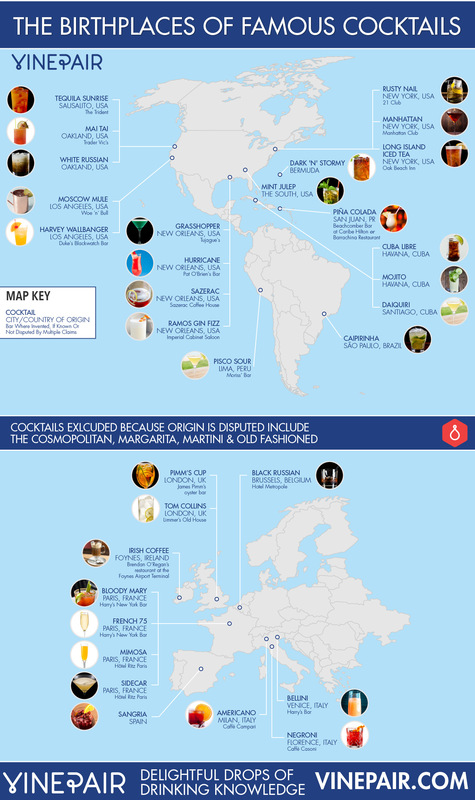 From National Rosé Day to National Margarita Day, here’ s a list of reasons to imbibe your favorite beverage. 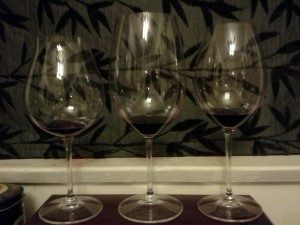 How do you make an older wine taste younger? Or a younger wine taste older? HOW MANY CALORIES ARE IN VODKA? 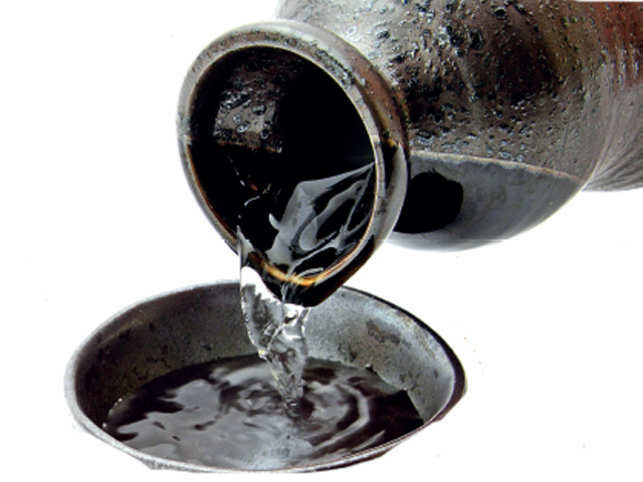 It rather amazingly has become a popular source of hangover prevention and relief for adults. There’s still plenty of summer left to be enjoyed! 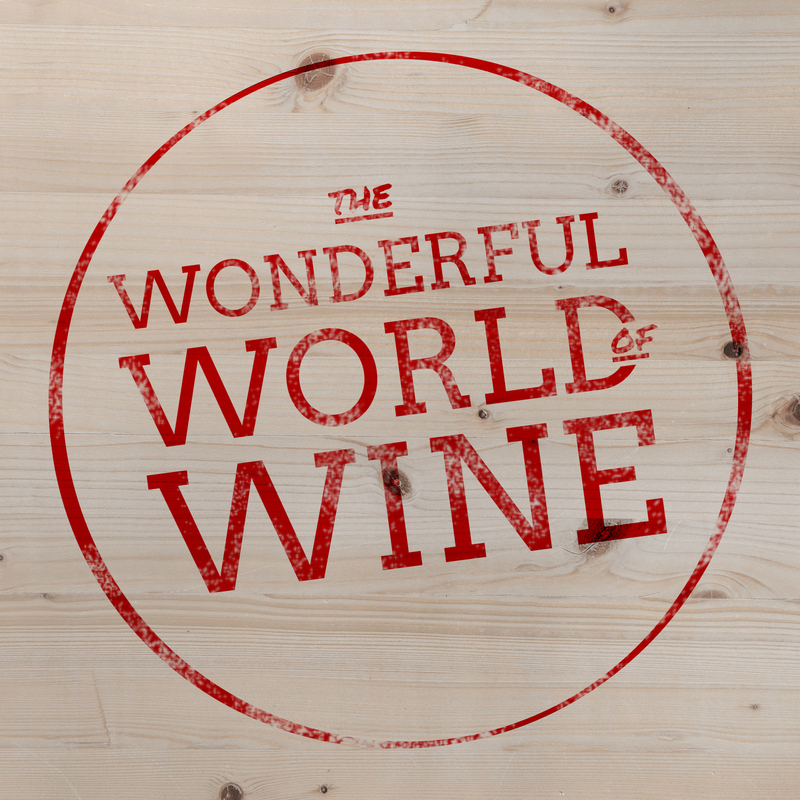 How many wines are there in the world? 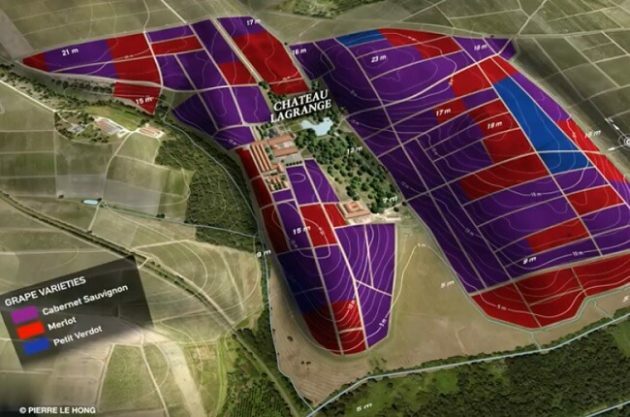 How many wineries? 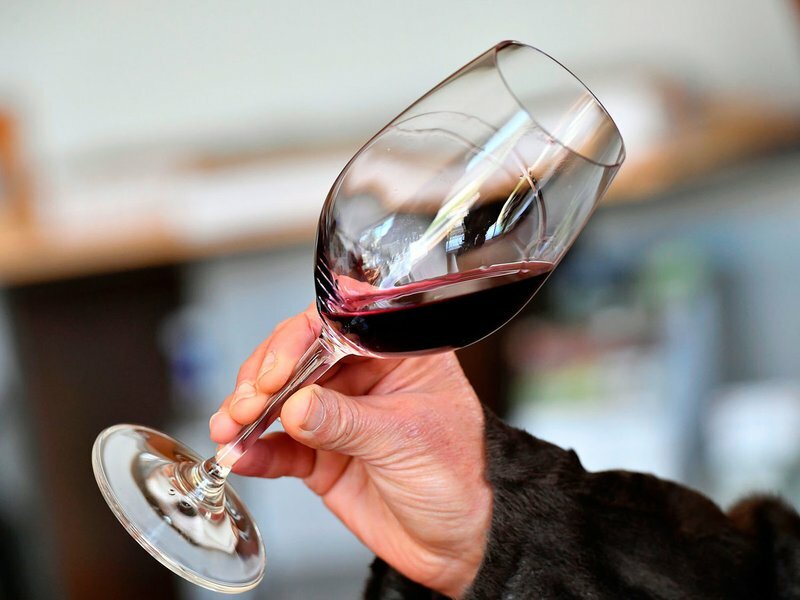 Are US Wine Consumers Lazy? 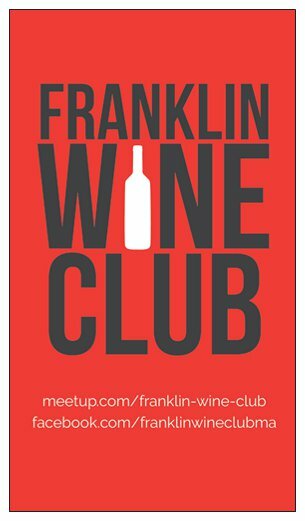 Why are there so few bottles of Australian wines on the wine lists at my favorite local restaurants, and why don’t they reflect what’s actually happening in the Australian wine community right now? The culture of the critical score set everyone chasing superlatives. 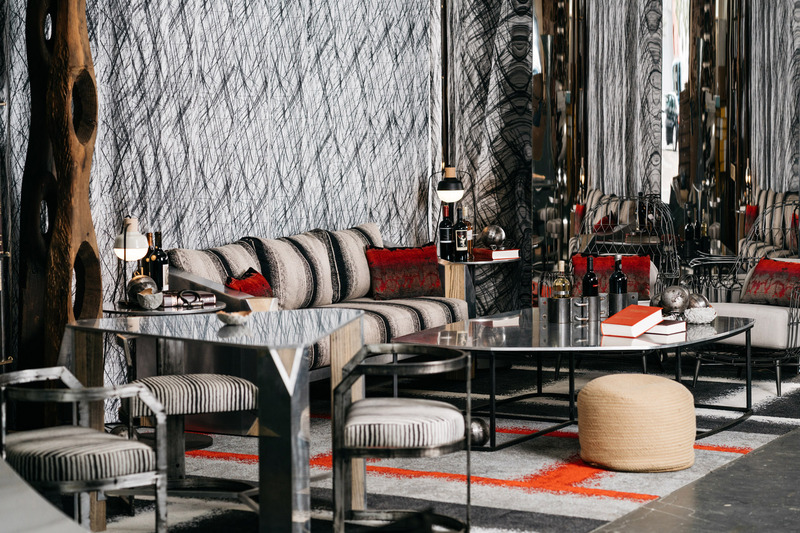 These three decades of exploration and experiment, of boundary-pushing, of ‘statements’ and of ‘icons’ gave us an exuberant cacophony of styles. 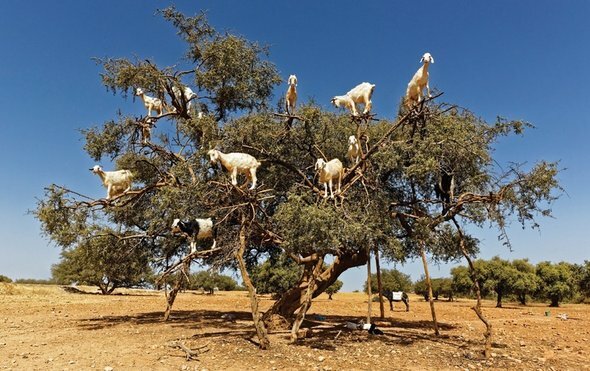 Could we smell better? Much better? 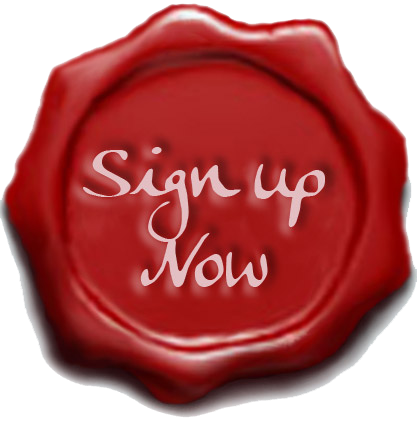 Do we have only very limited access to the sensory information that we are receiving all the time? 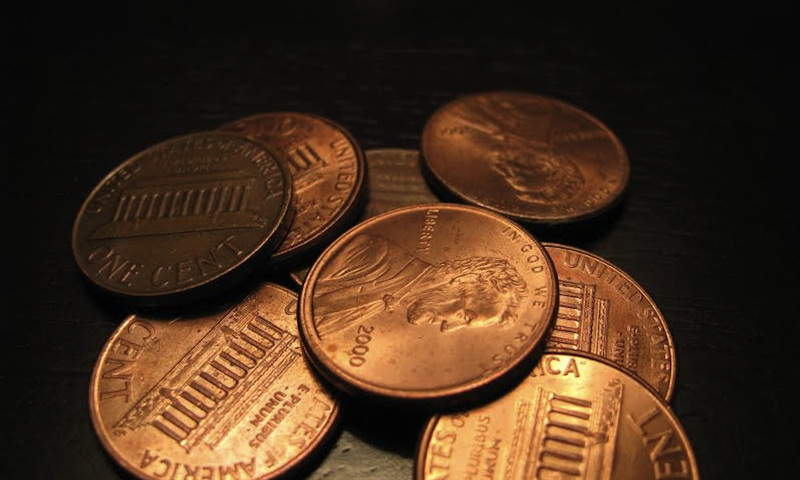 Are there tell-tale signs that would nudge us in the right direction? 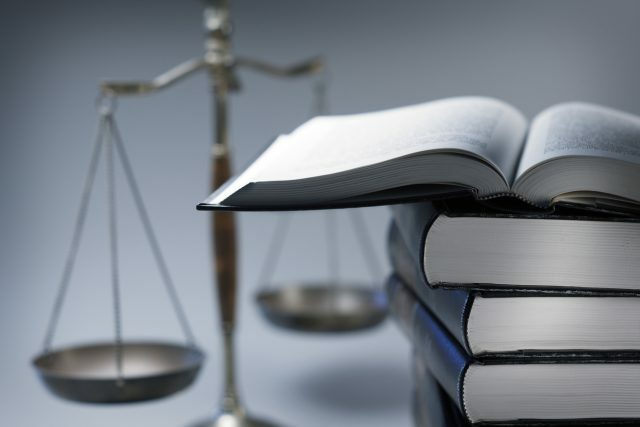 The world is full of odd, antiquated laws which, although rarely if ever enforced, have remained on the statute books. 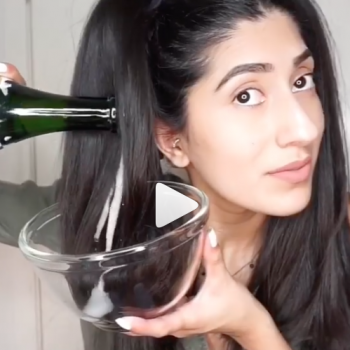 A beauty blogger is encouraging her followers to wash their hair in Champagne, claiming that it helps to “tame frizz” and gives “an extra little vamp of shine” to long locks. 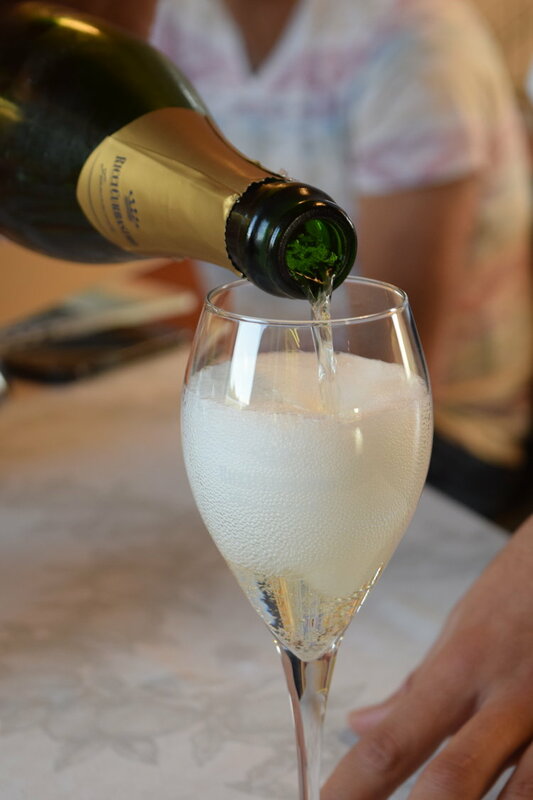 For a long time Champagne was the only “good” sparkling wine that most Americans drank. For those white wine lovers looking to dip a toe in the other side of the pool what are the best reds to ease the transition?